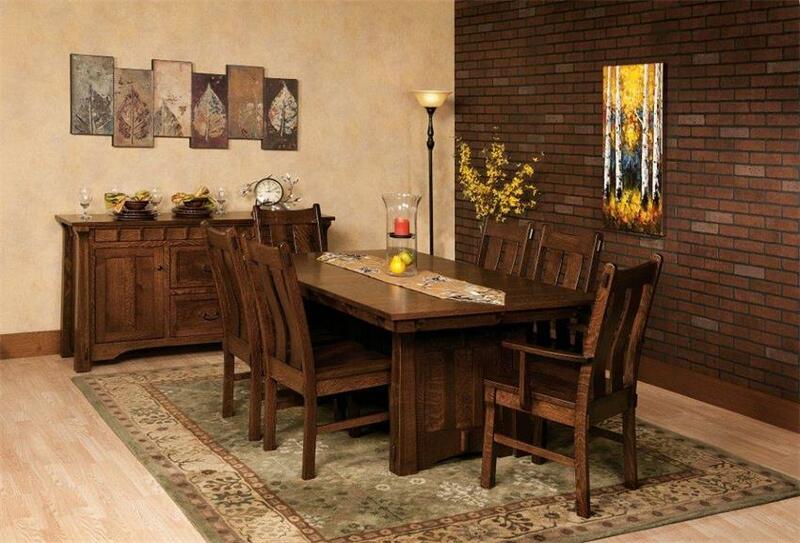 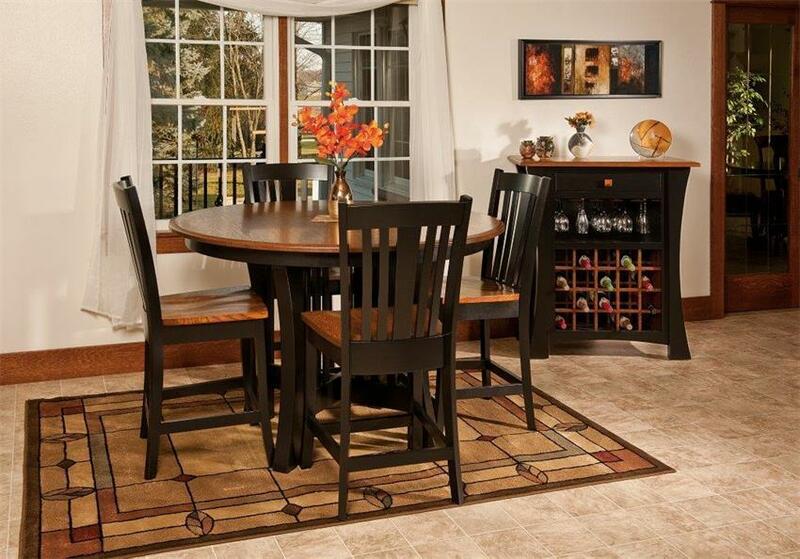 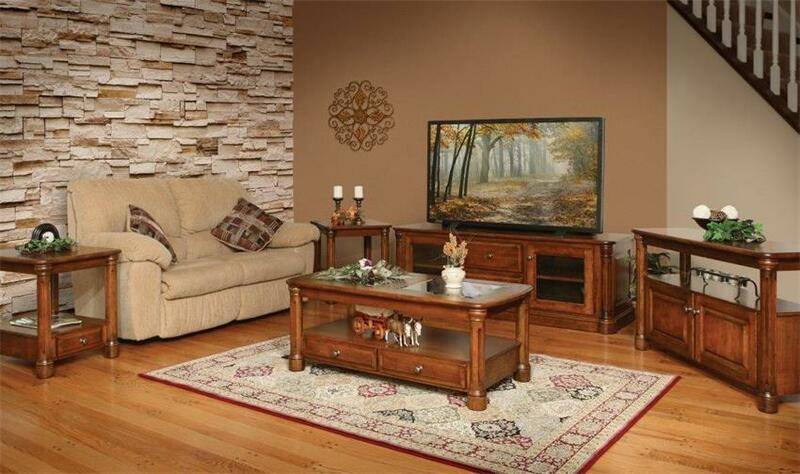 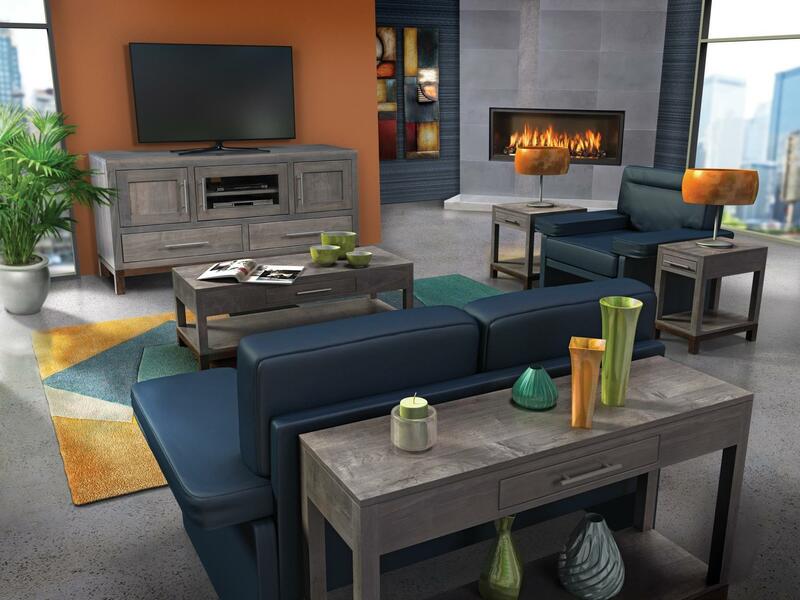 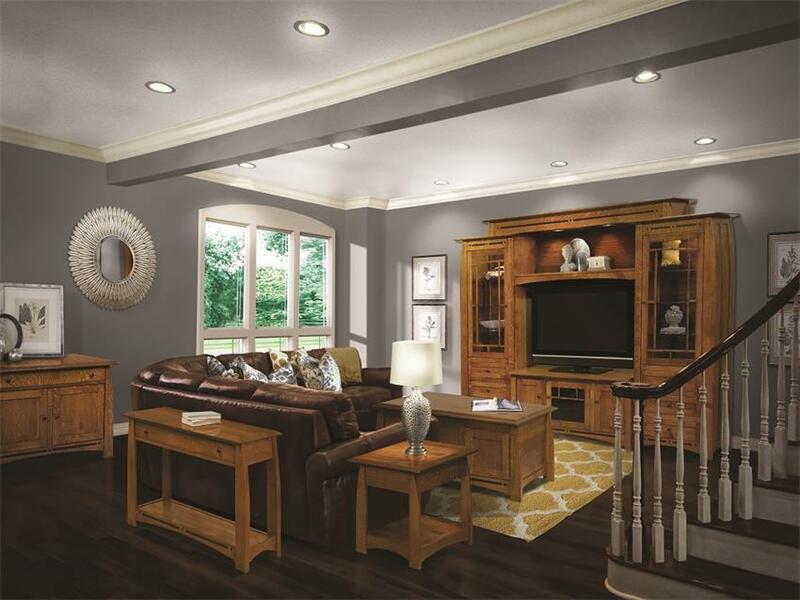 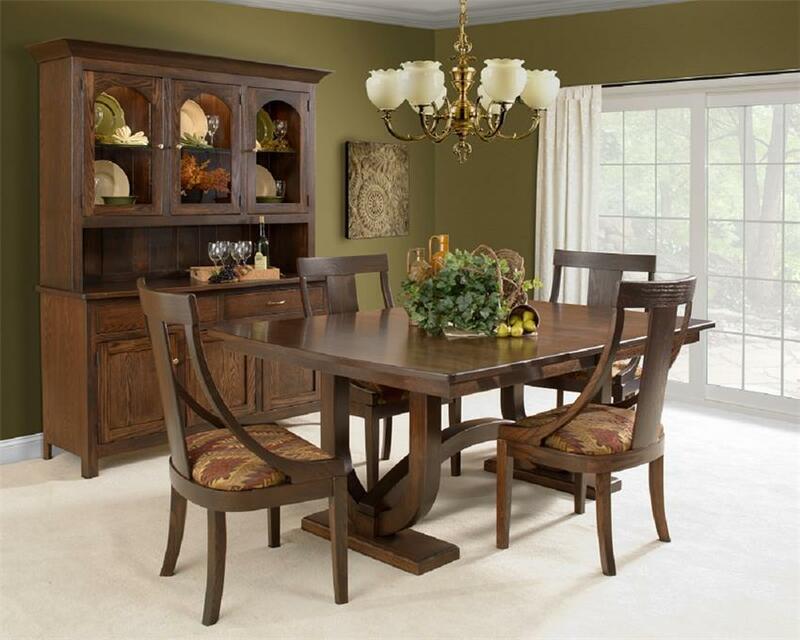 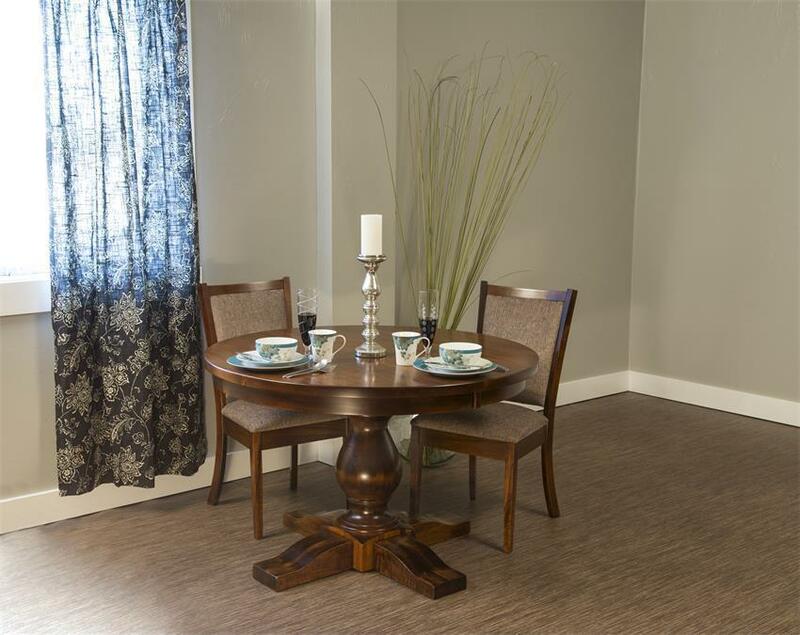 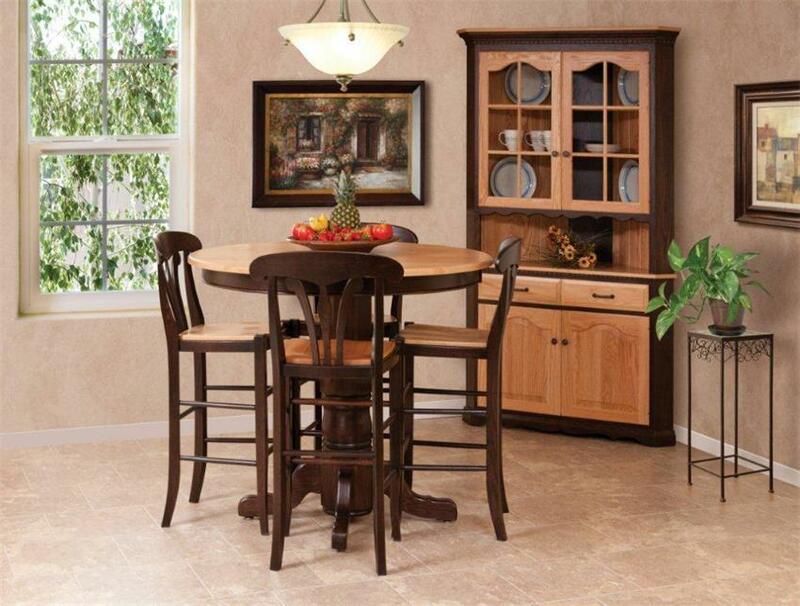 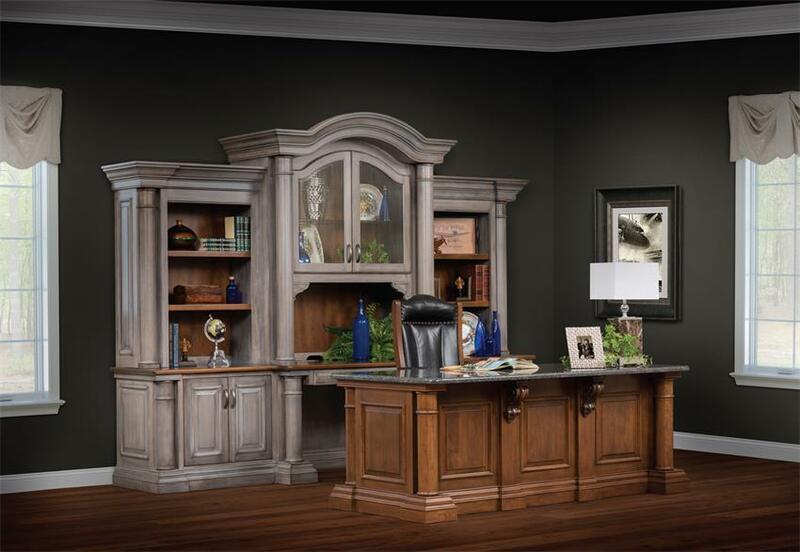 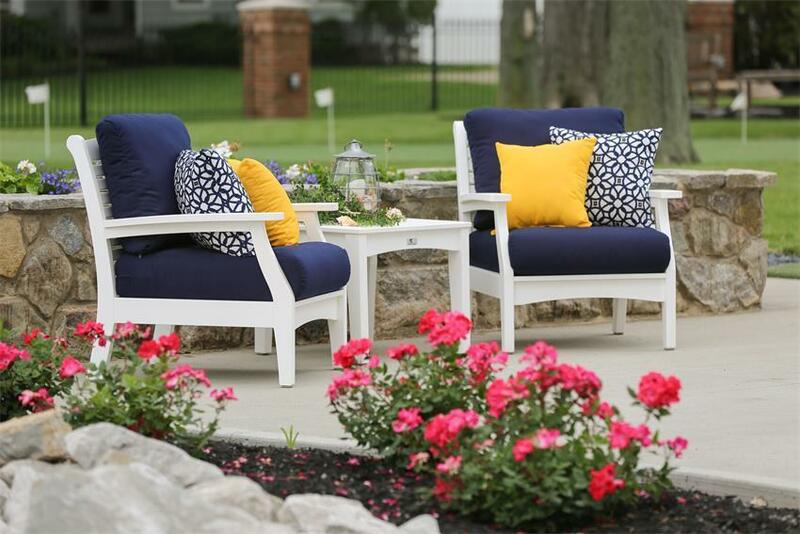 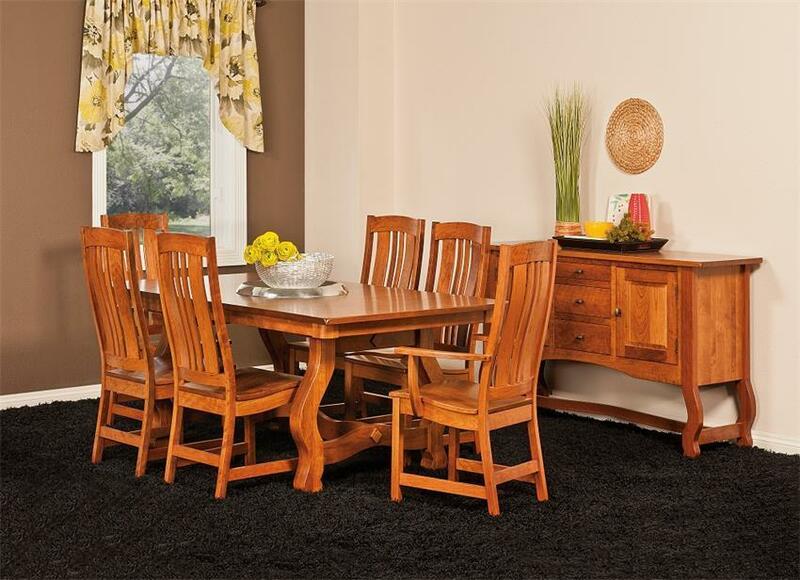 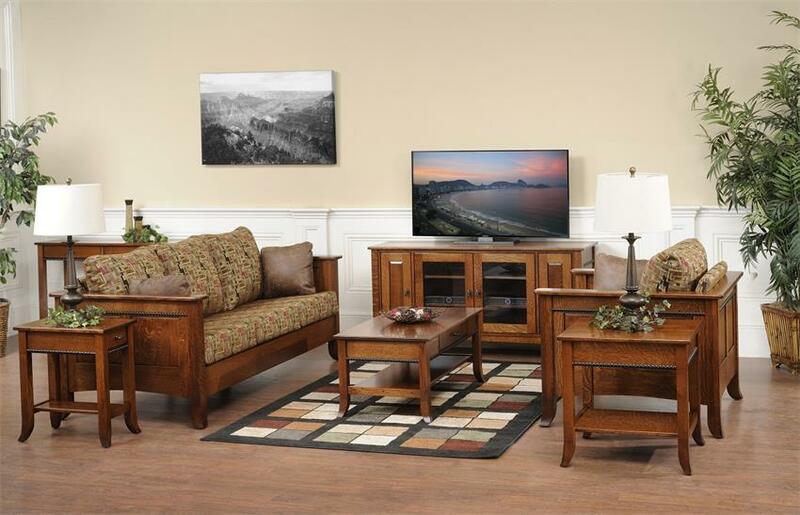 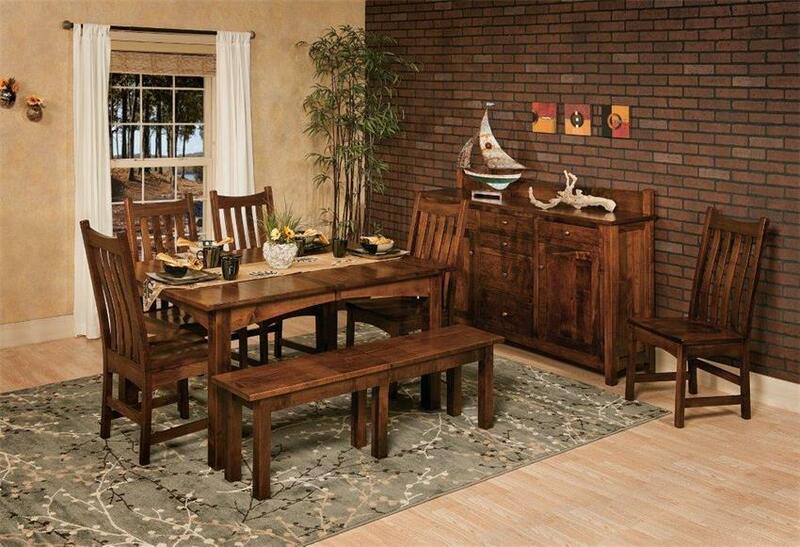 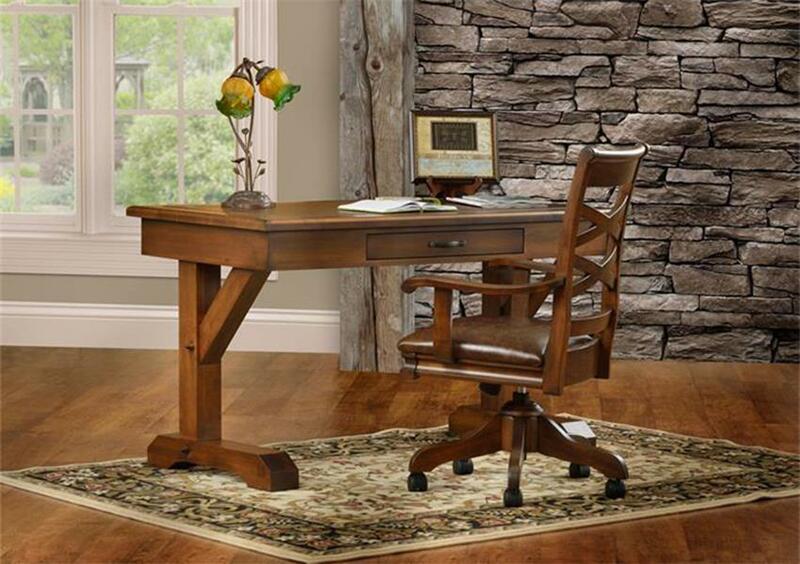 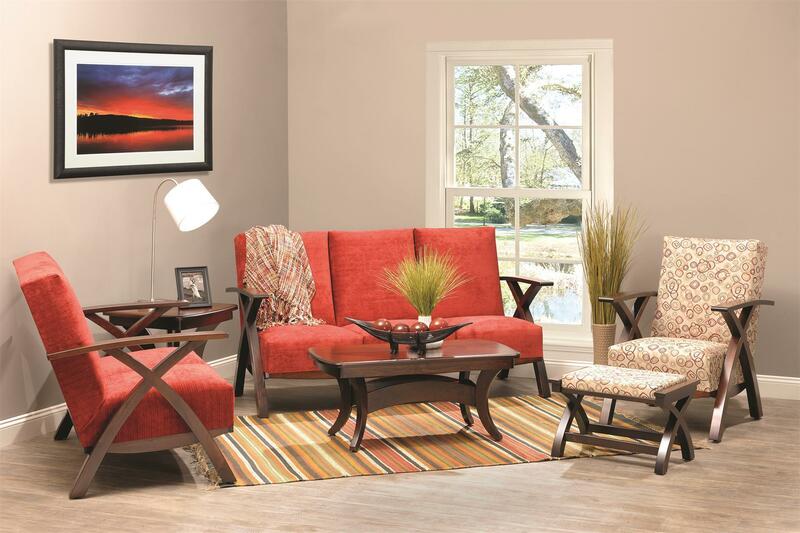 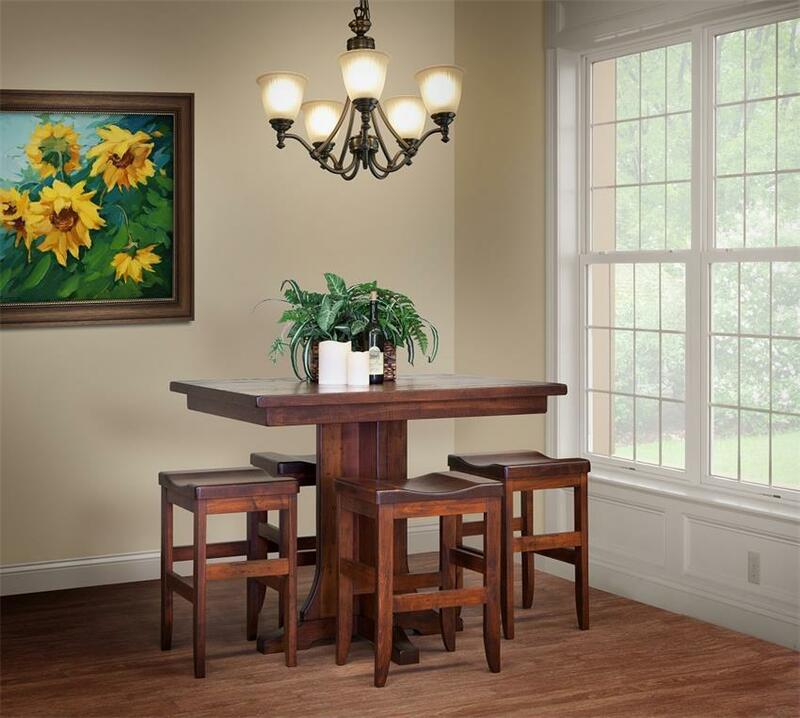 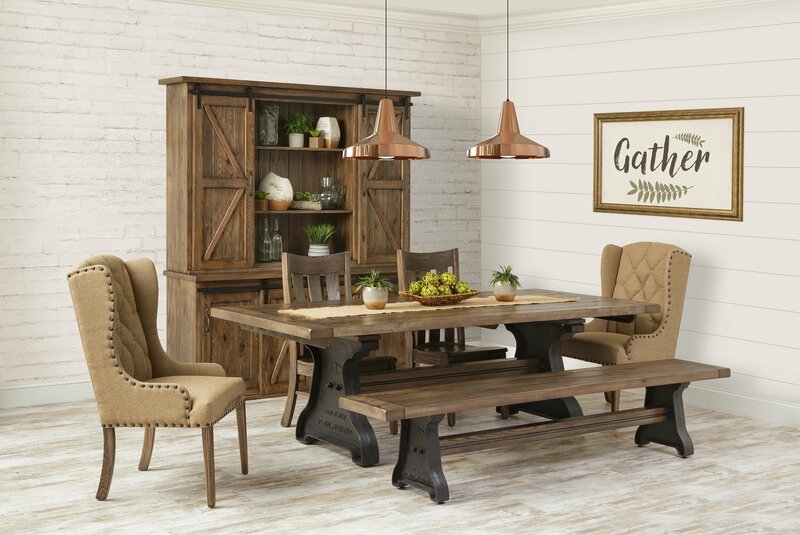 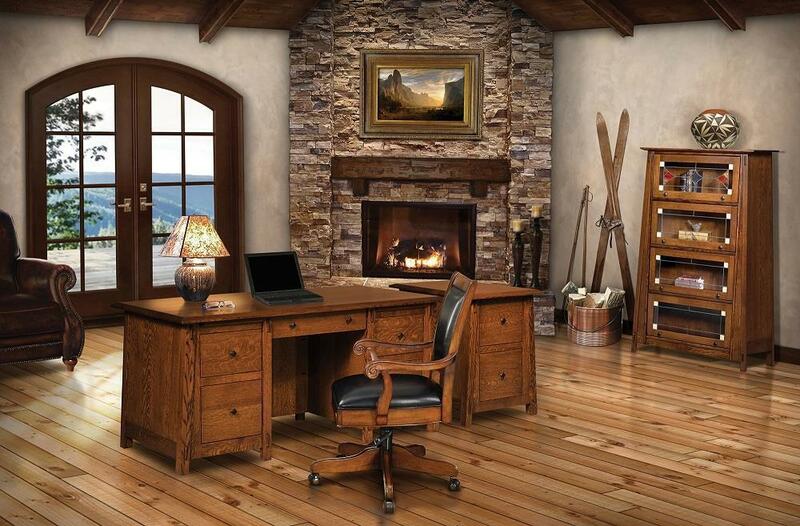 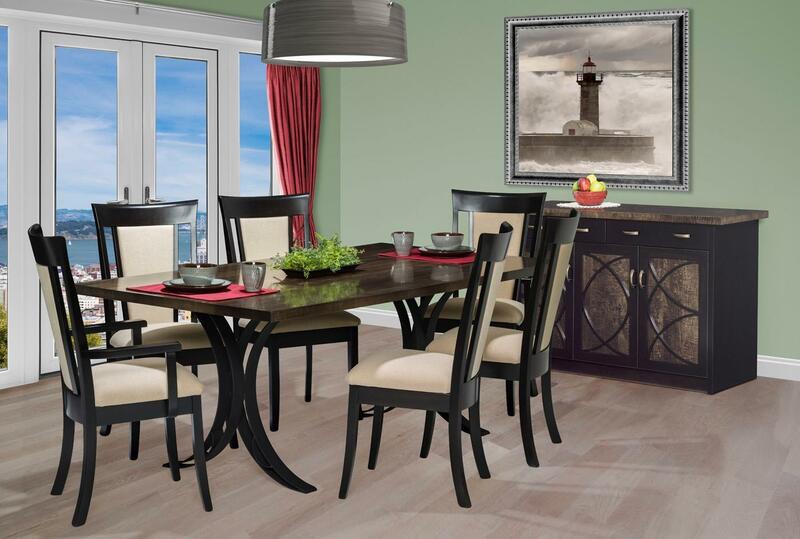 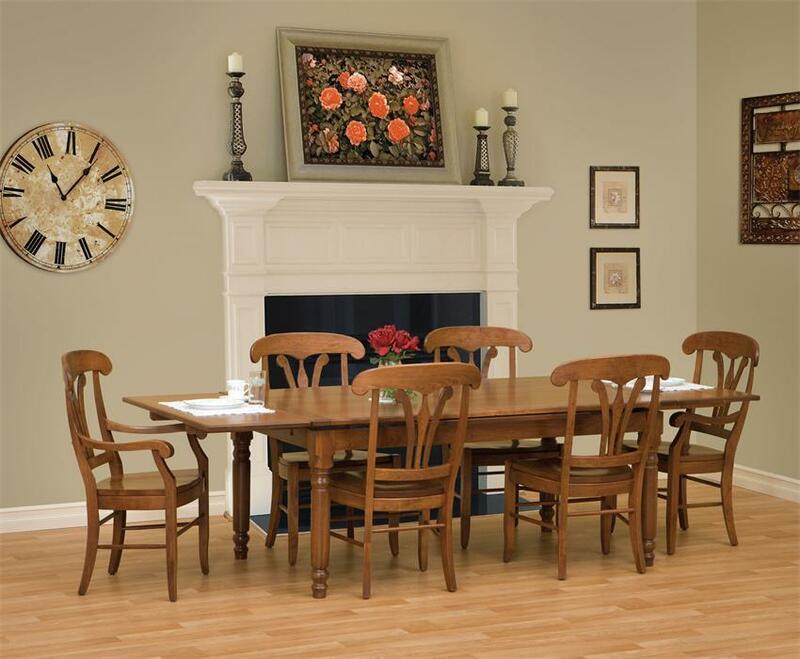 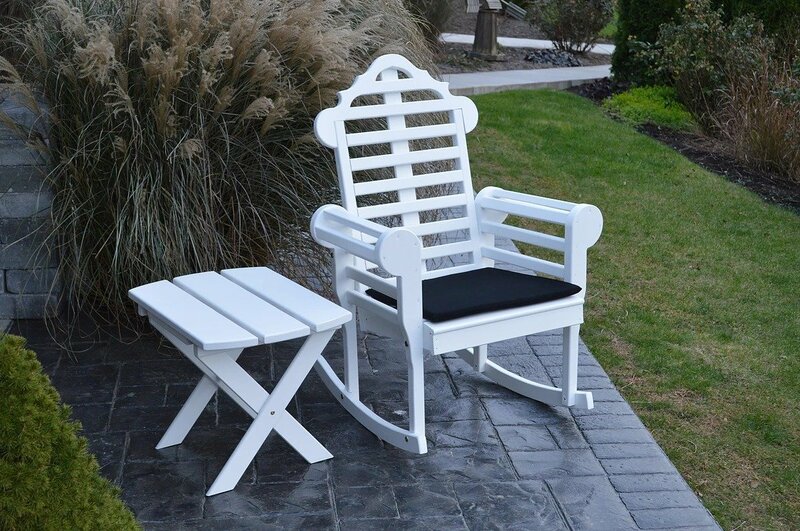 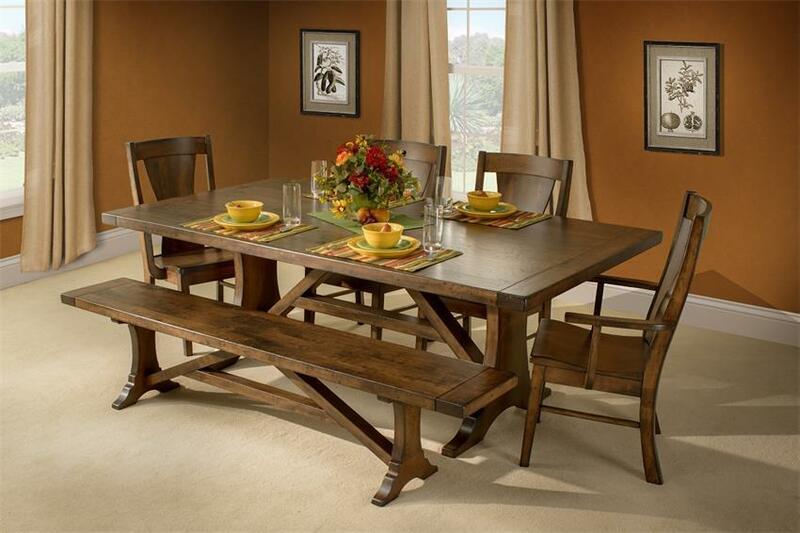 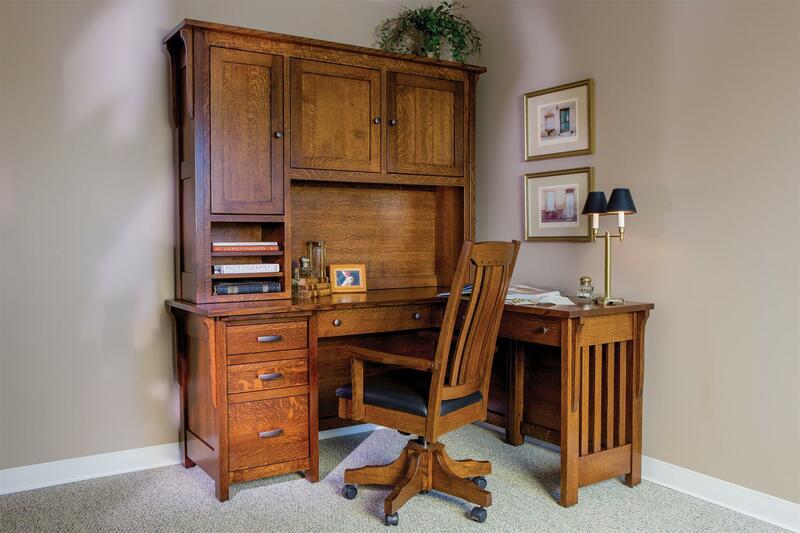 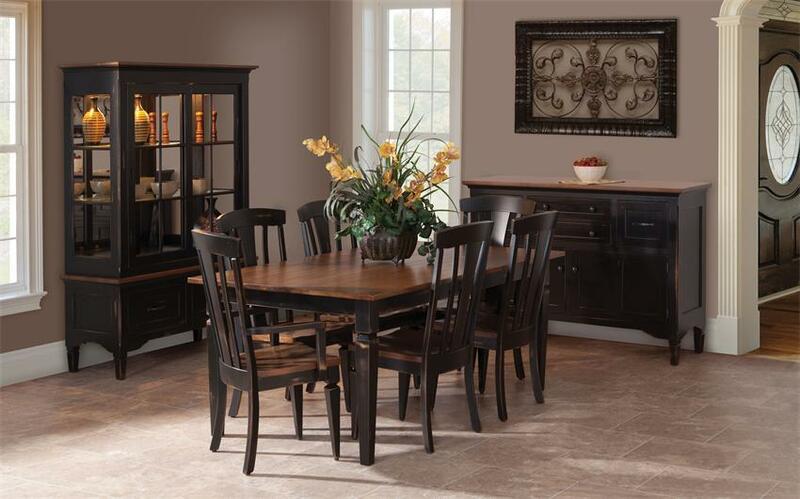 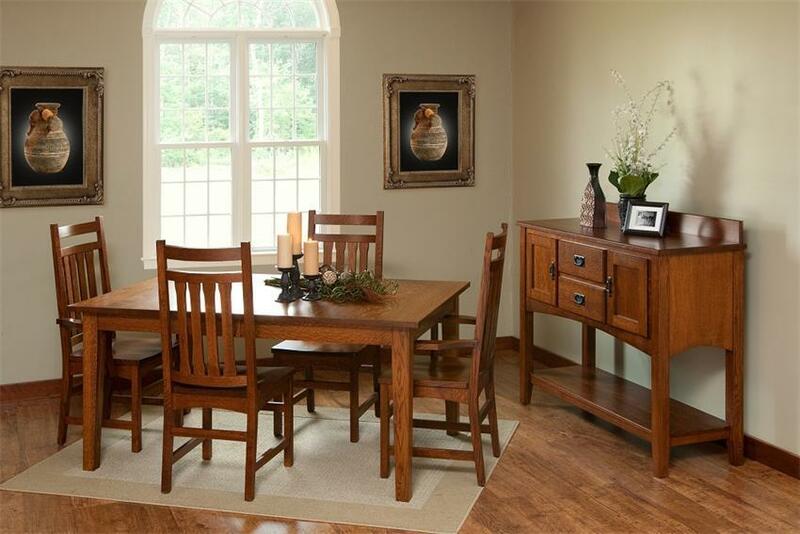 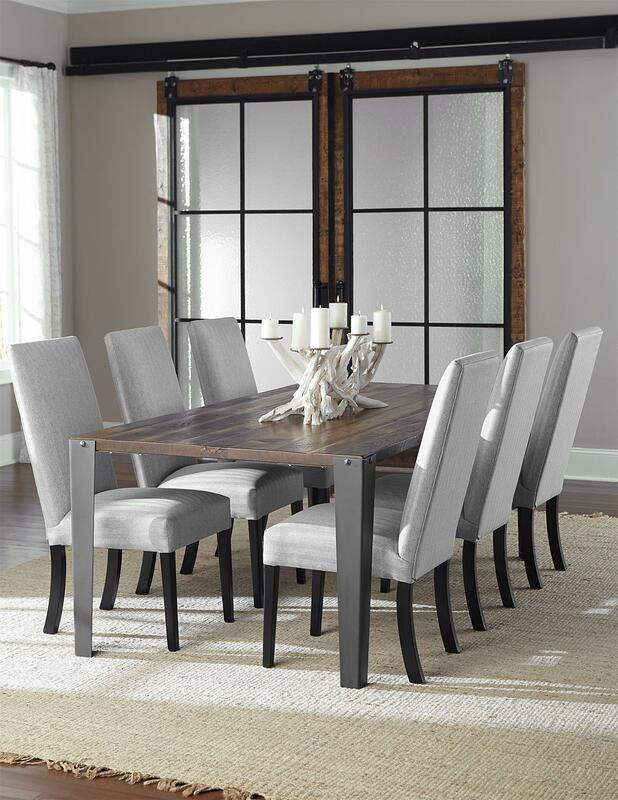 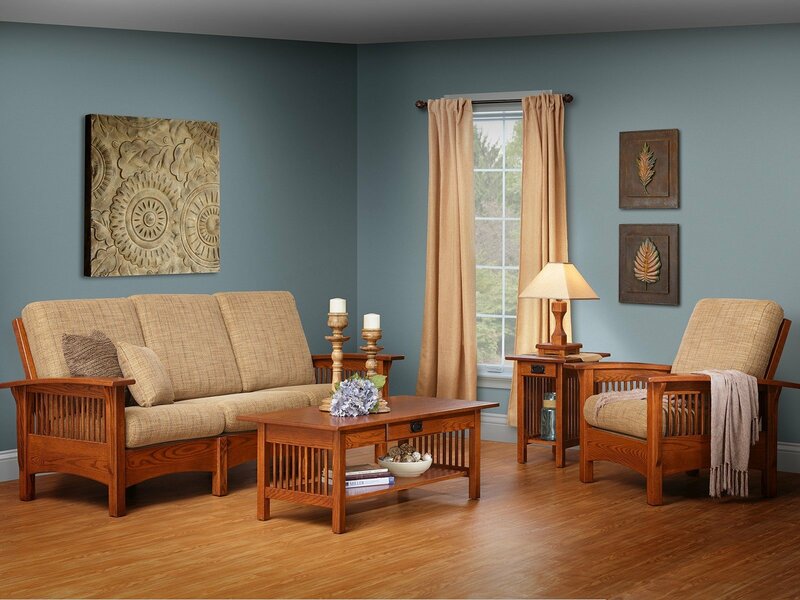 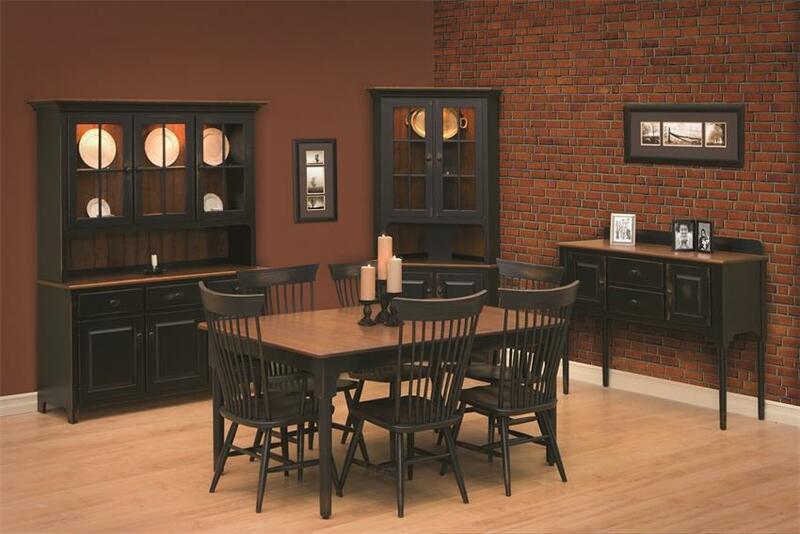 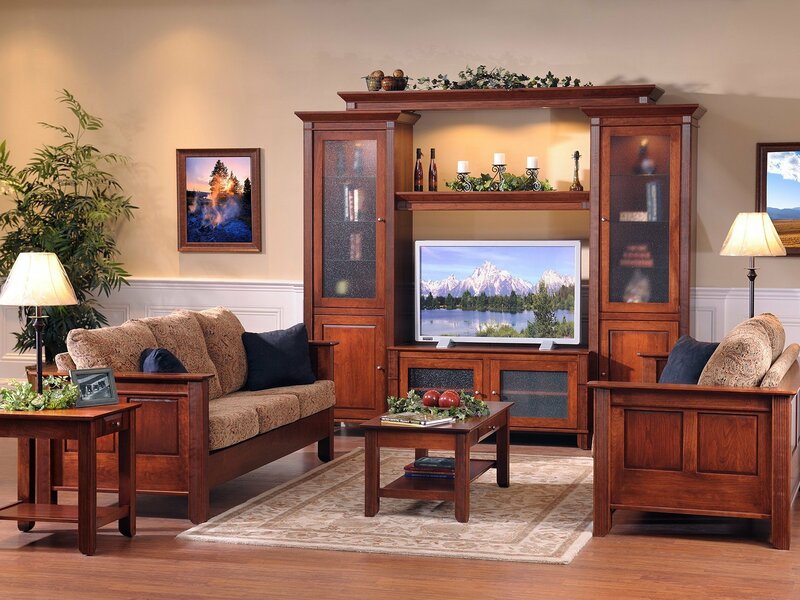 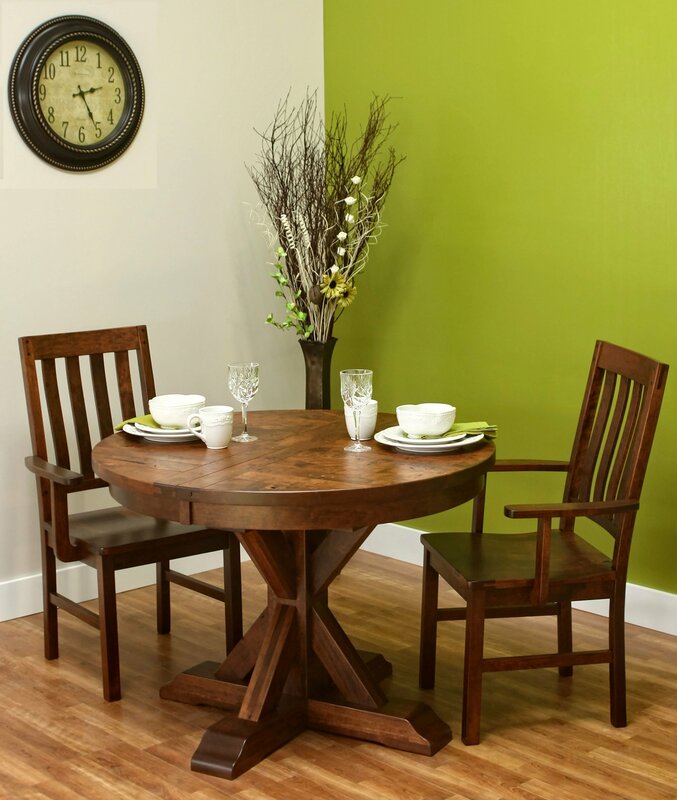 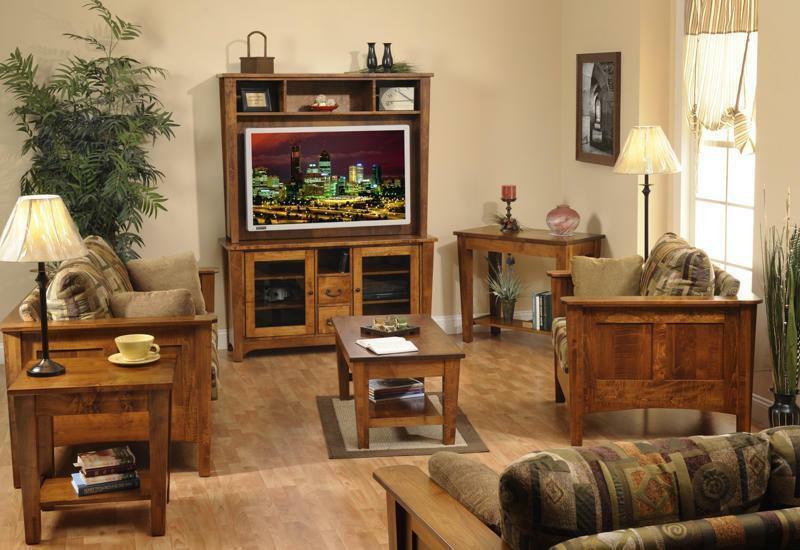 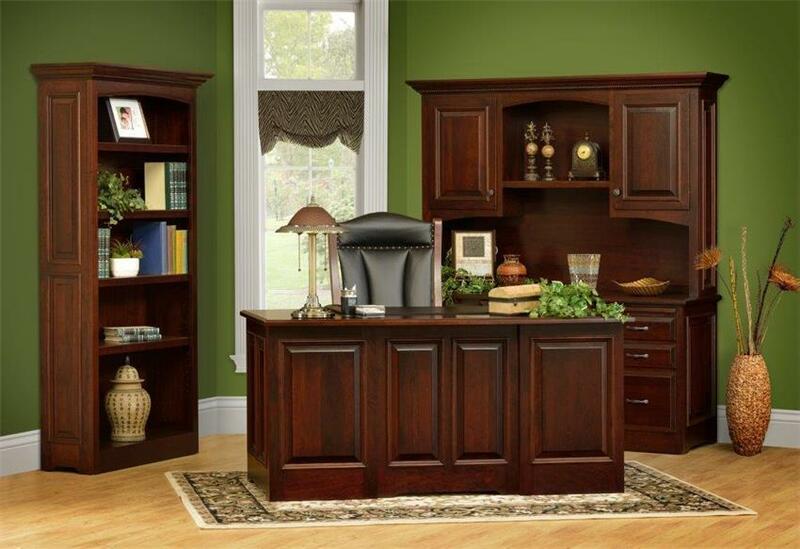 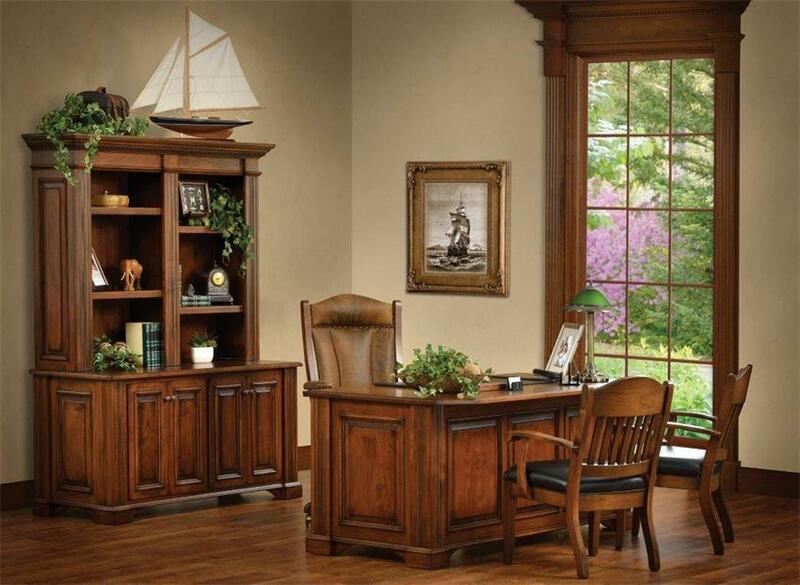 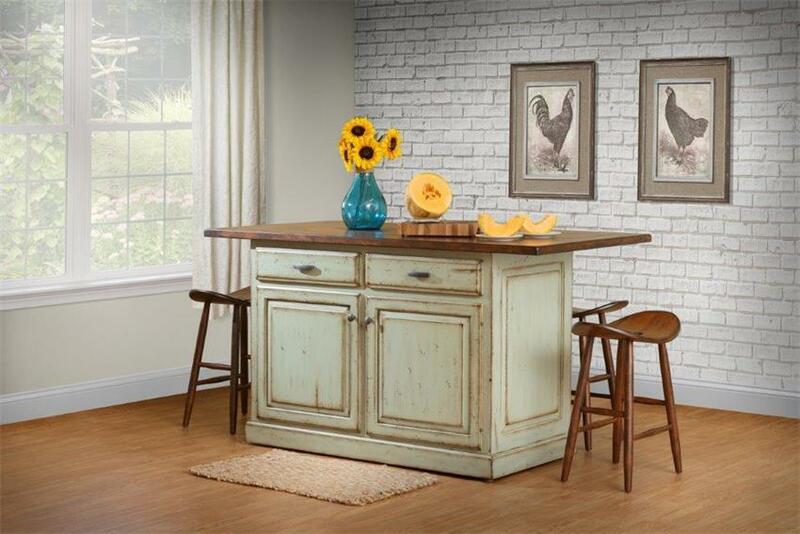 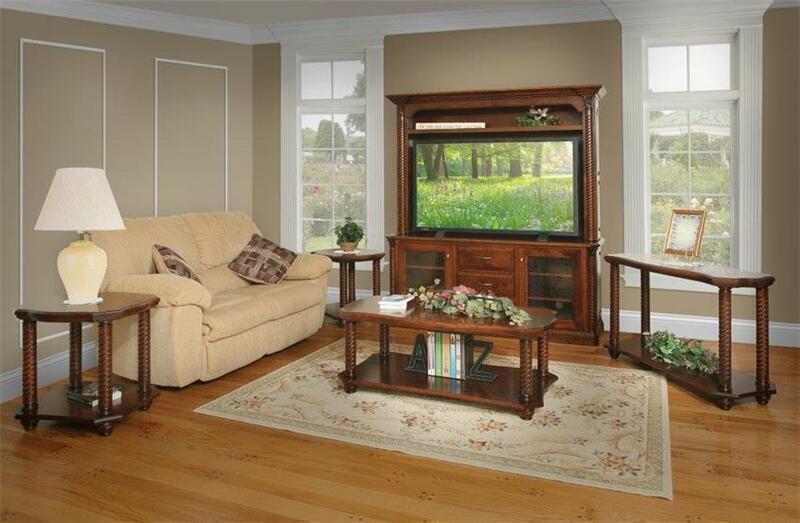 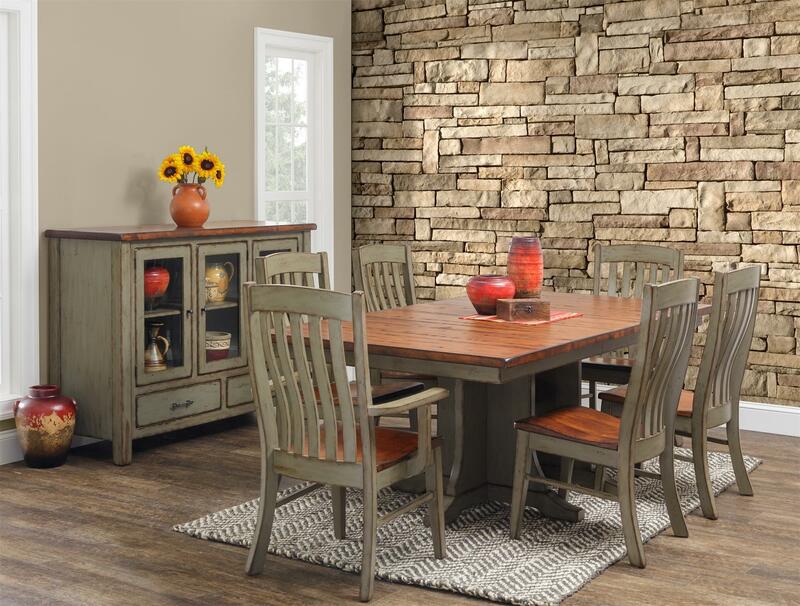 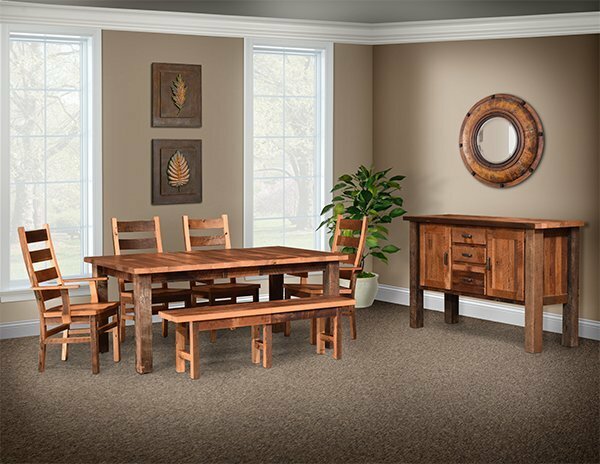 DutchCrafters Shop the Look is an easy way to shop from our gallery of room photos and looks you love. 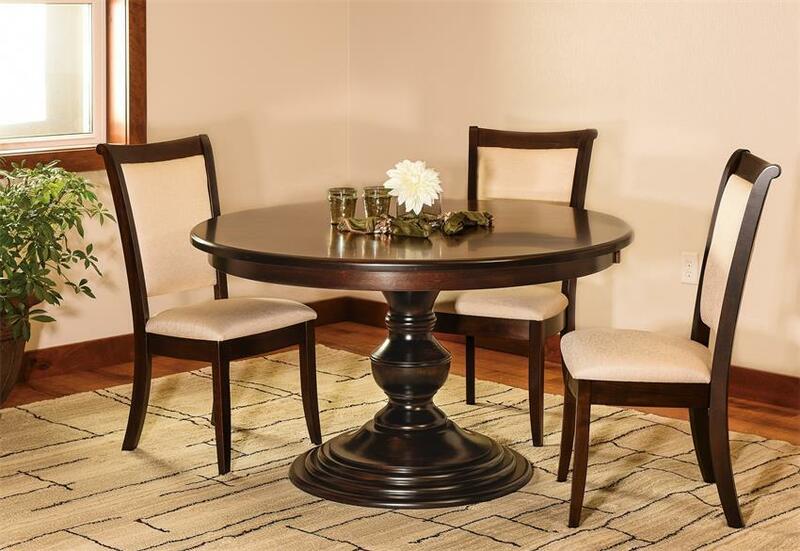 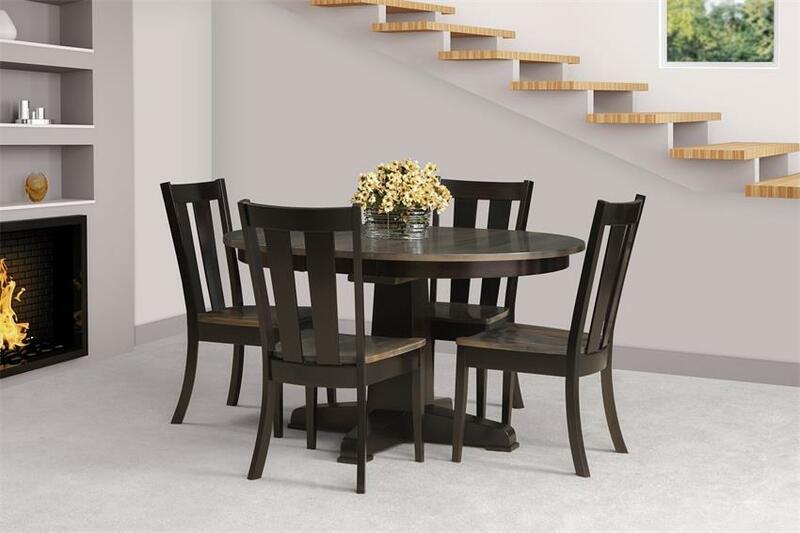 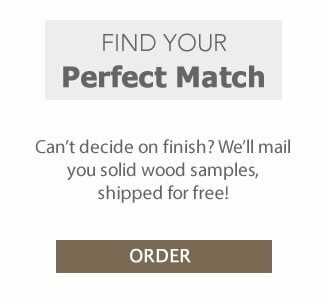 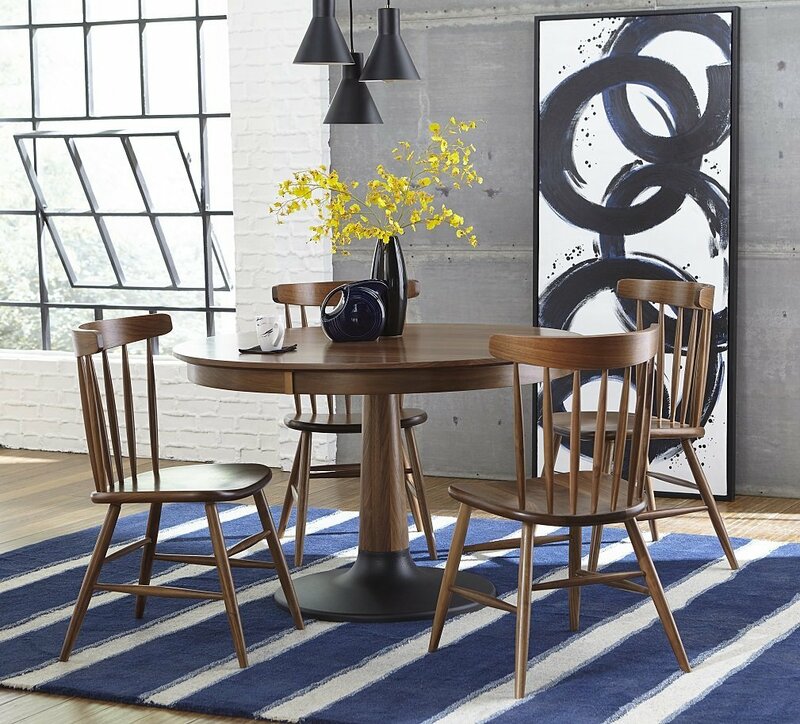 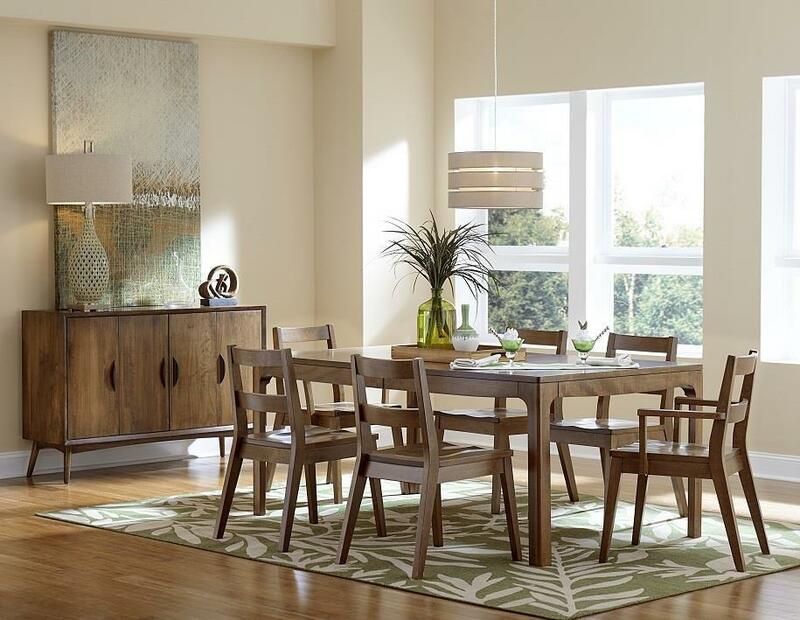 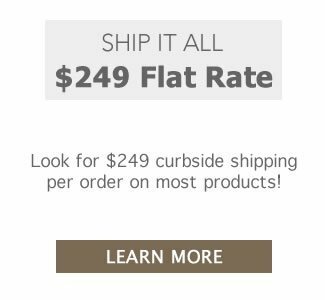 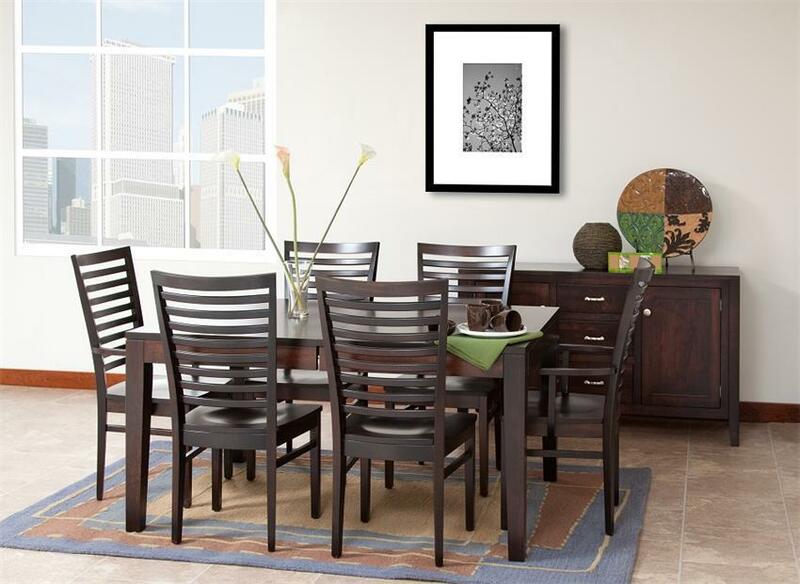 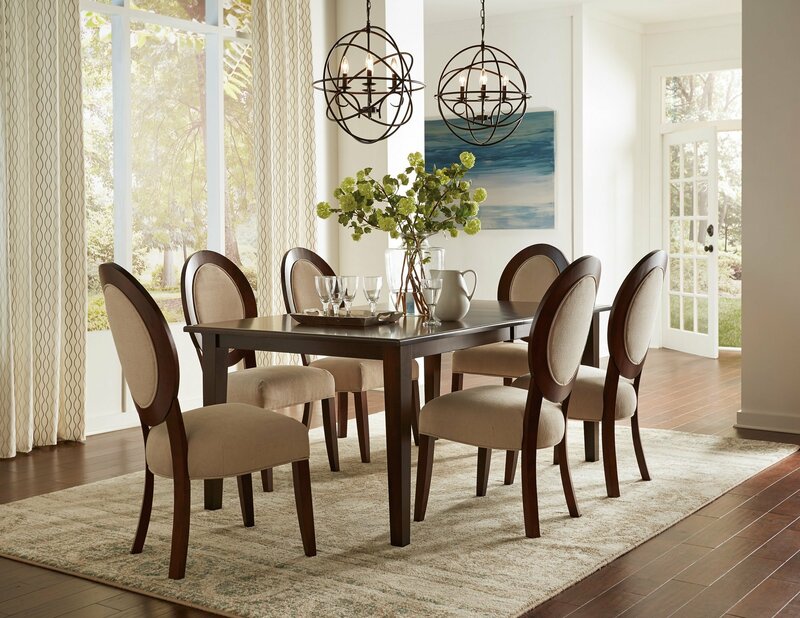 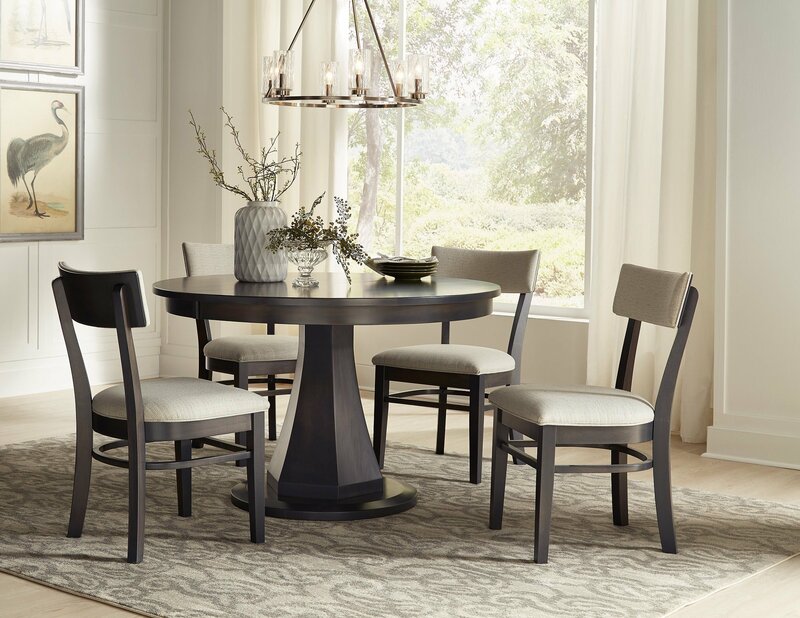 Browse our dining room, bedroom and living room photos for home design ideas and inspiration and add the look to the cart for an easy way to shop. 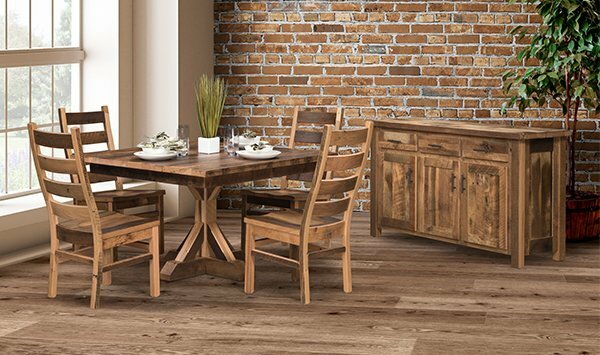 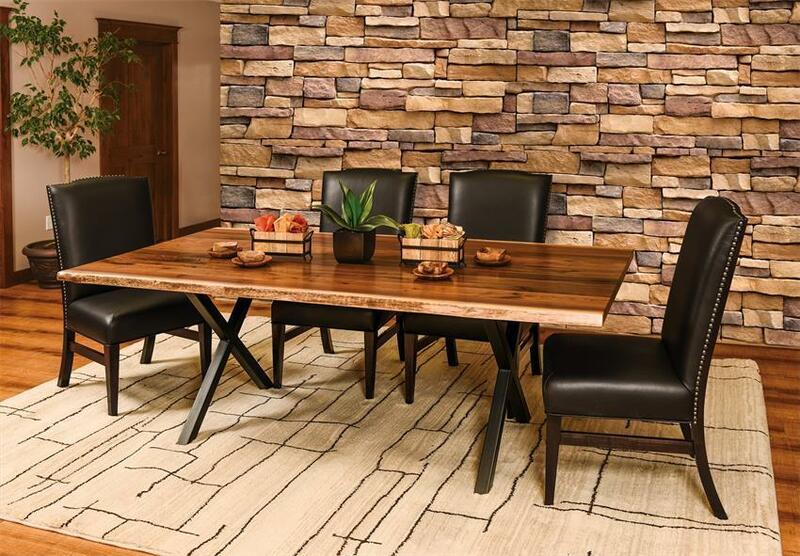 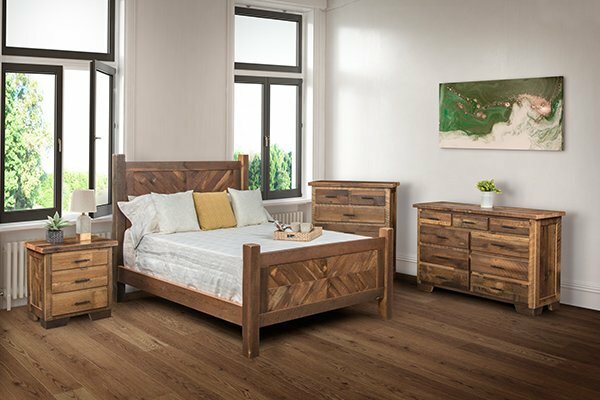 A brilliant addition to any suite, our Rockport Collection is crafted from Rustic Quarter Sawn Oak and finished with a Driftwood stain for the perfect look. 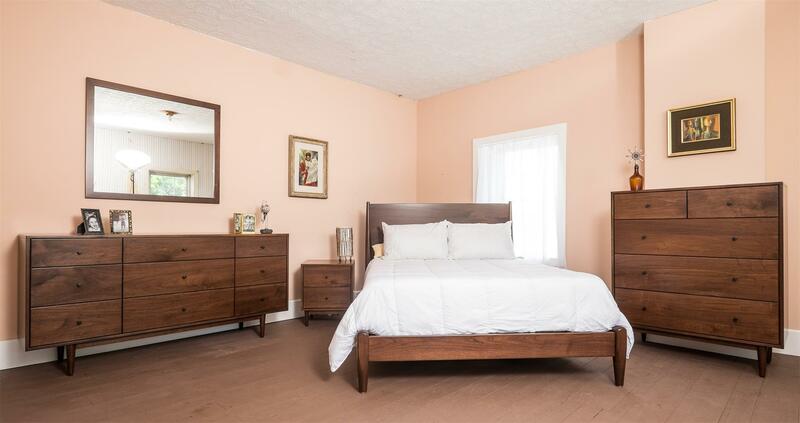 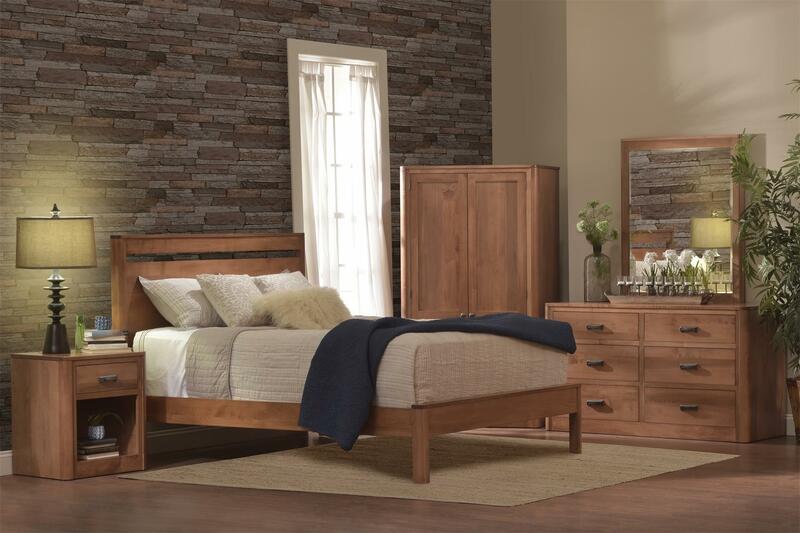 A modern take on a classic Mission style, our Brown Maple Riverview Bedroom Suite offers clean details throughout - providing the perfect backdrop for your dream bedroom ensemble. 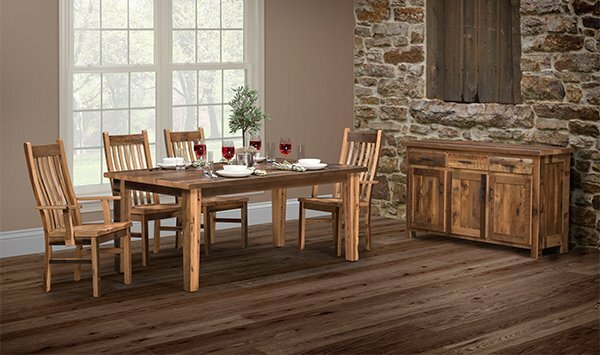 Beautiful Sap Cherry finished with an elegant Michael's stain, and handcrafted just for you - add this collection to any room in the home for a cozy retreat. 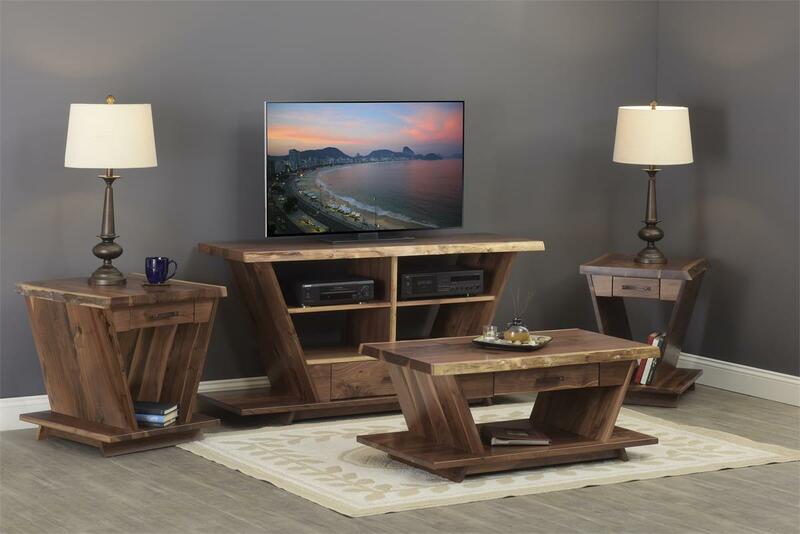 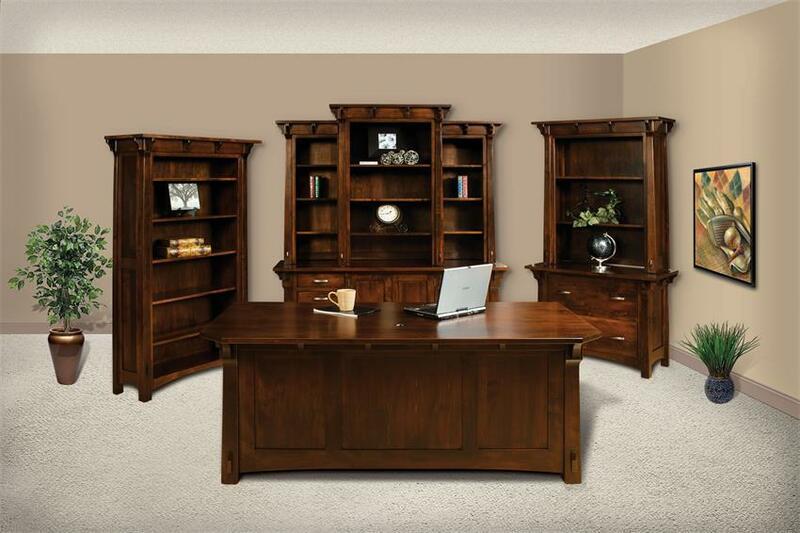 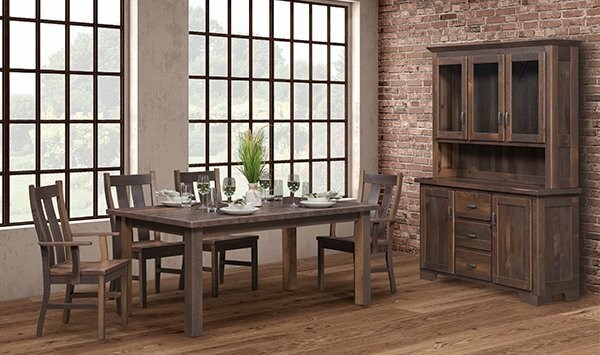 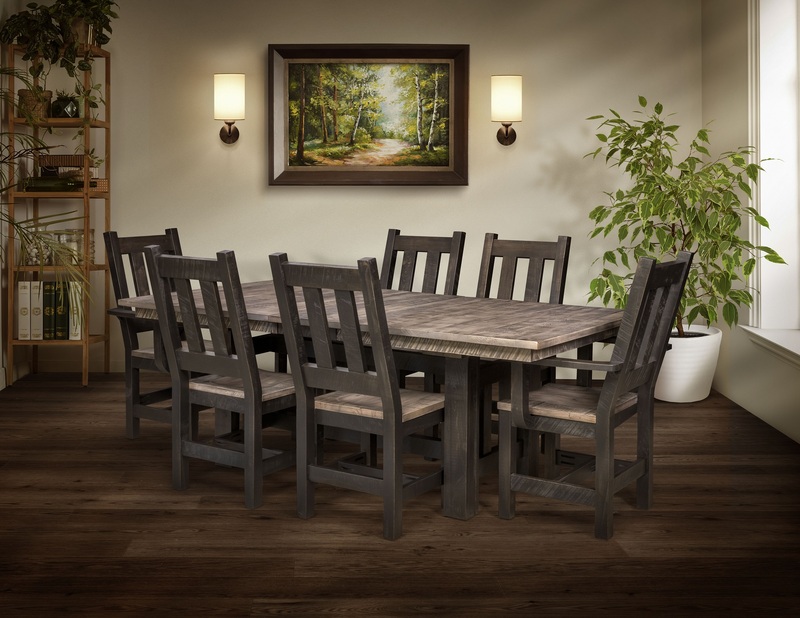 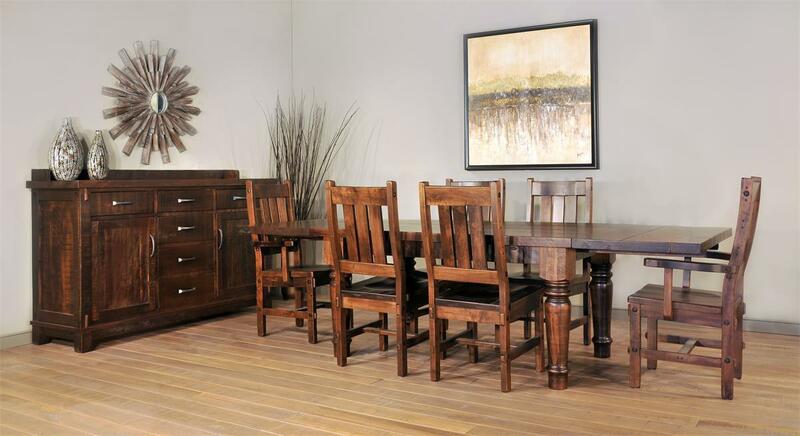 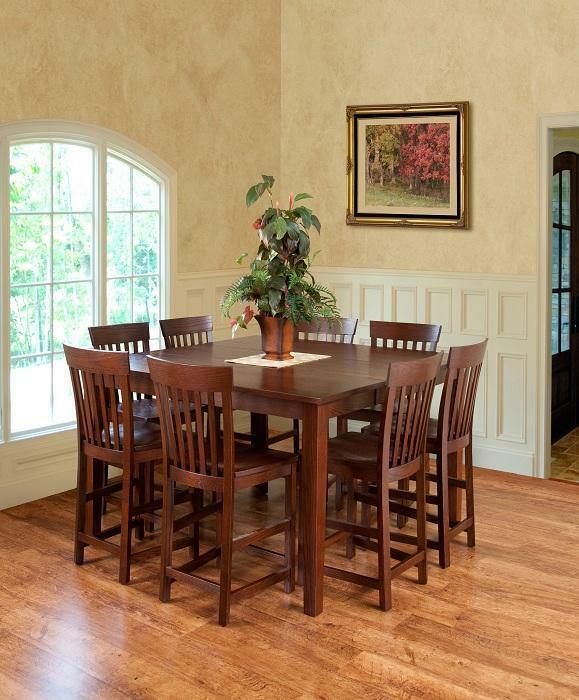 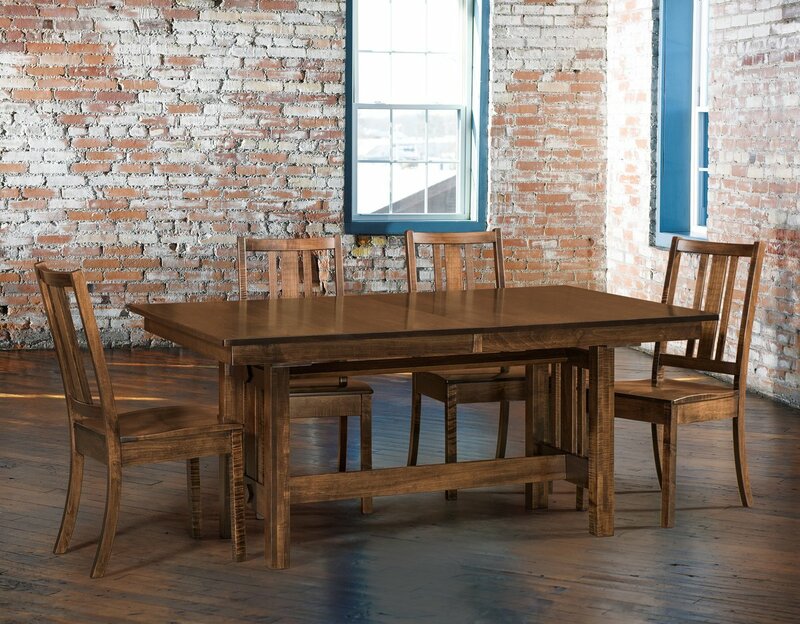 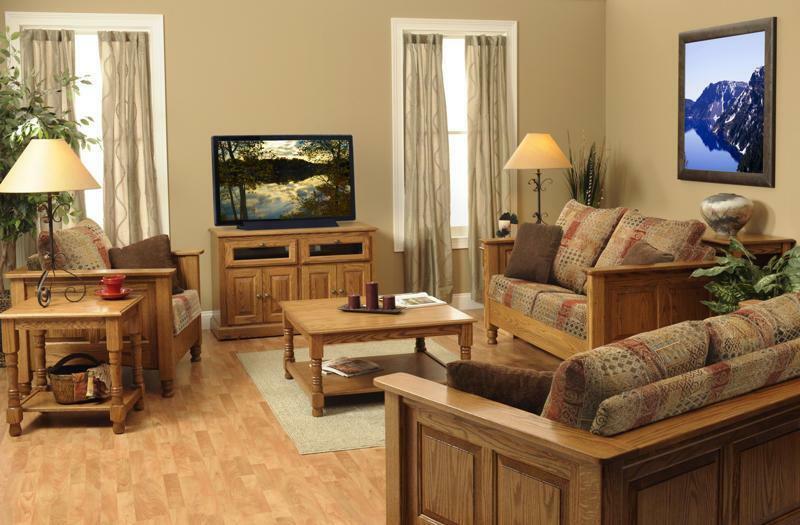 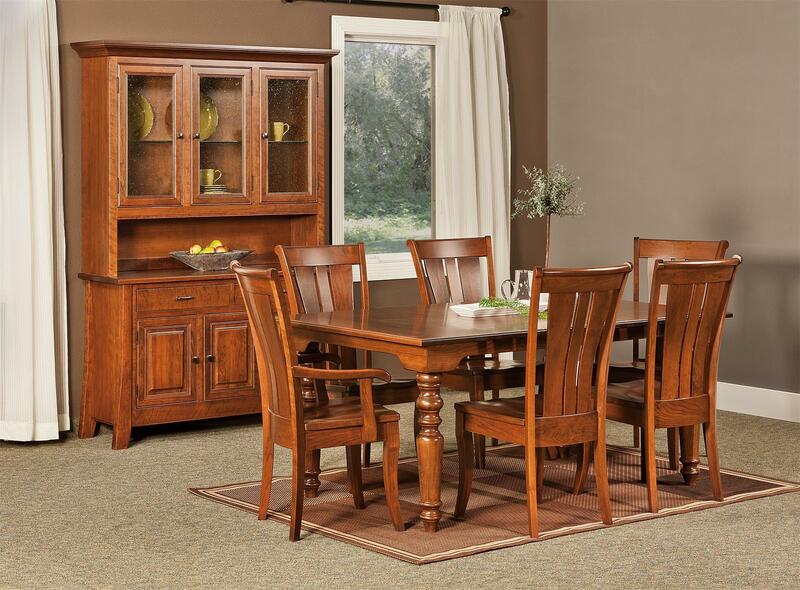 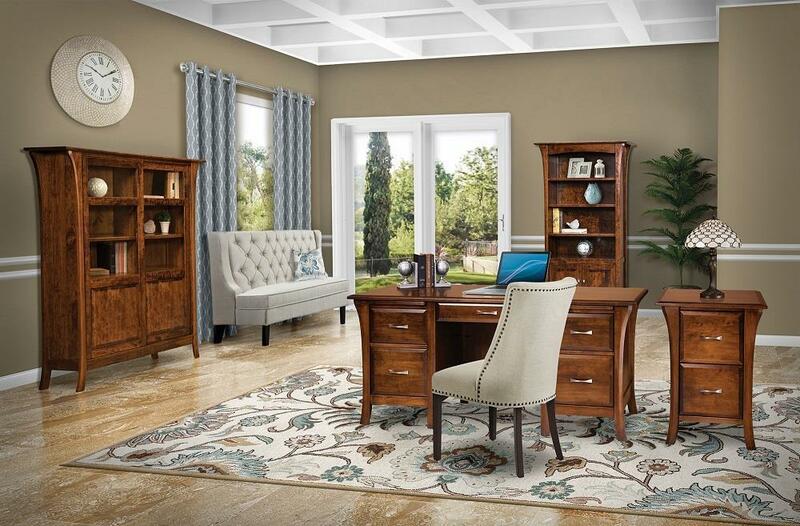 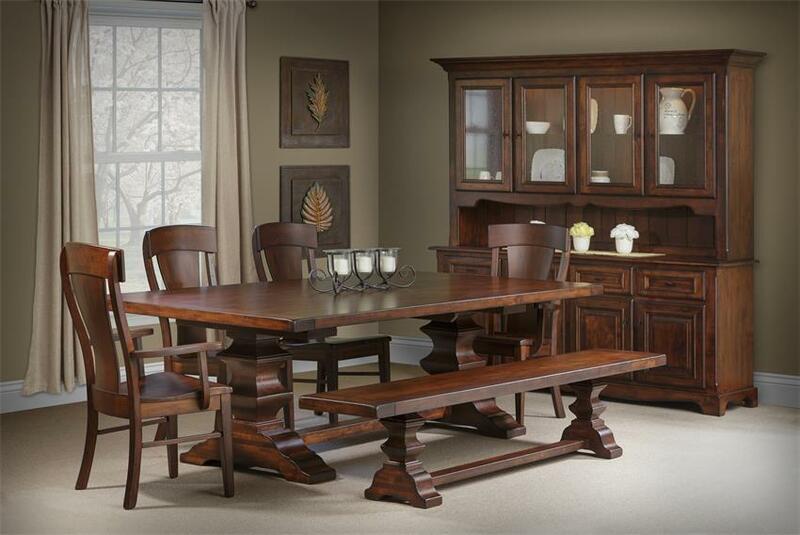 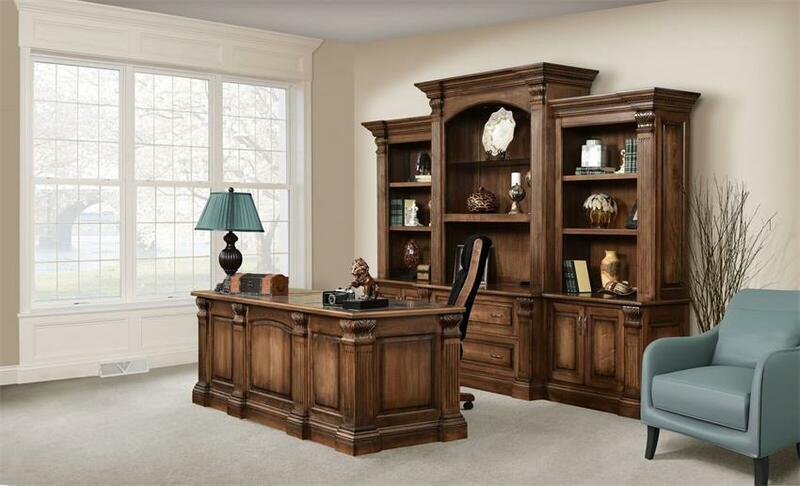 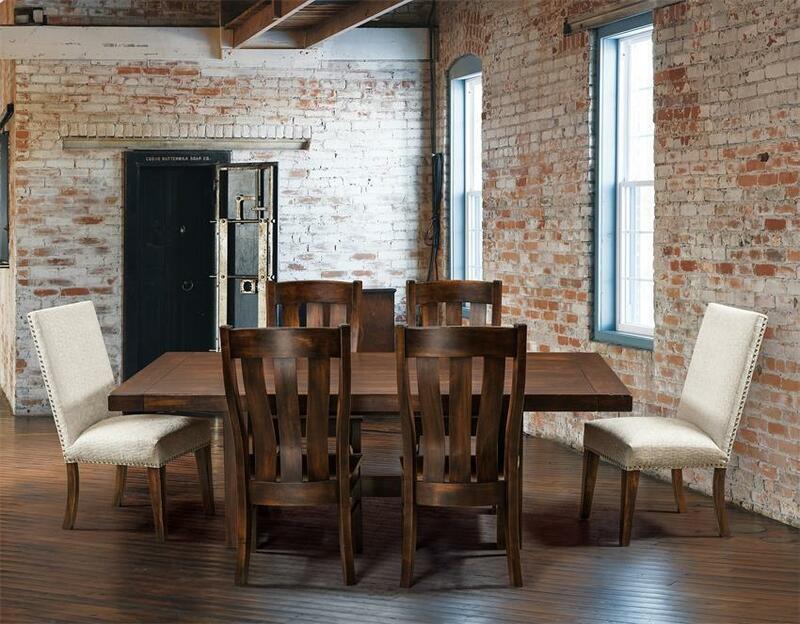 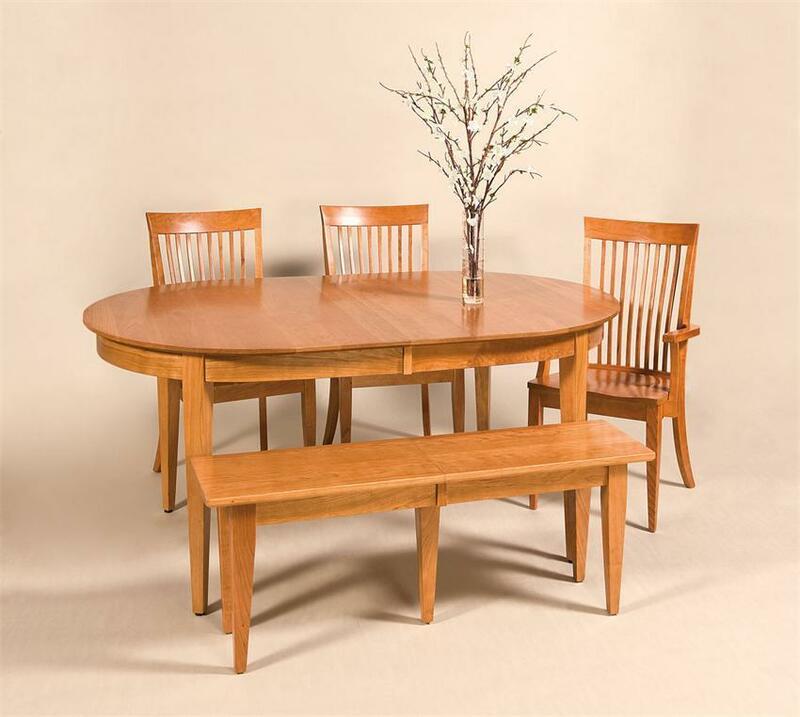 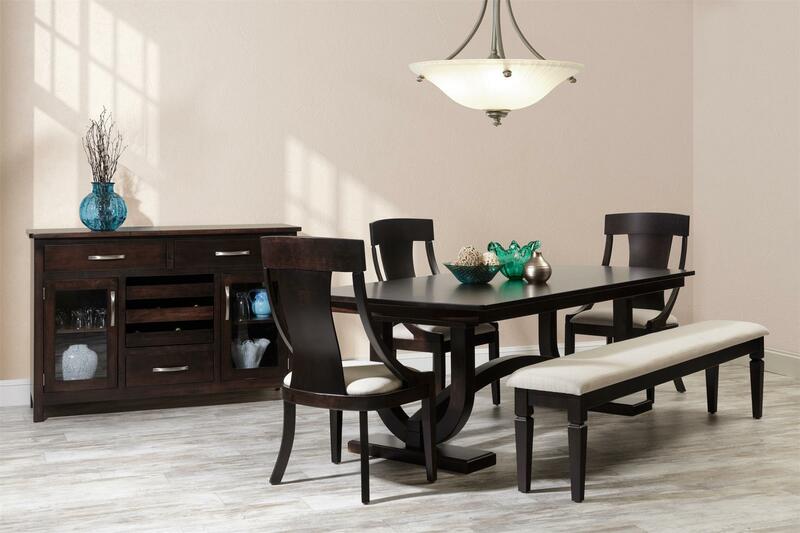 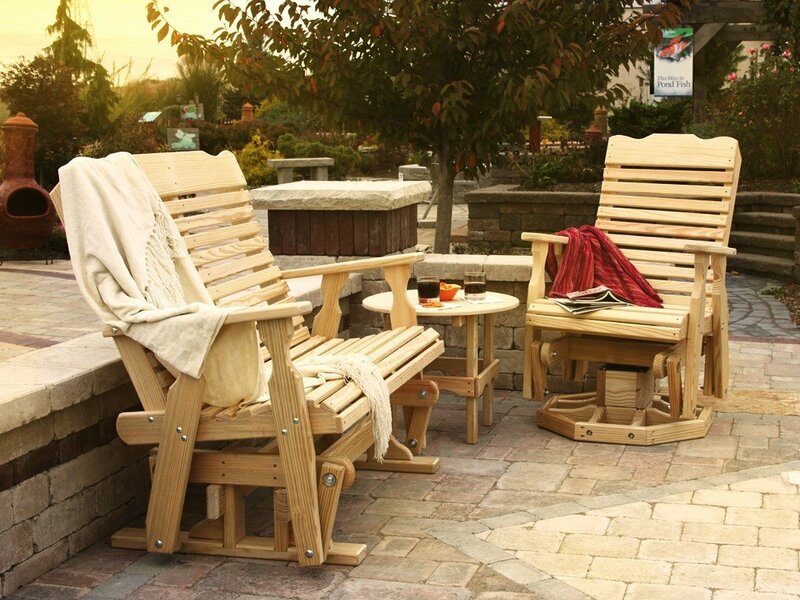 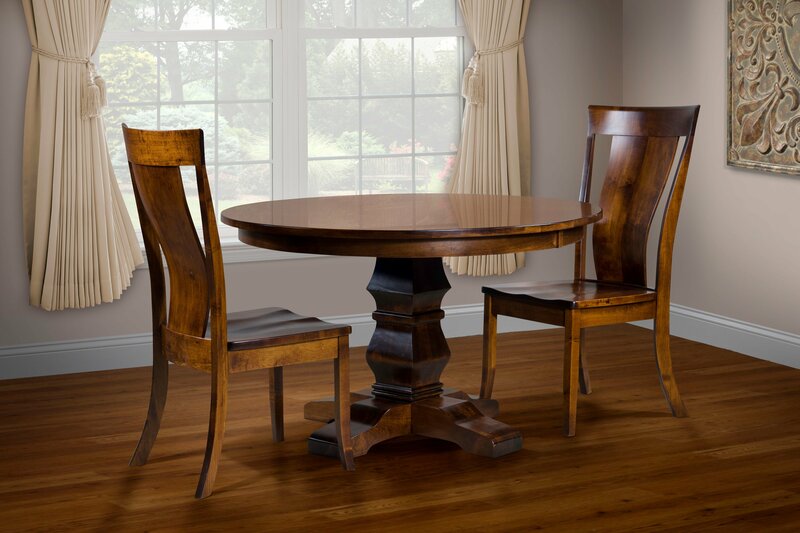 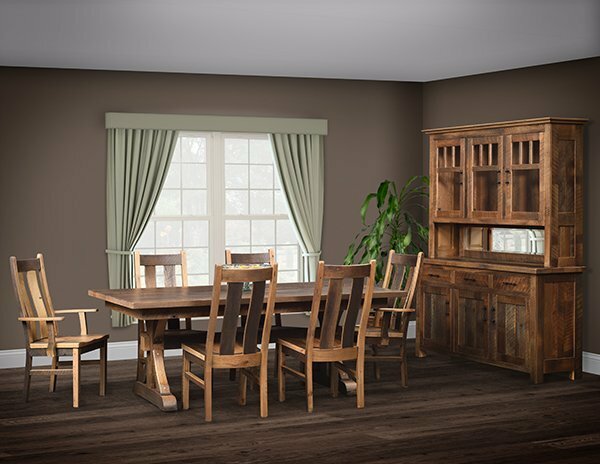 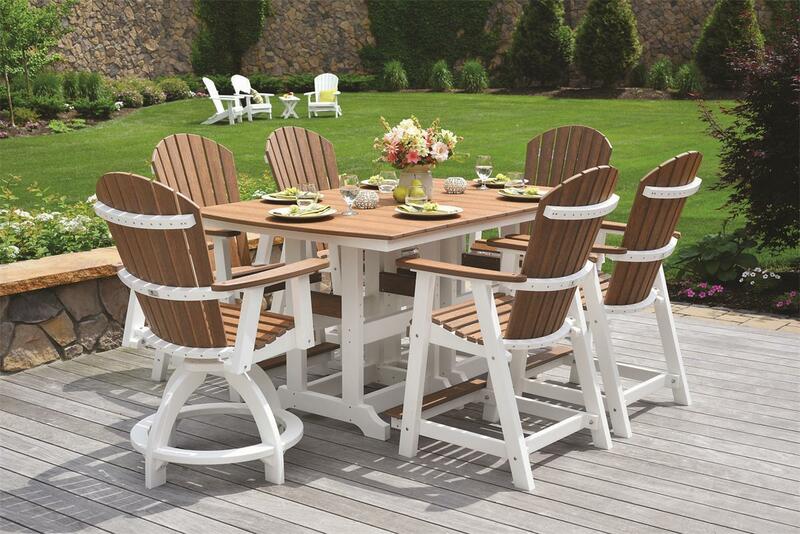 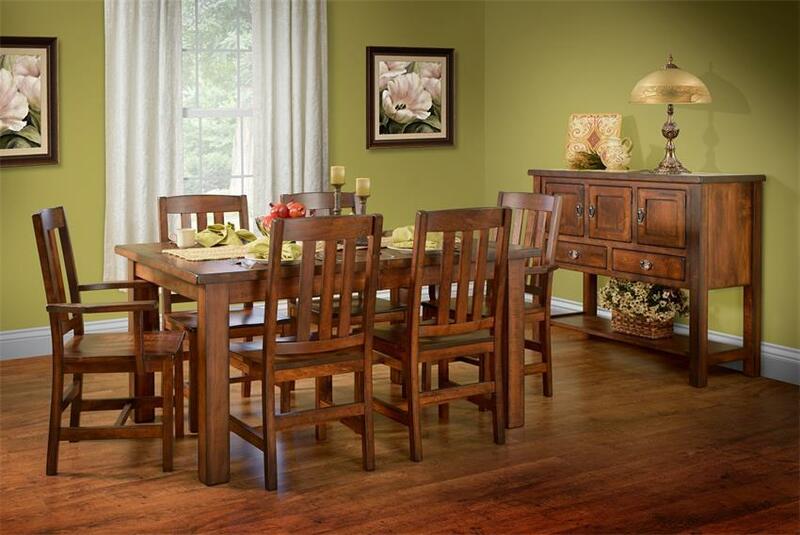 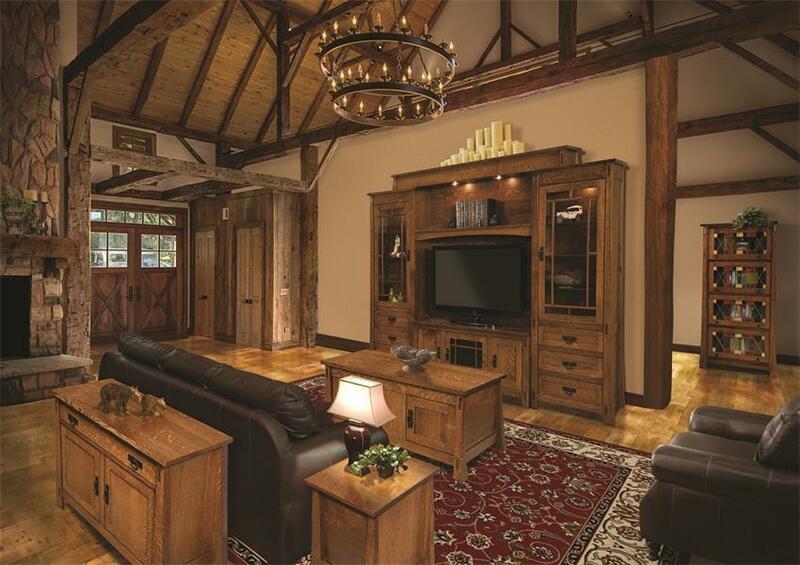 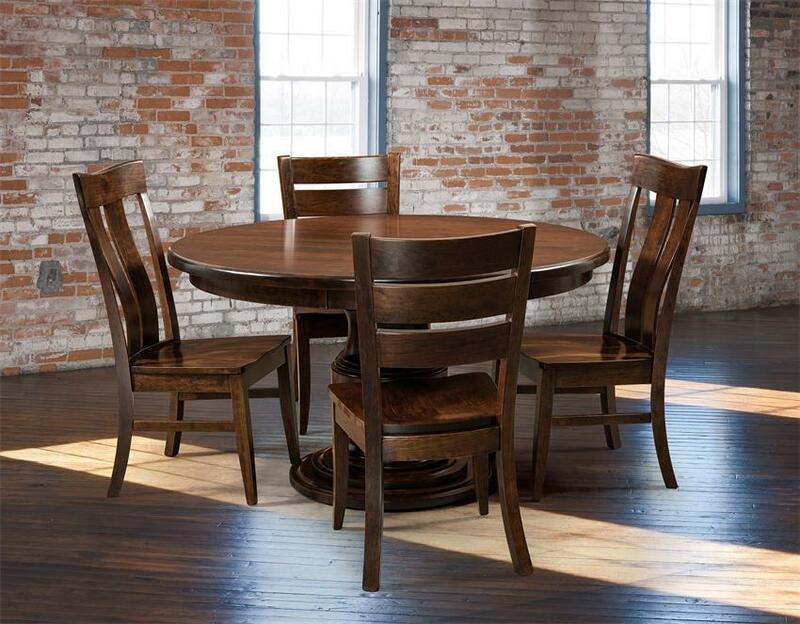 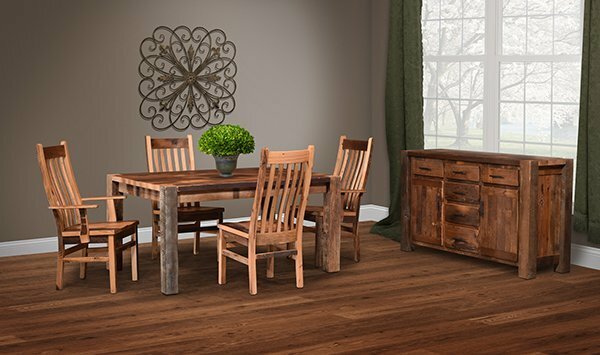 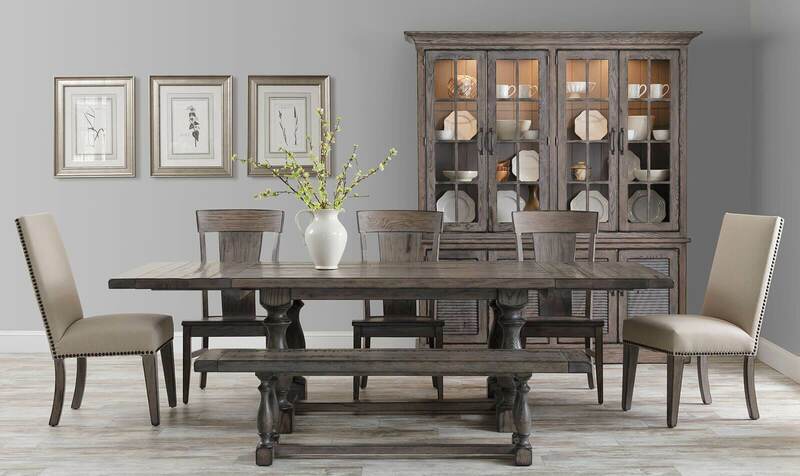 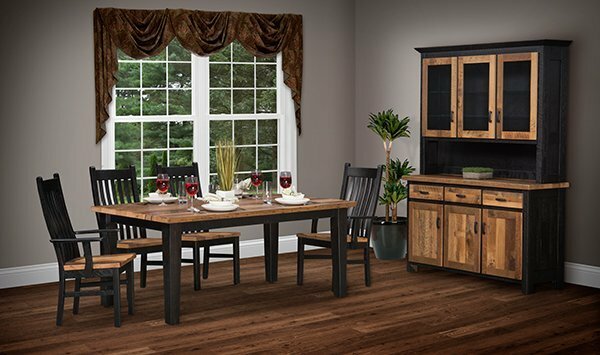 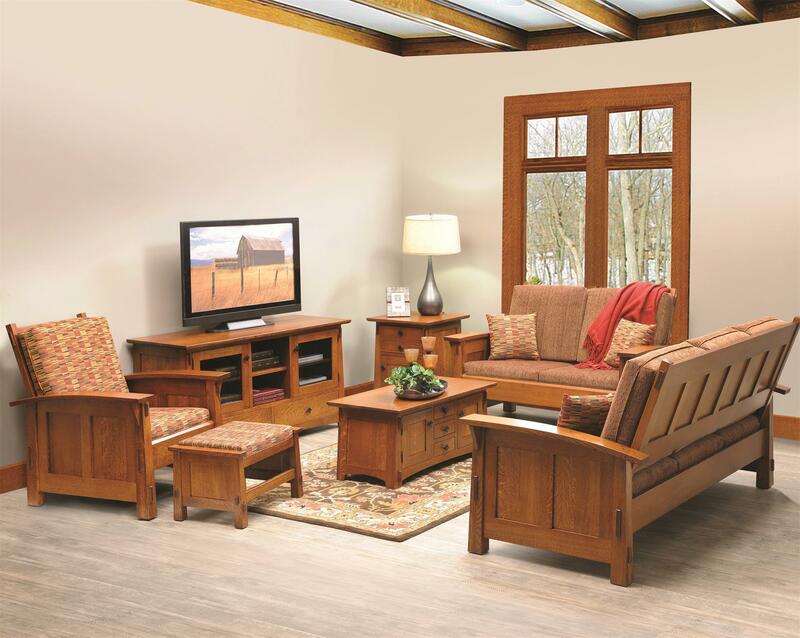 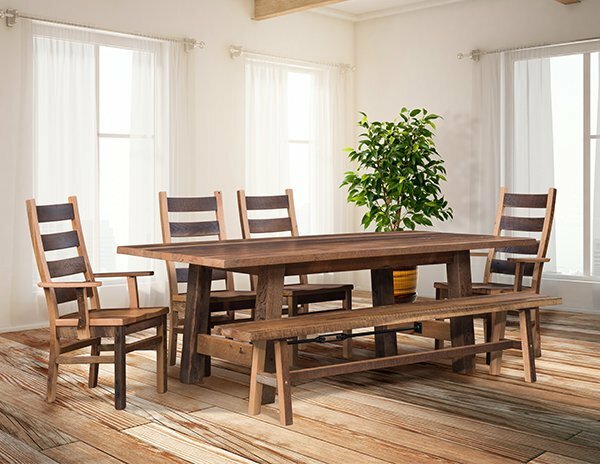 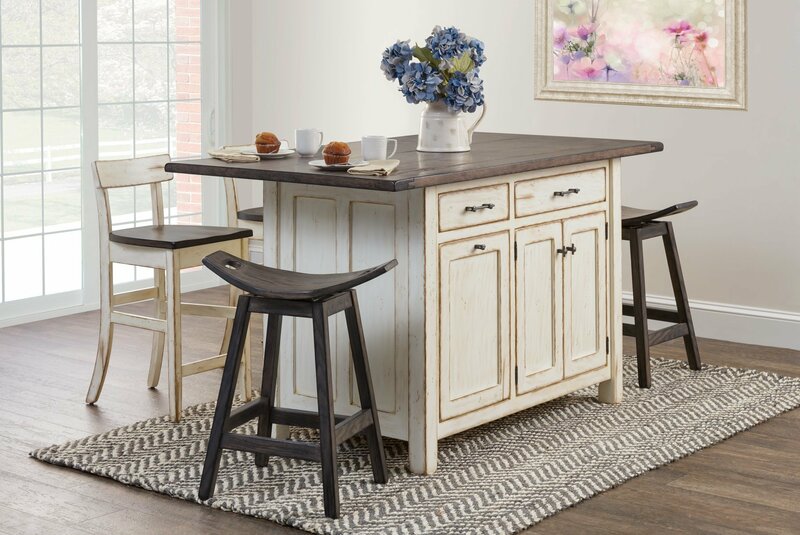 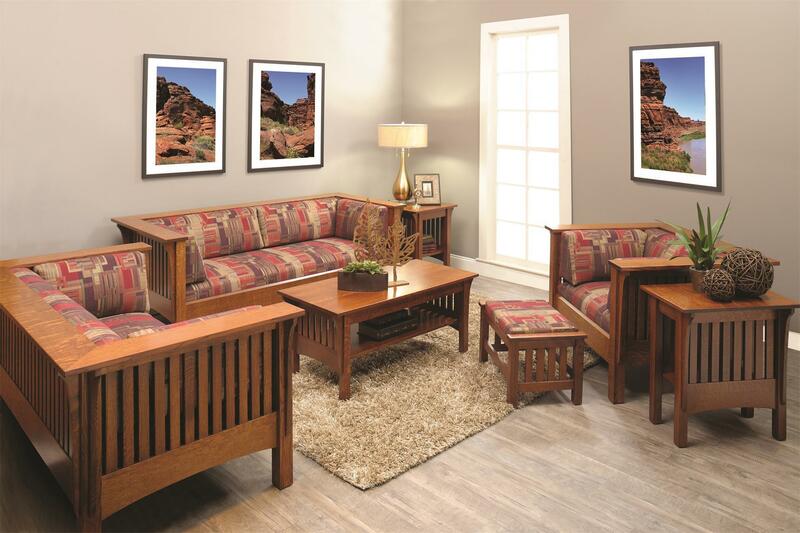 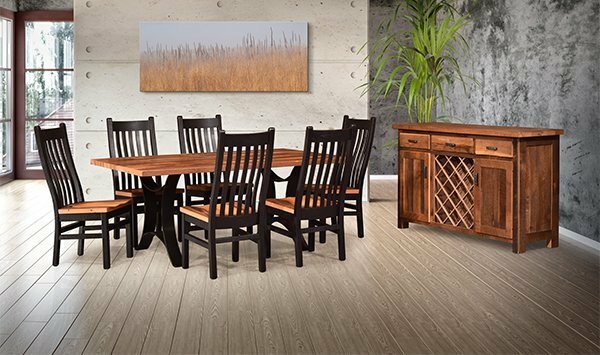 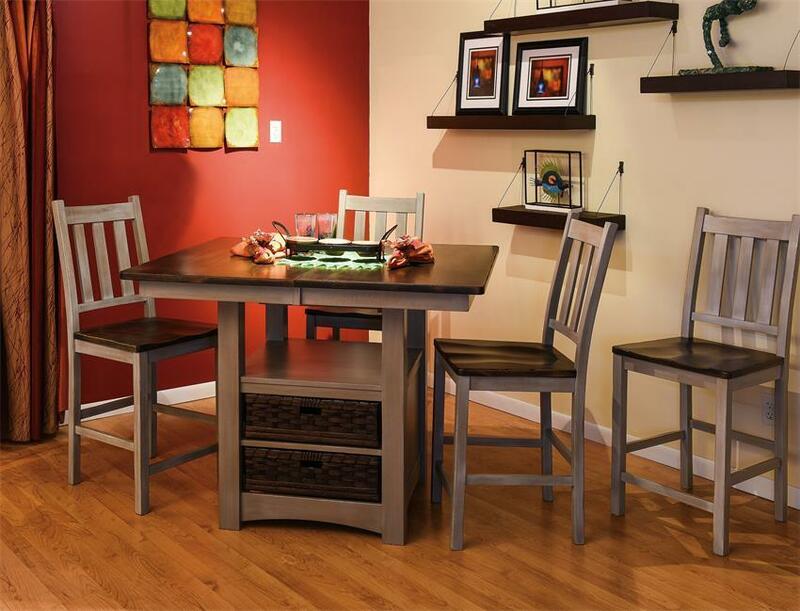 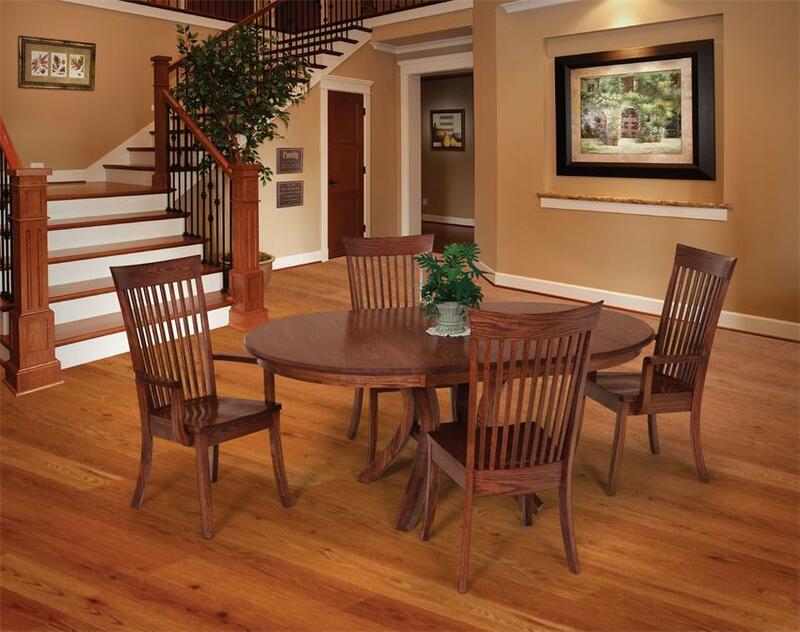 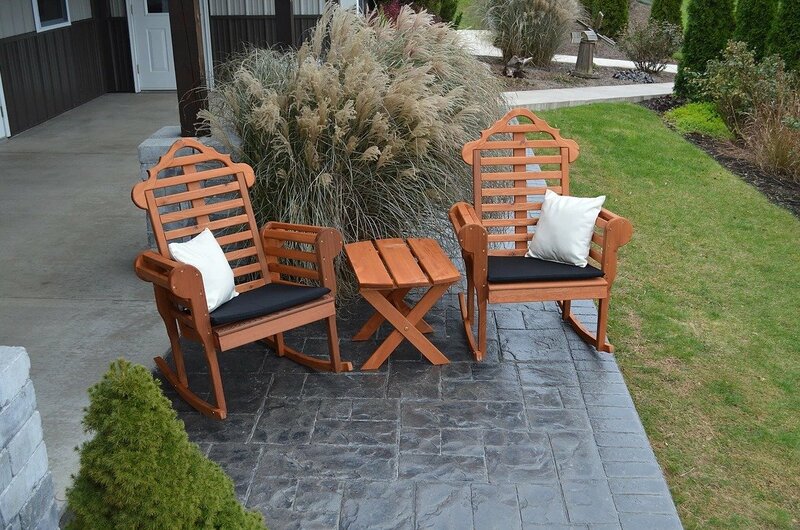 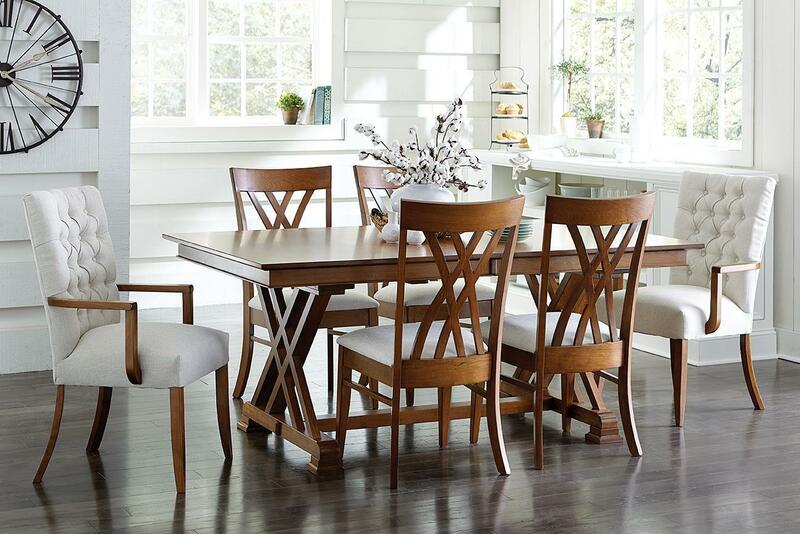 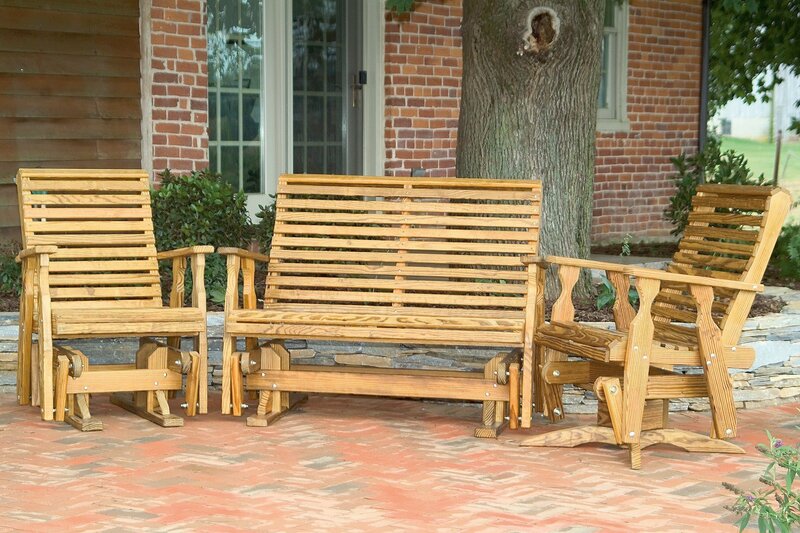 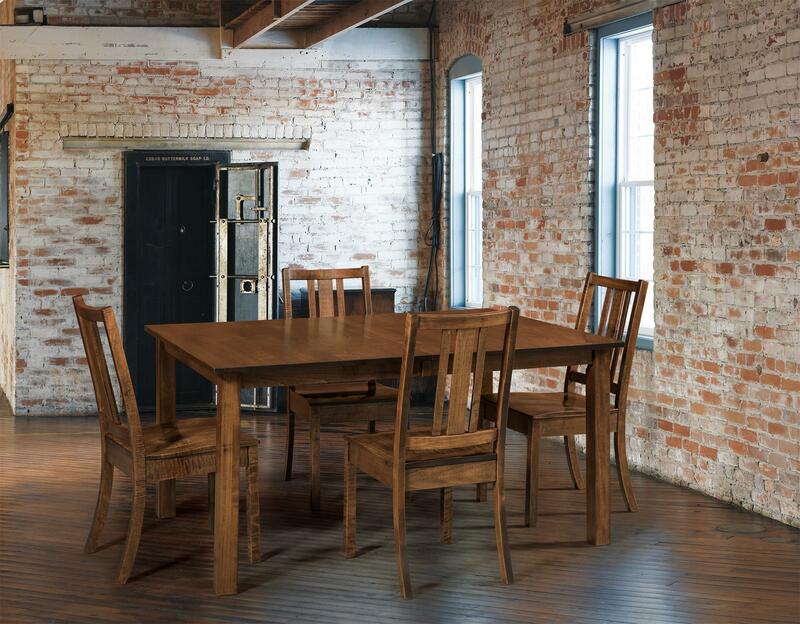 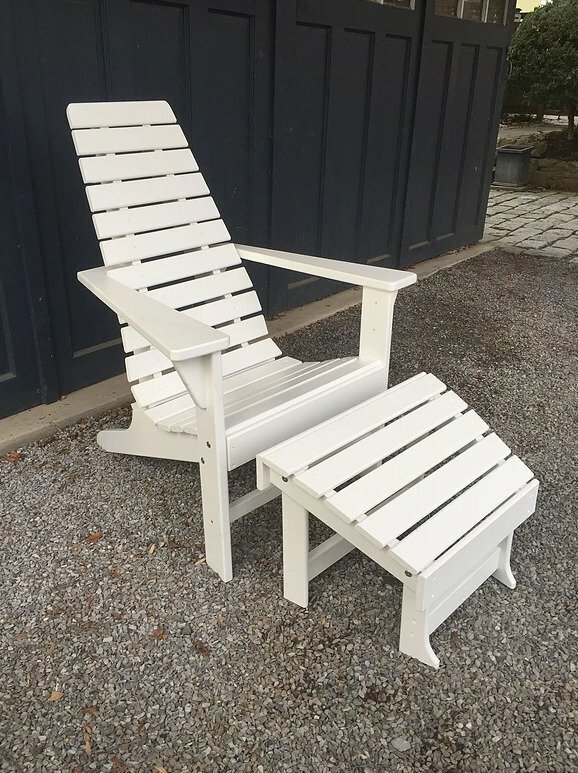 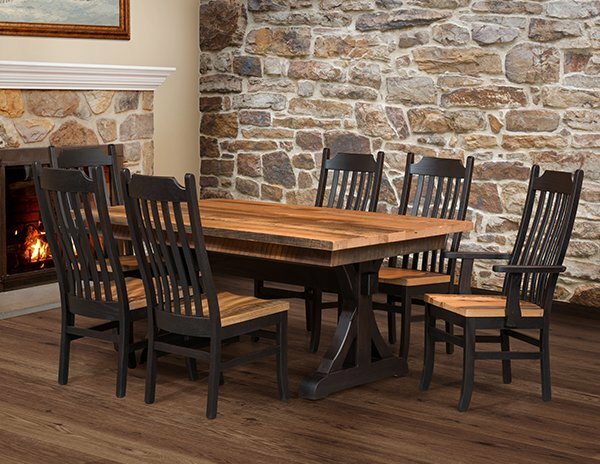 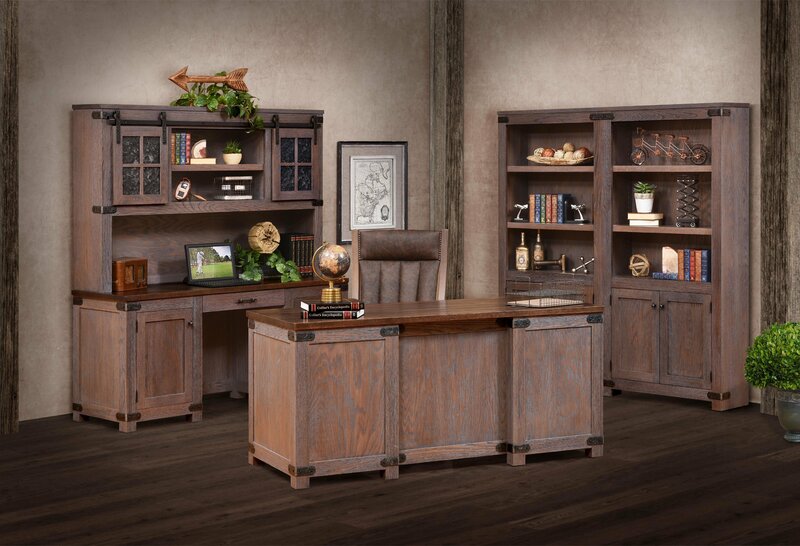 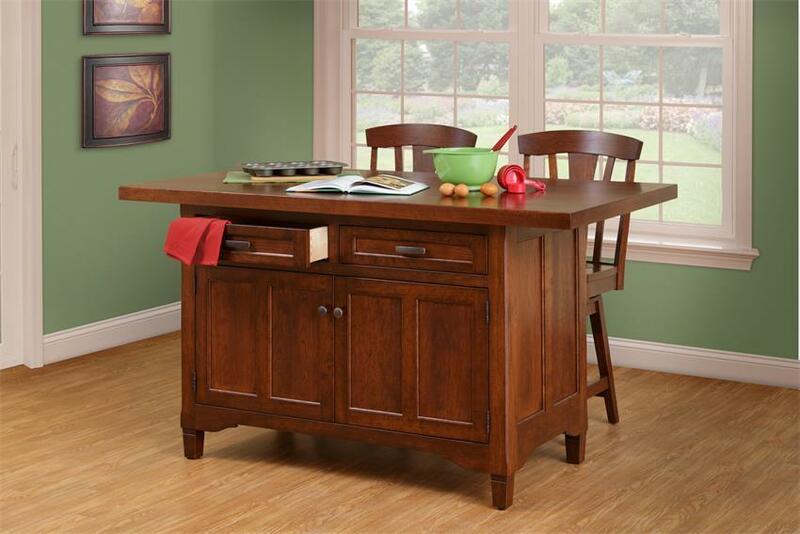 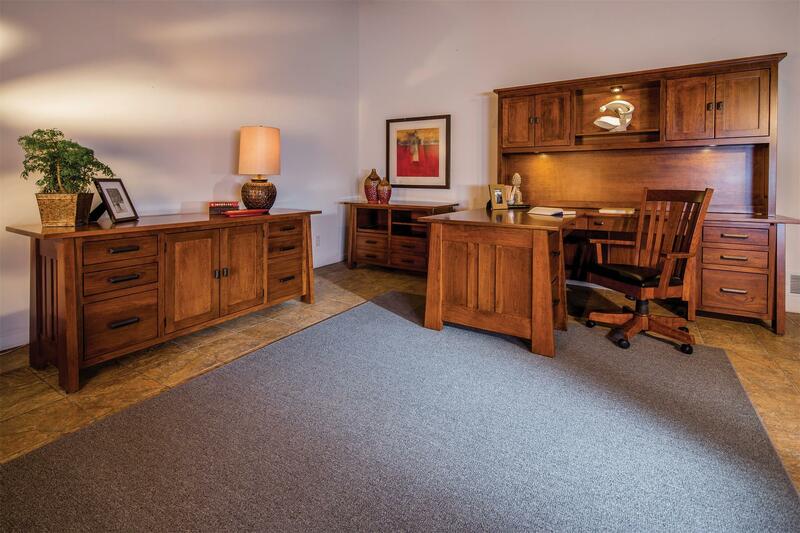 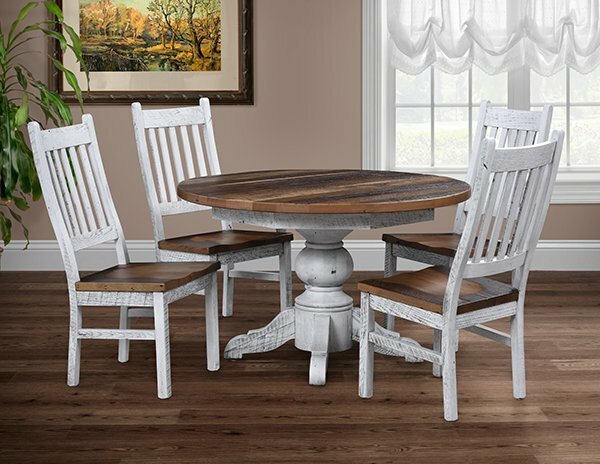 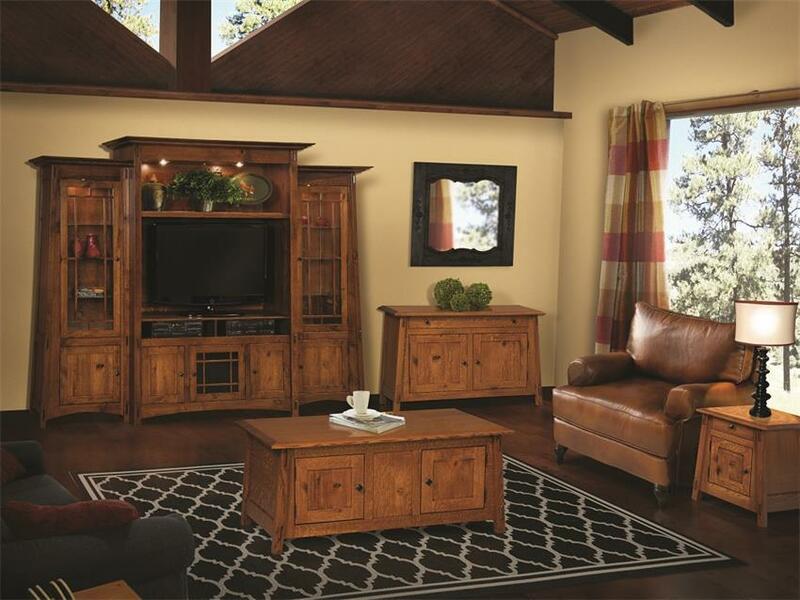 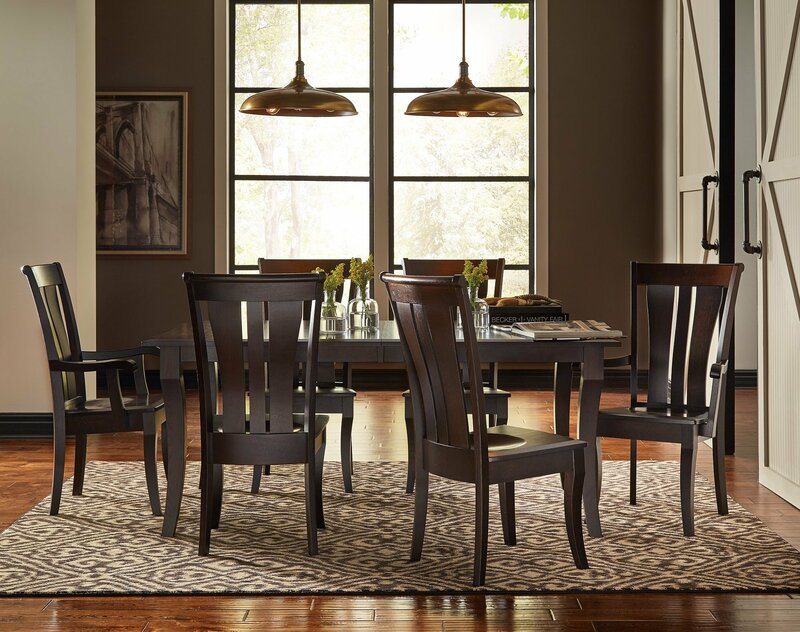 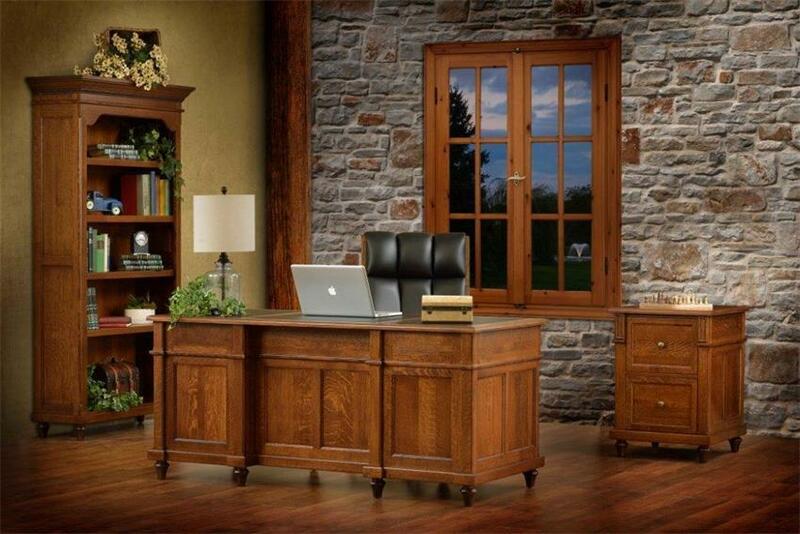 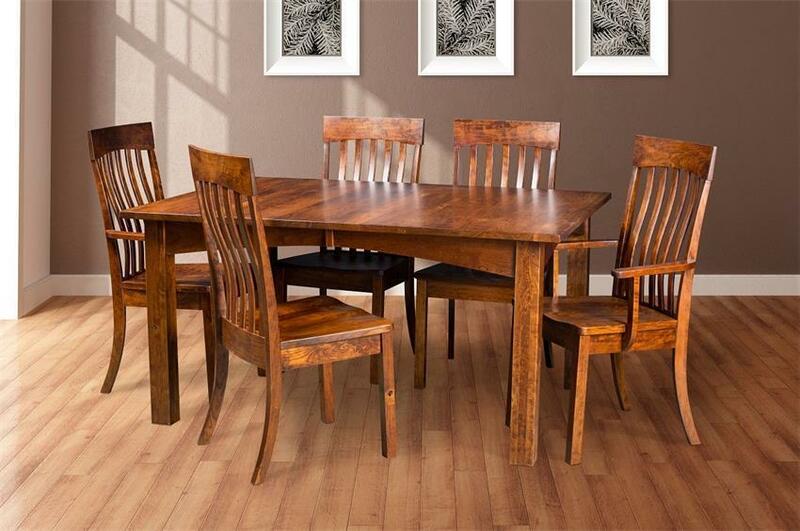 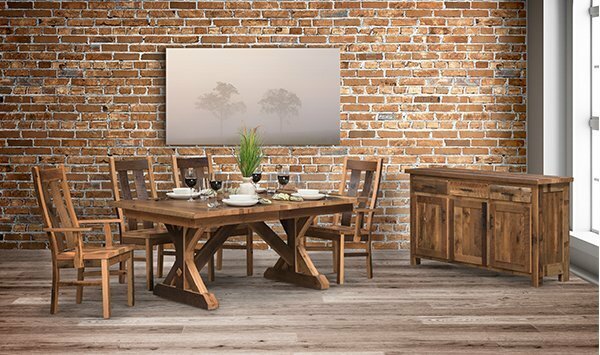 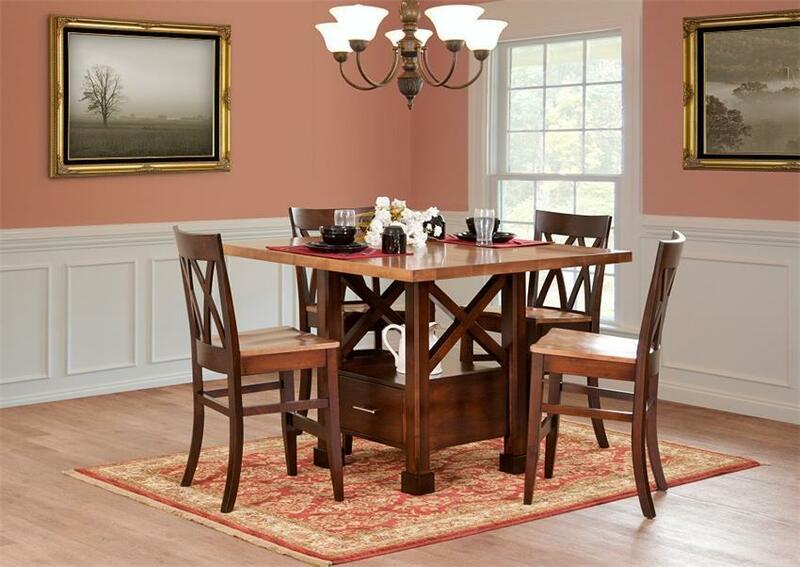 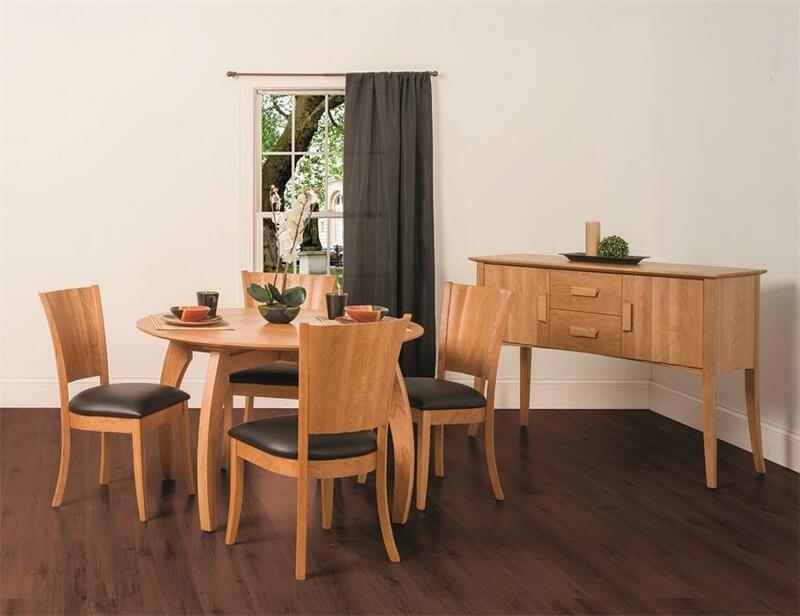 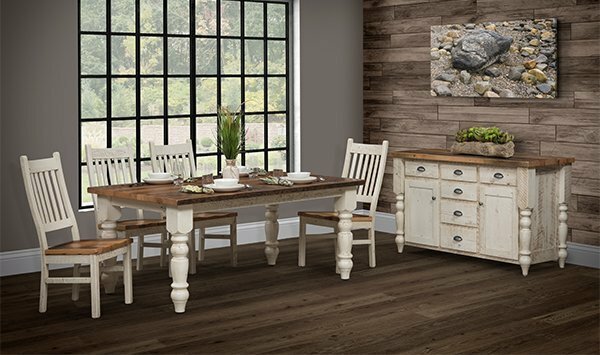 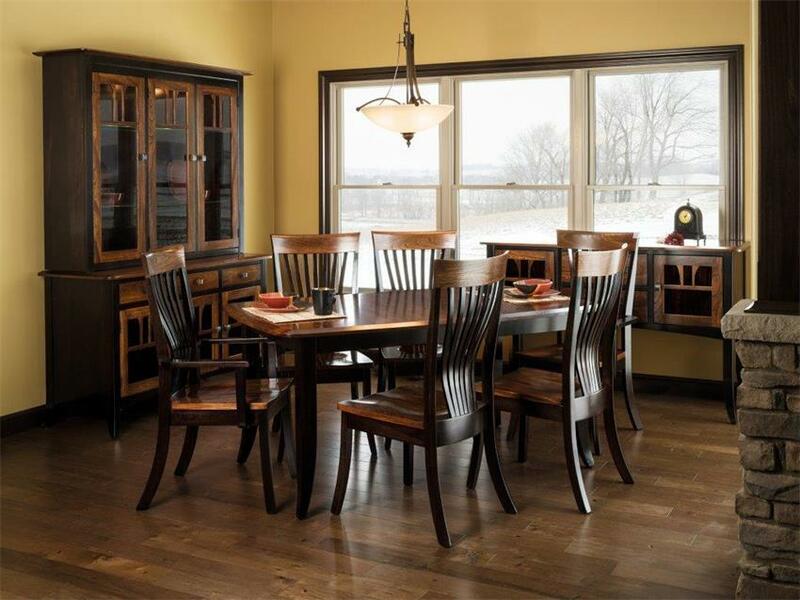 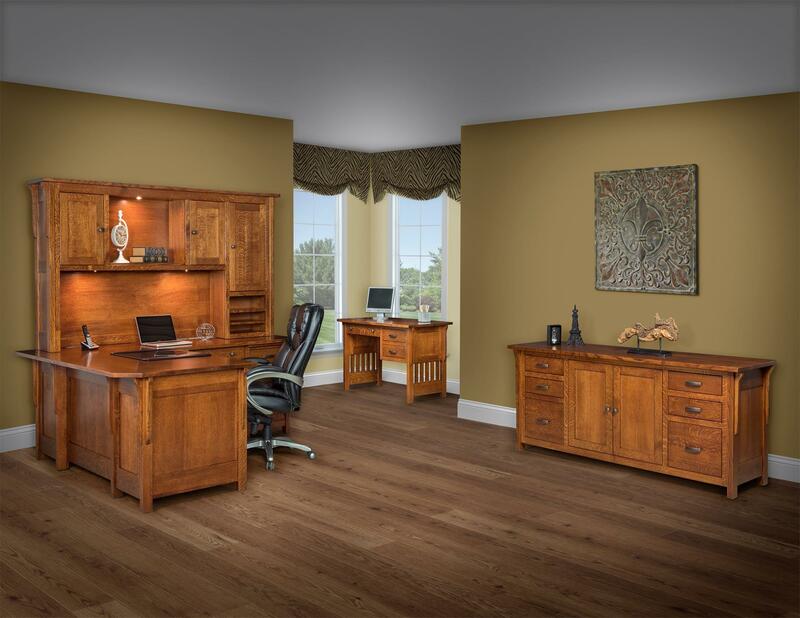 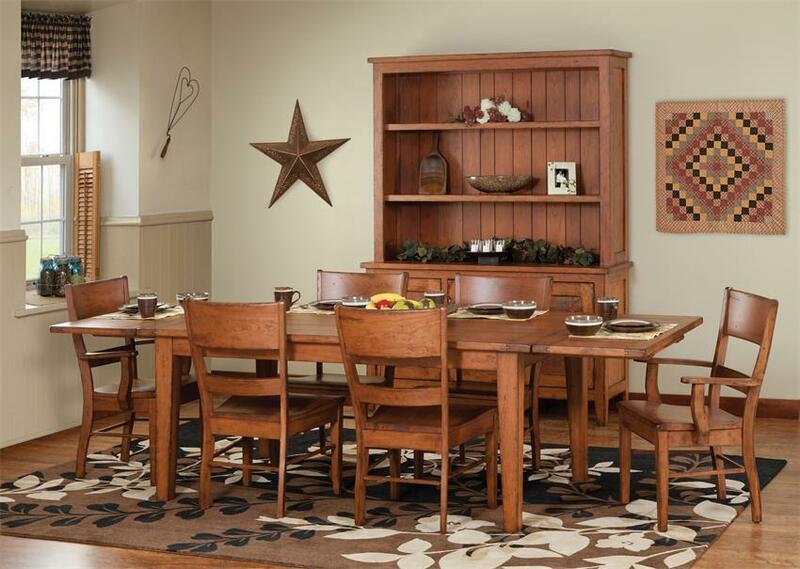 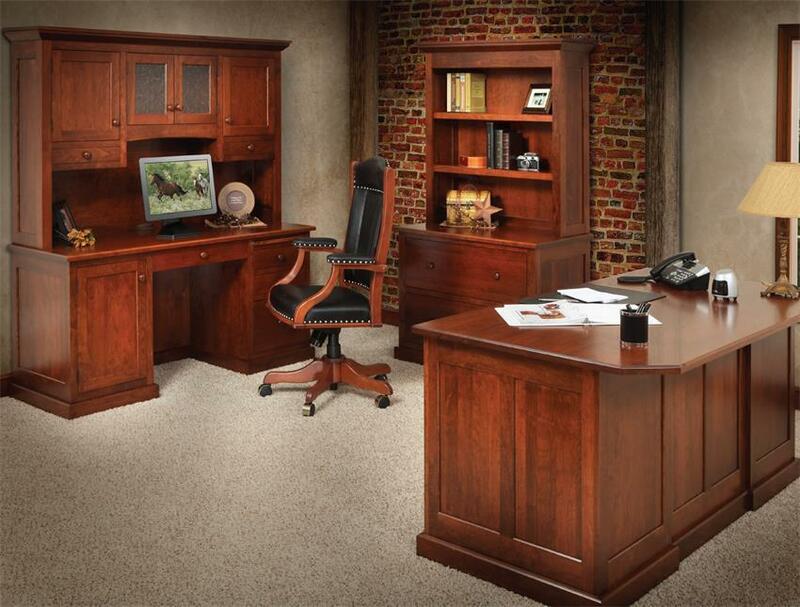 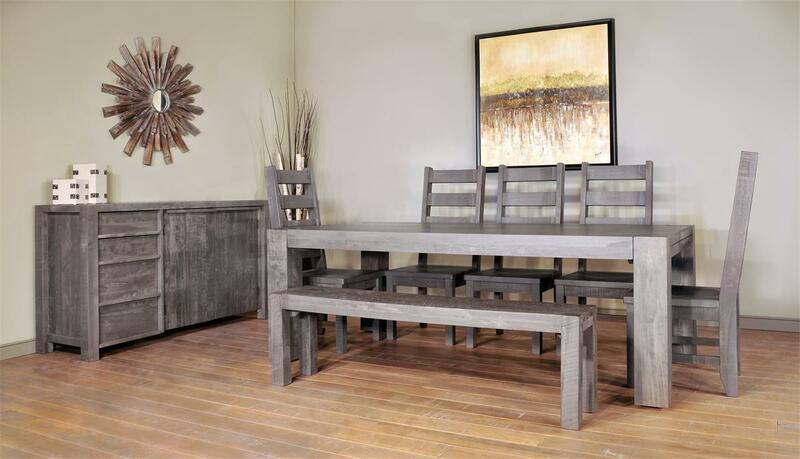 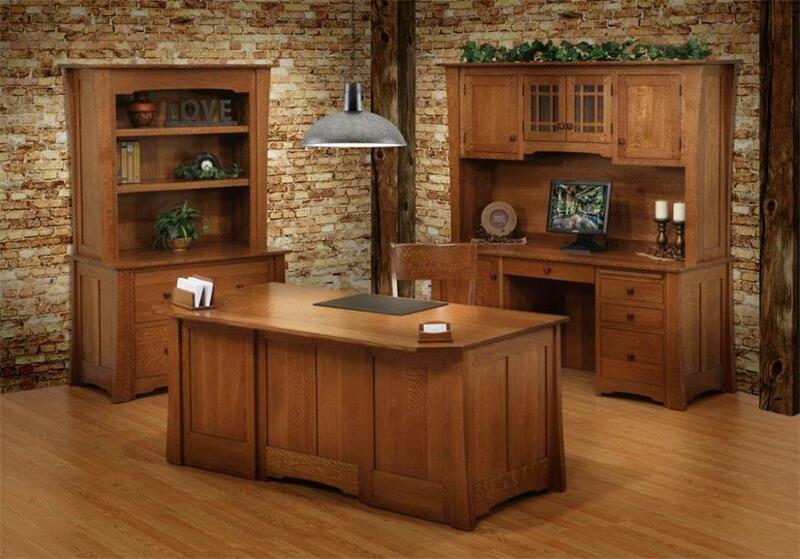 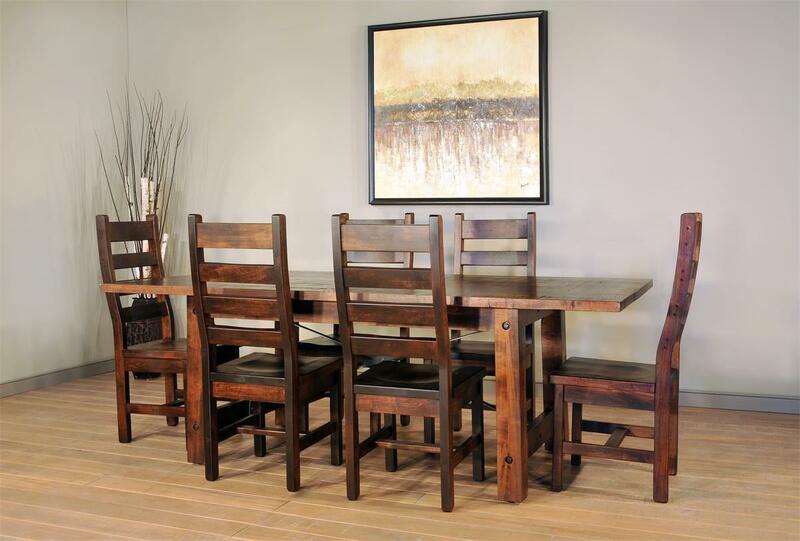 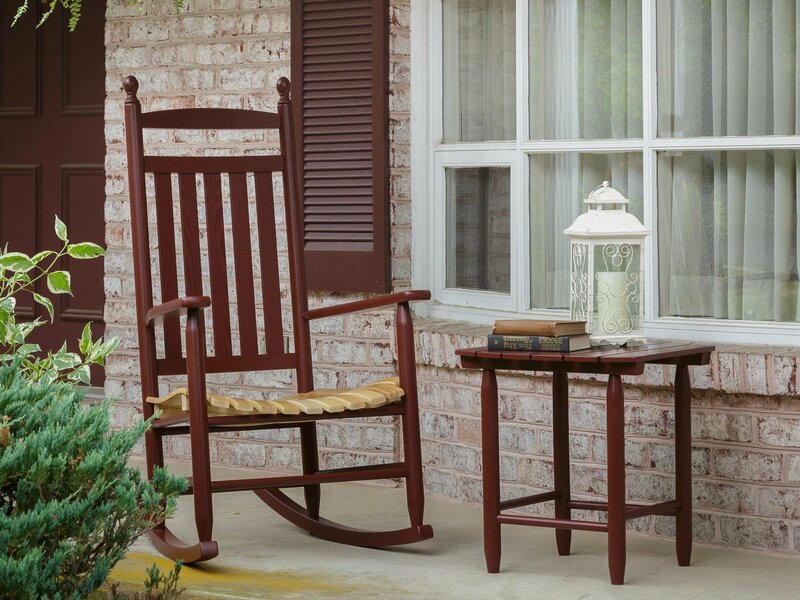 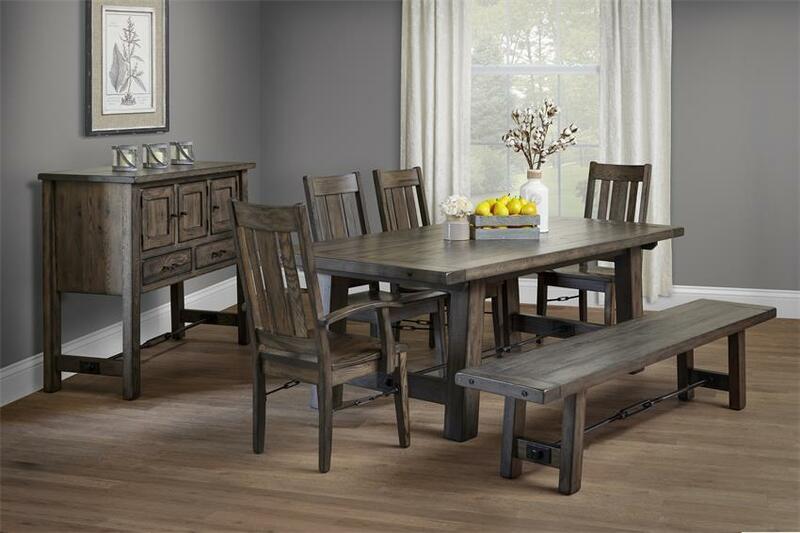 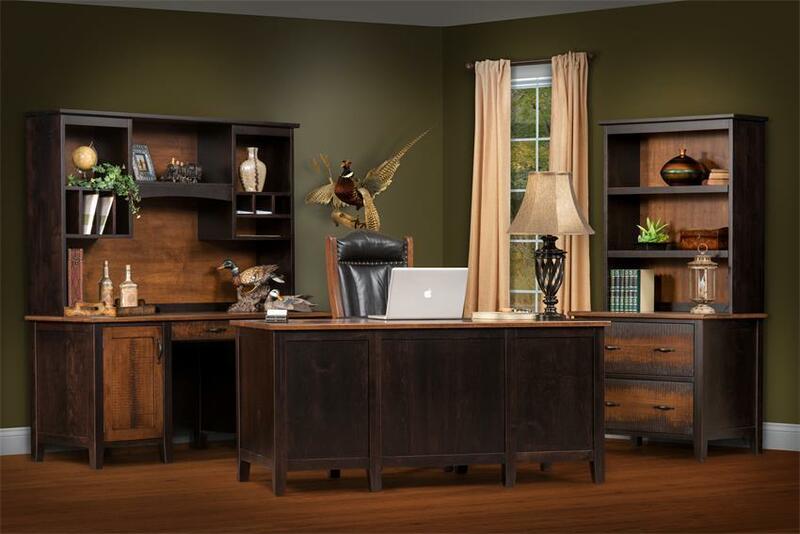 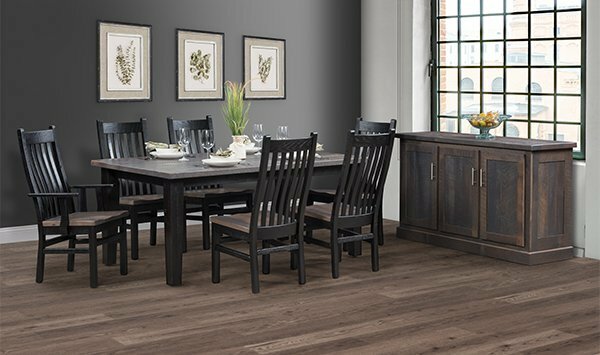 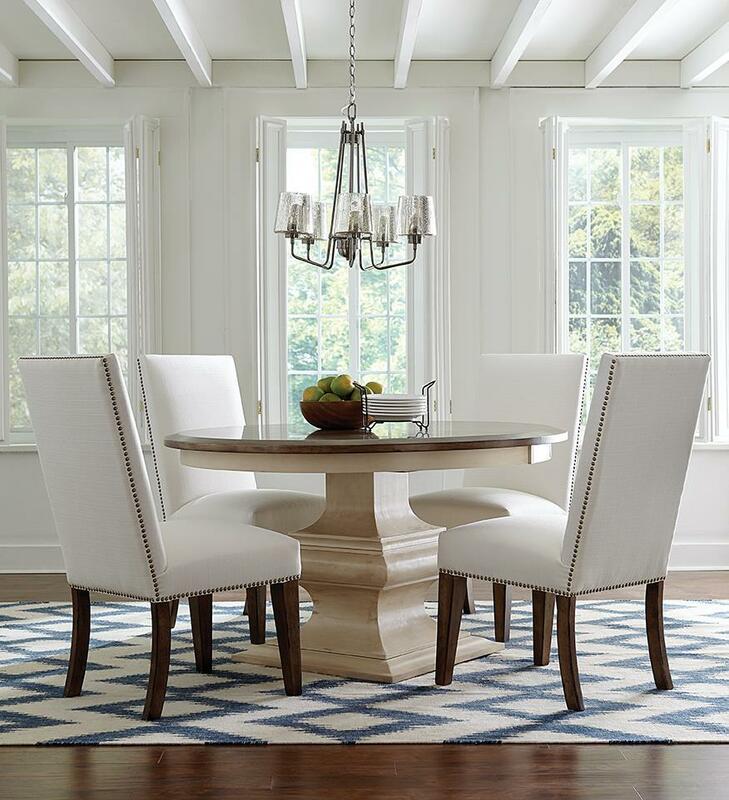 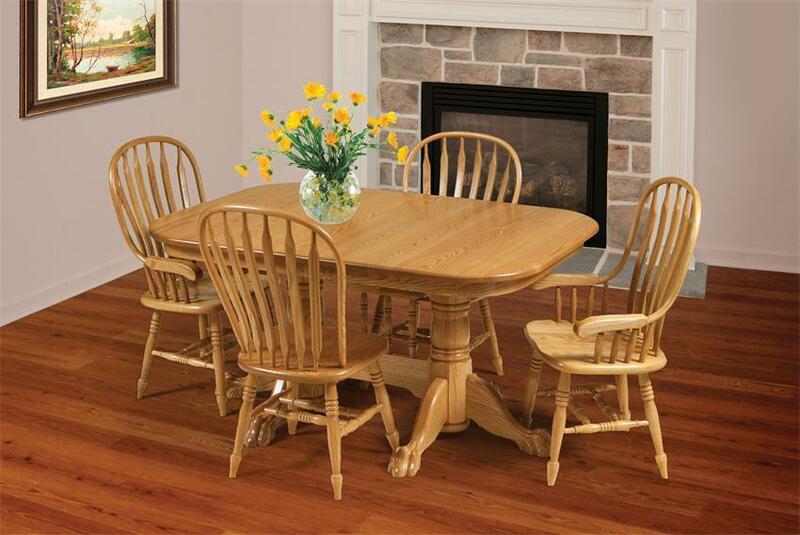 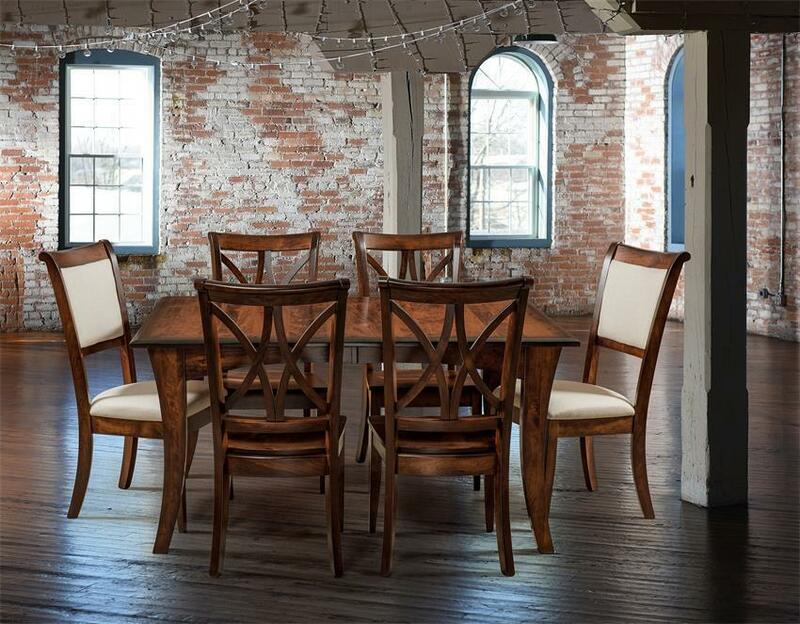 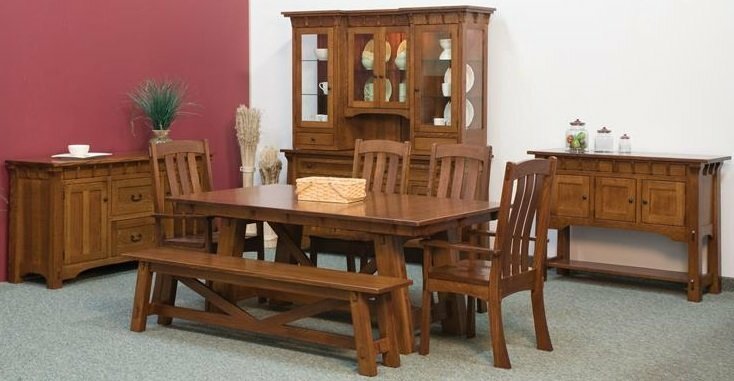 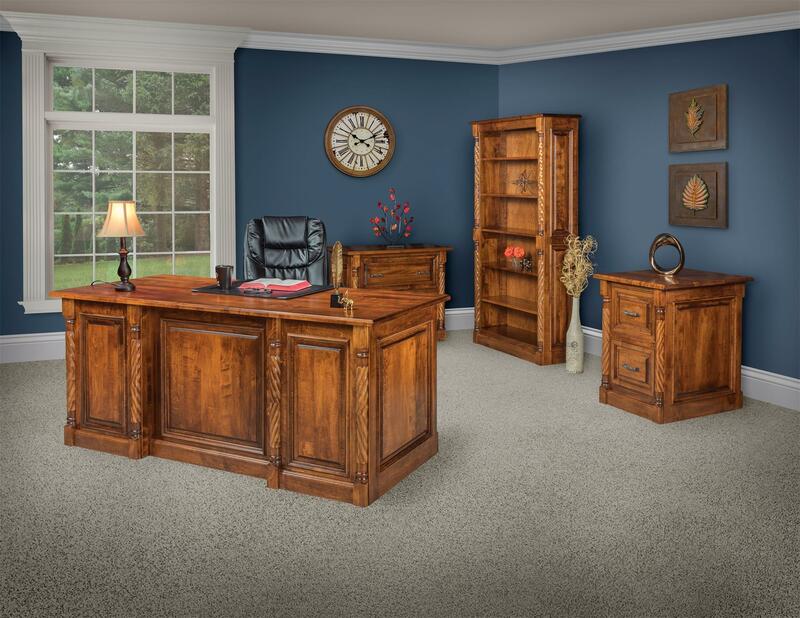 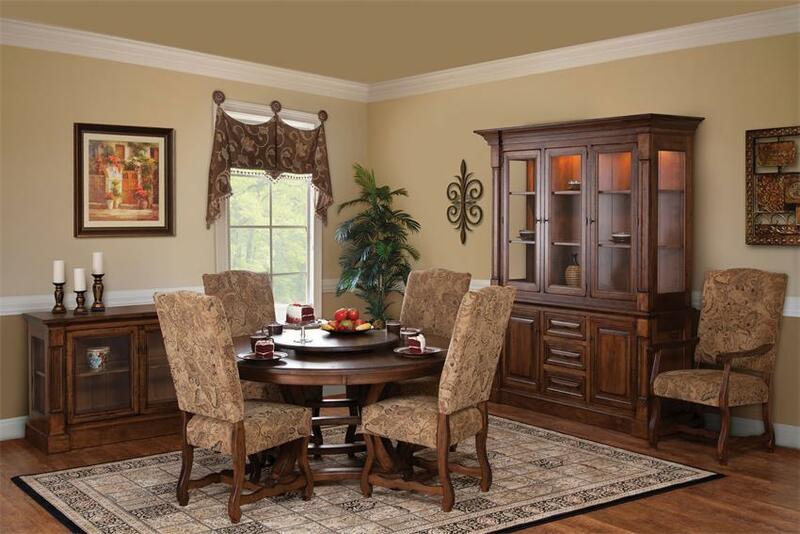 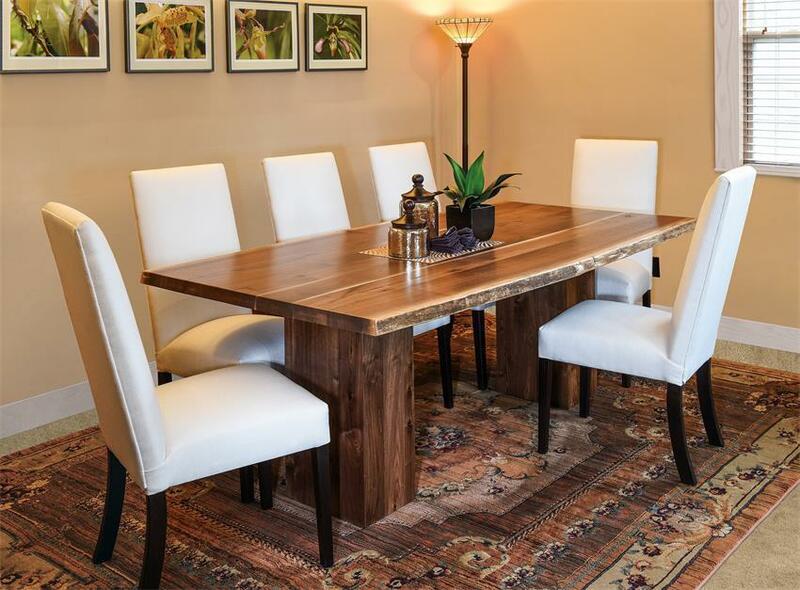 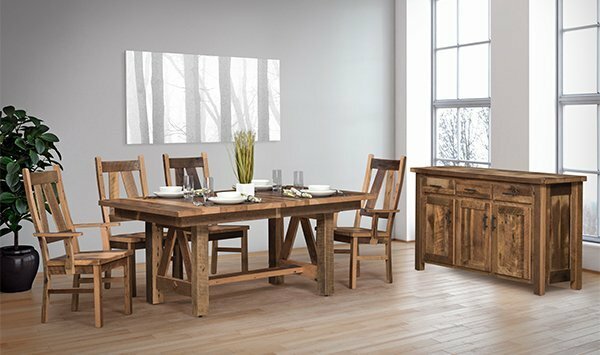 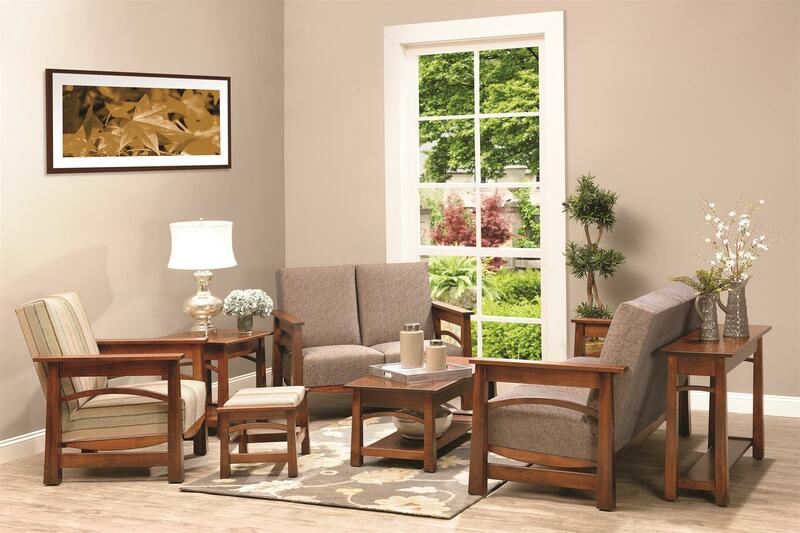 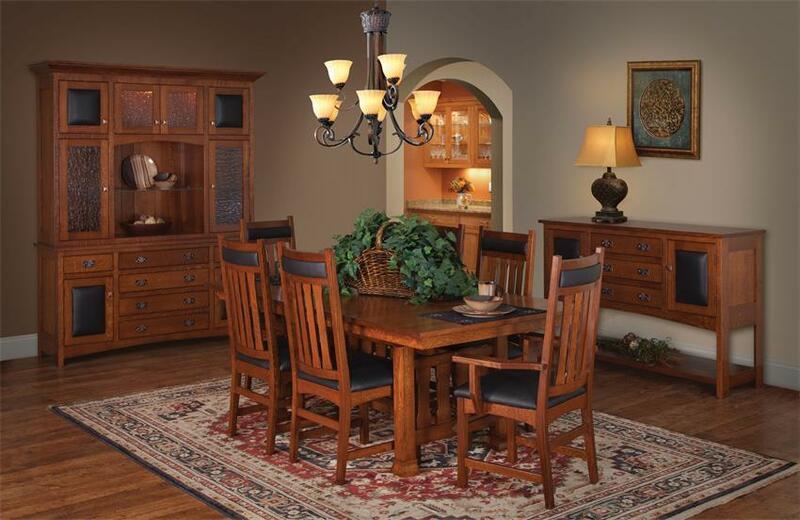 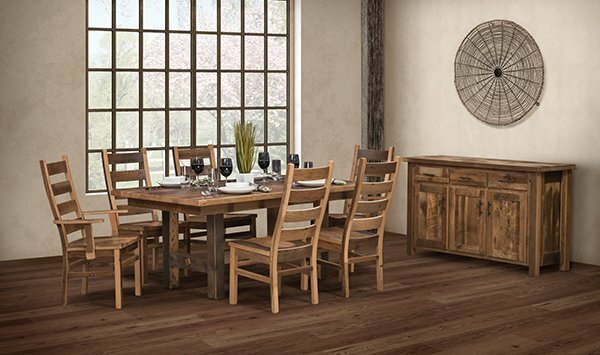 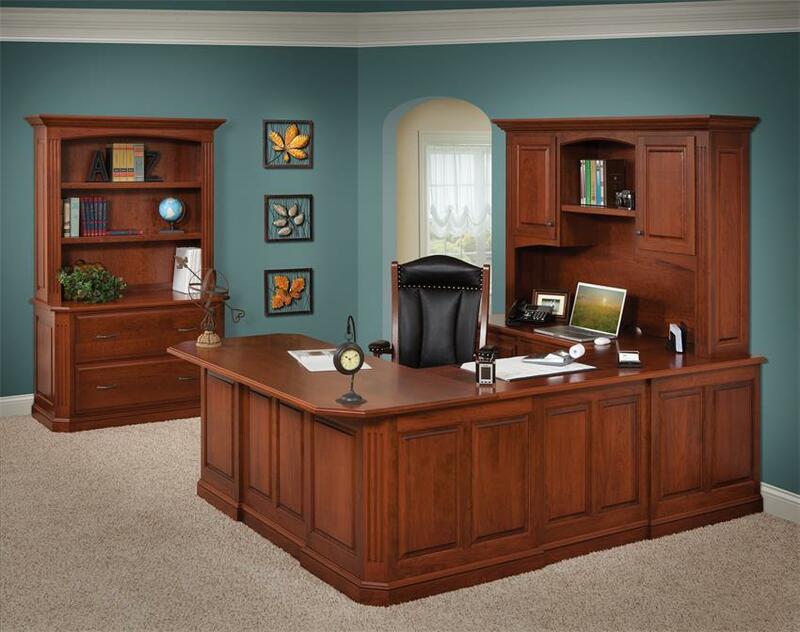 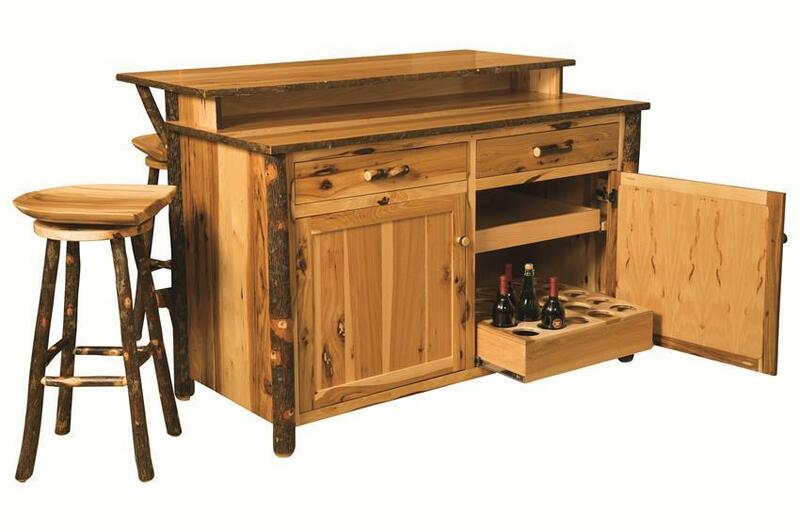 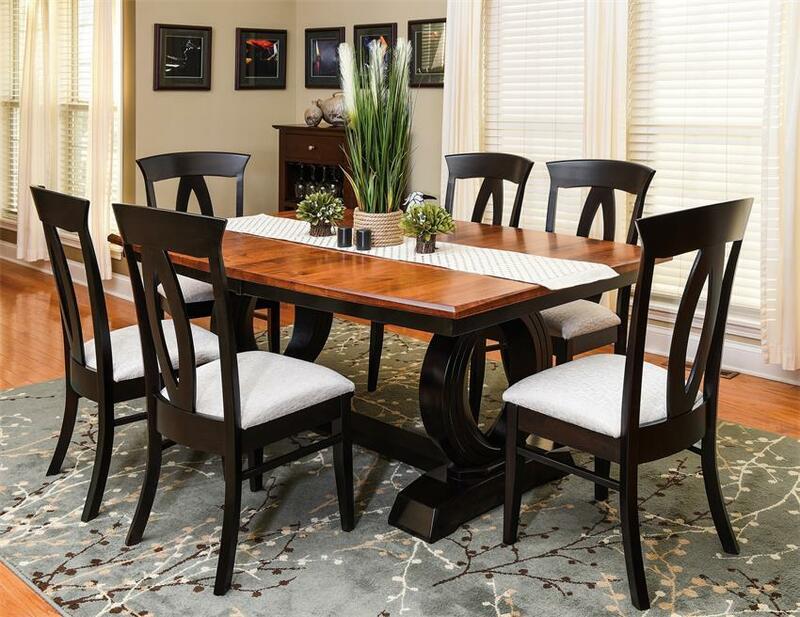 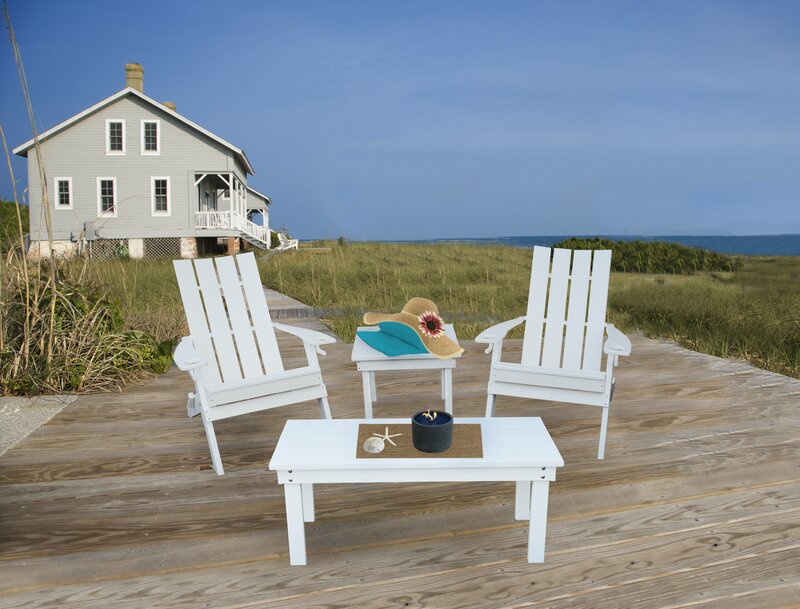 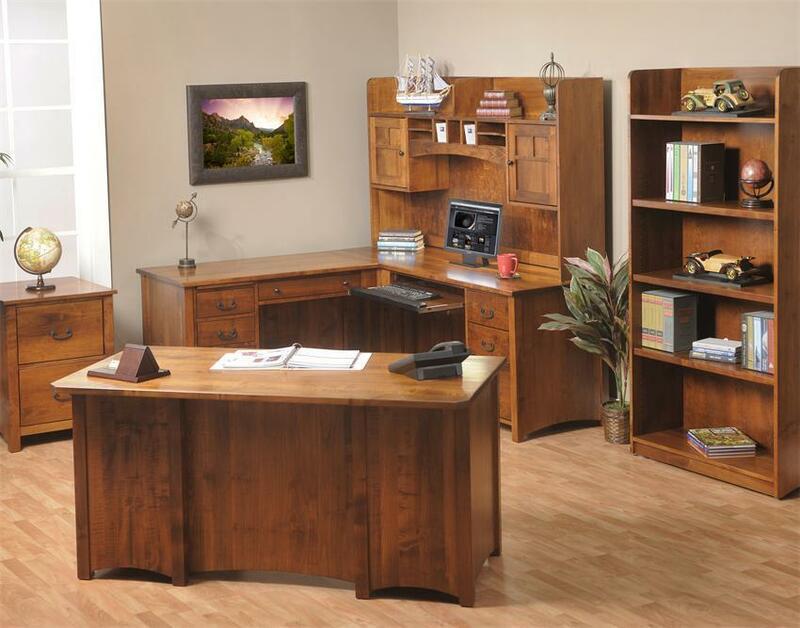 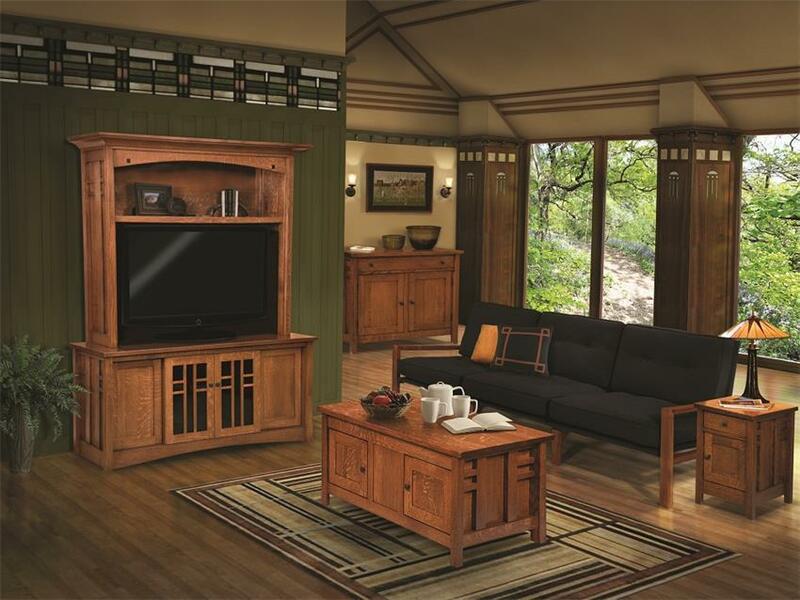 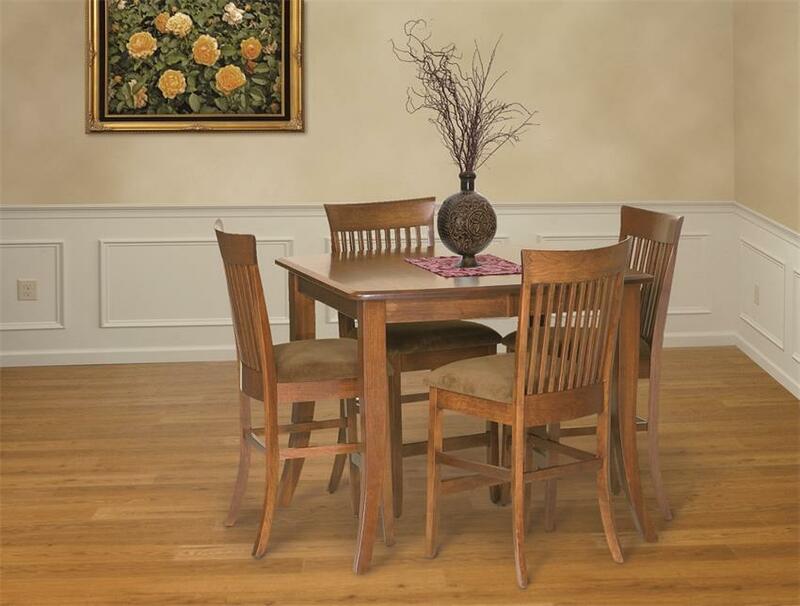 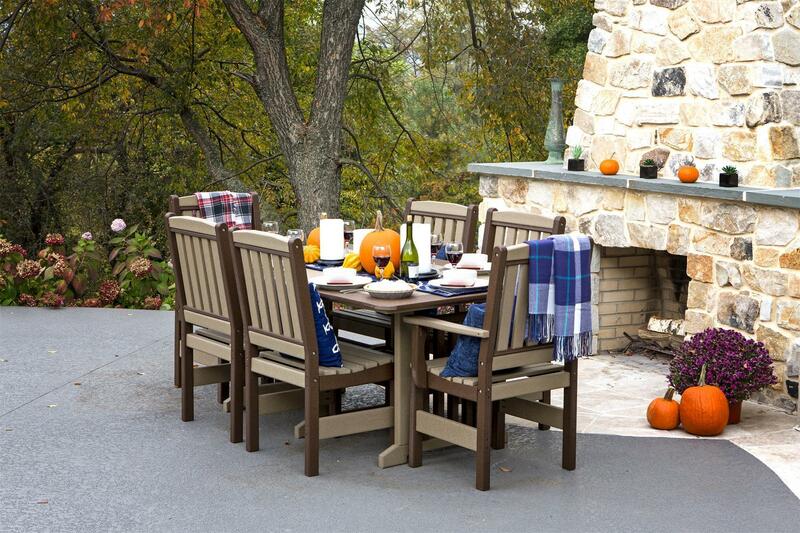 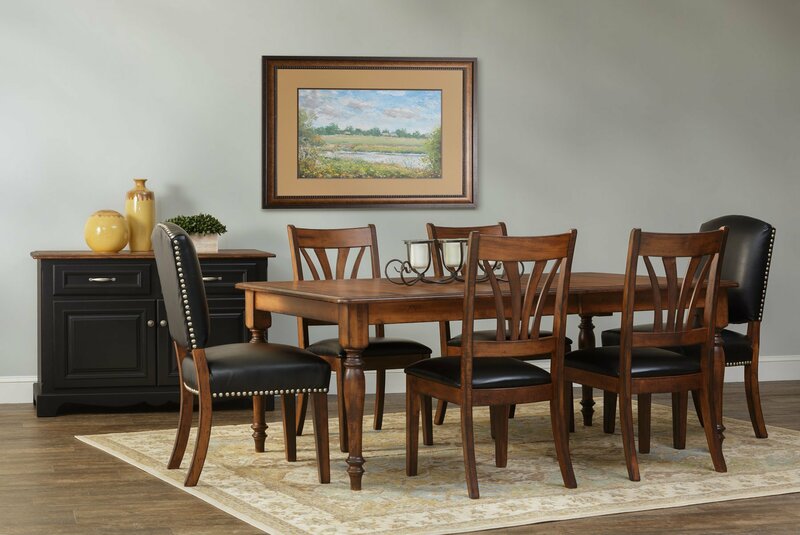 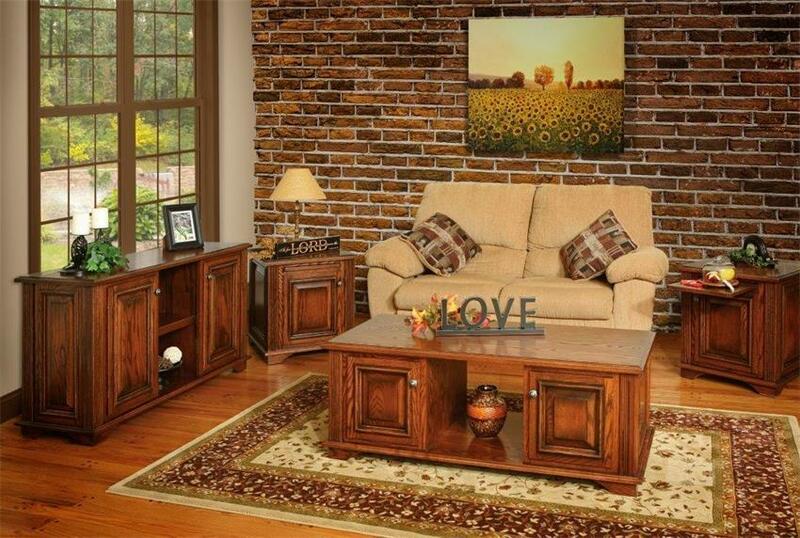 Handcrafted from beautiful Sap Cherry wood and finished with a rich Boston stain, our classic French Luxembourg Set is sure to make a statement. 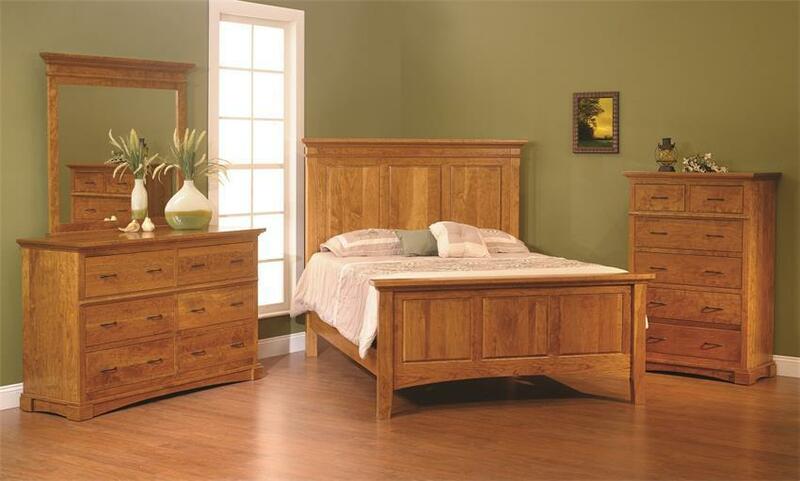 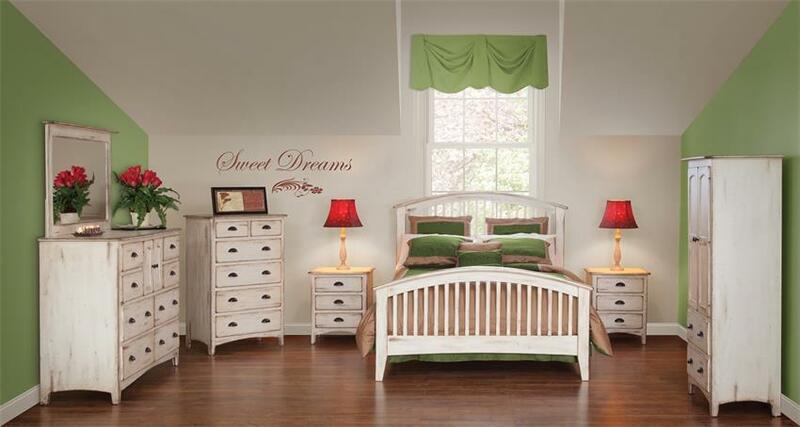 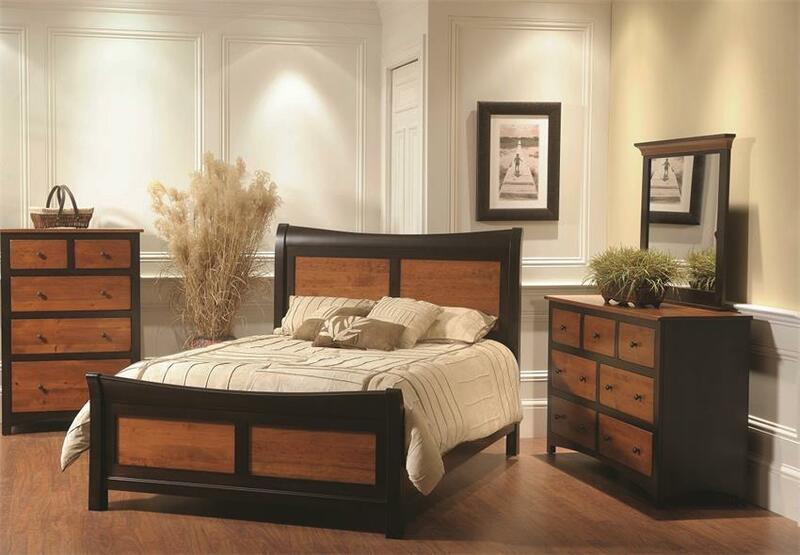 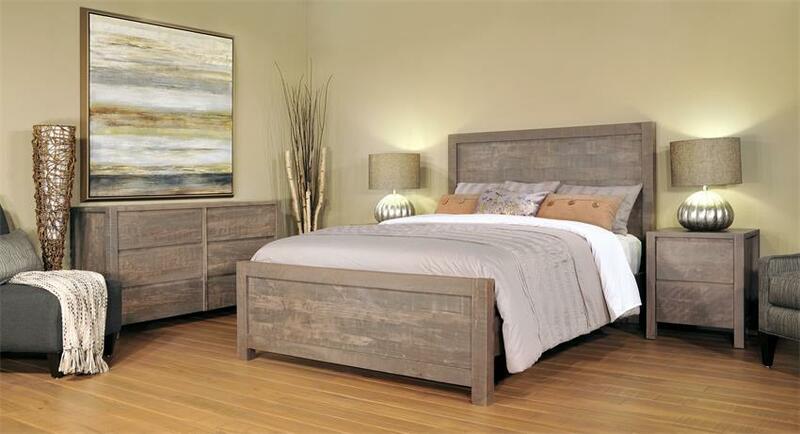 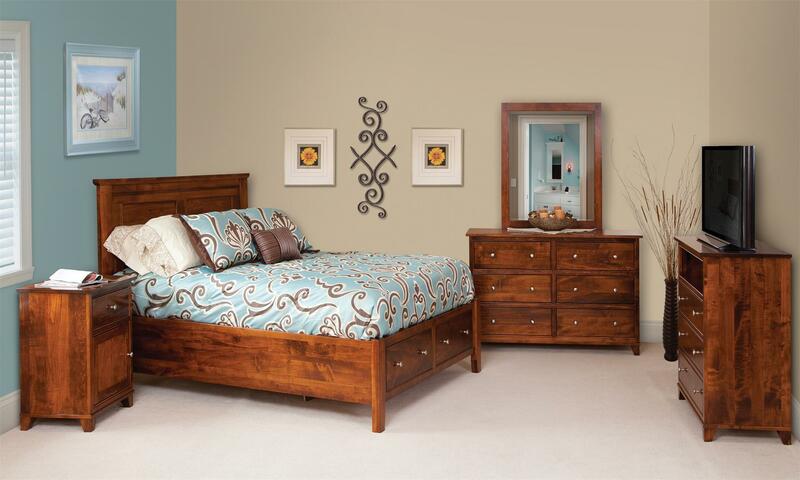 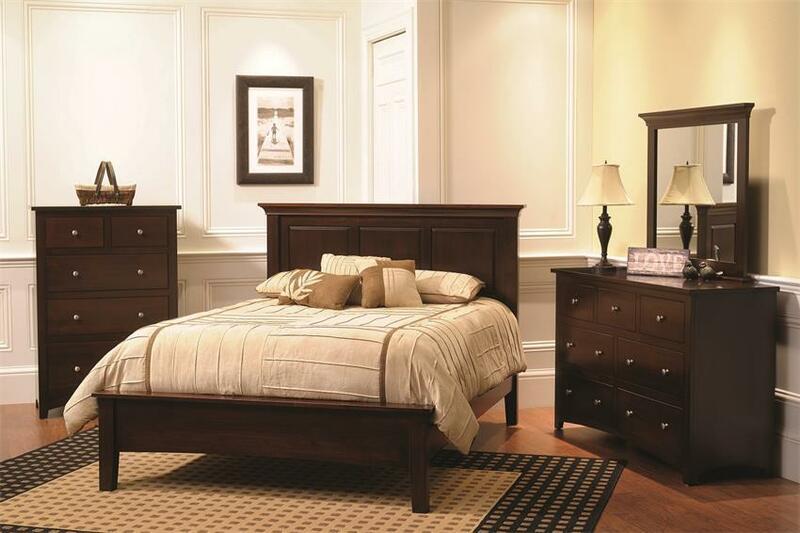 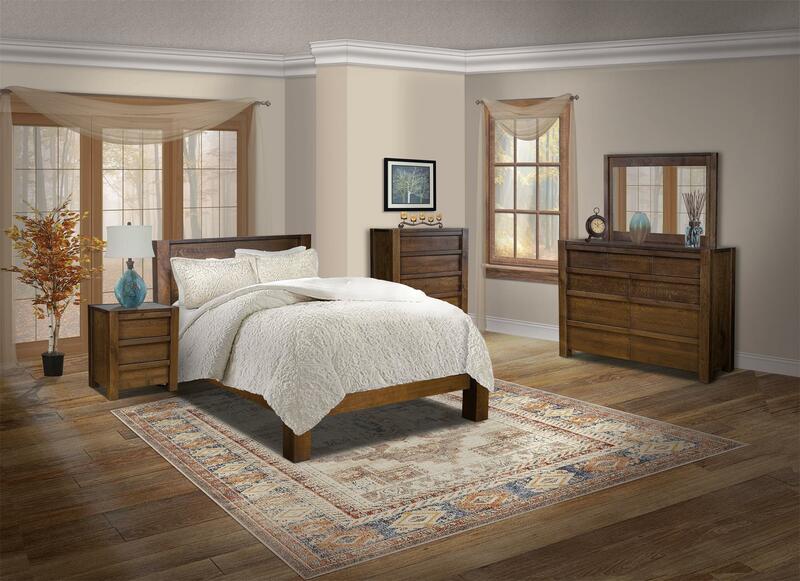 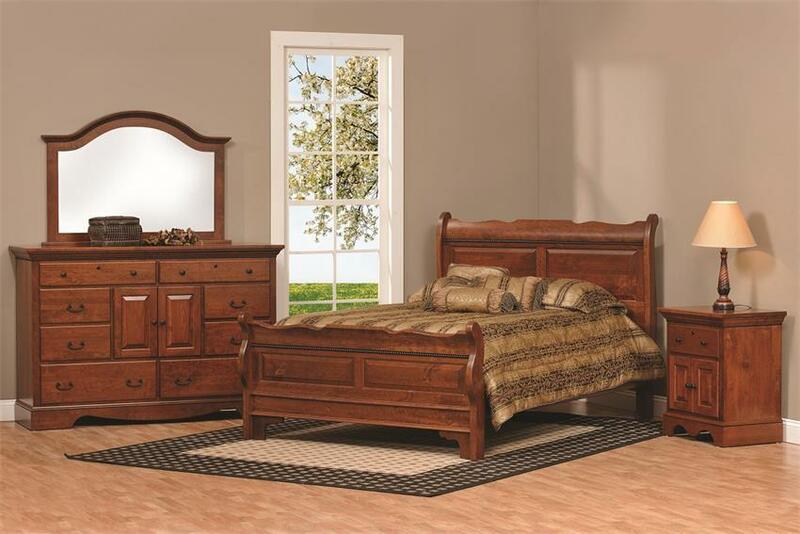 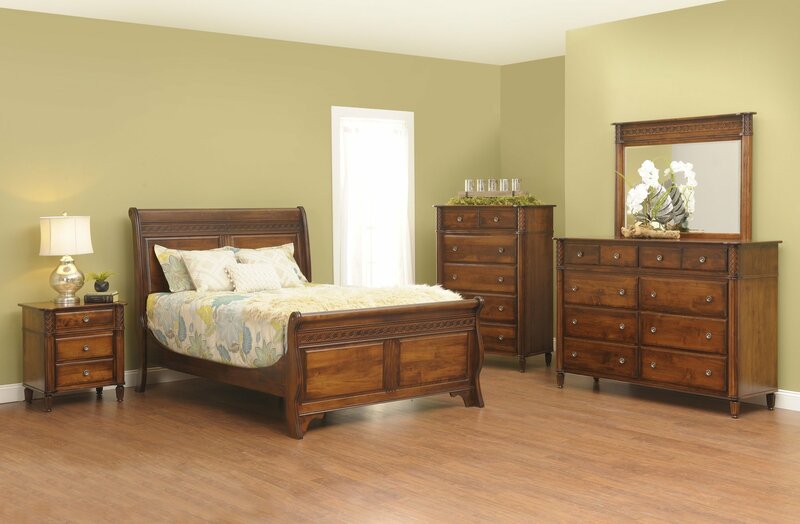 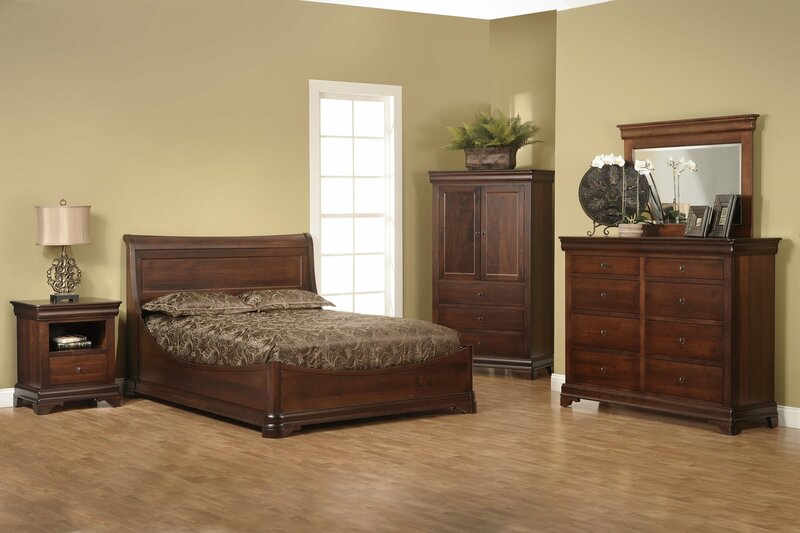 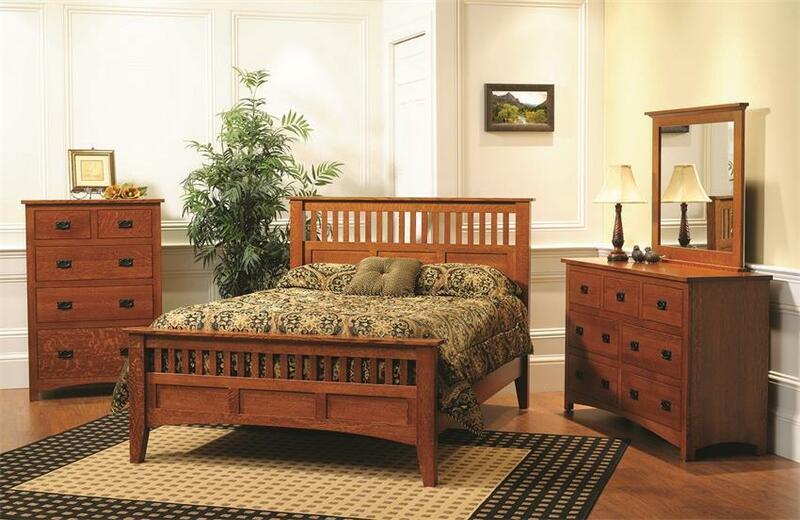 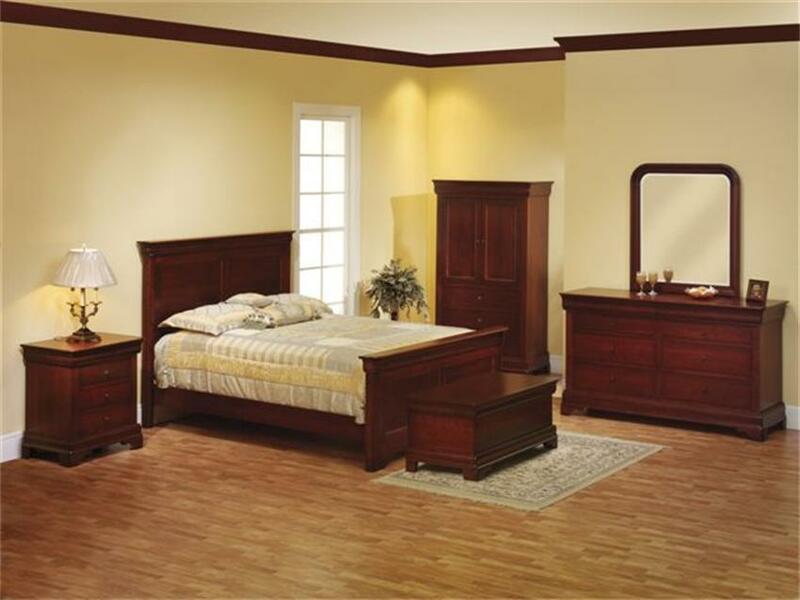 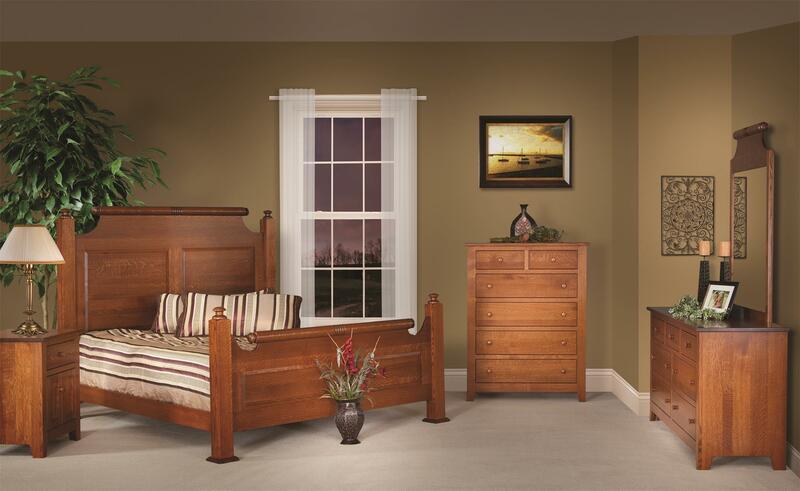 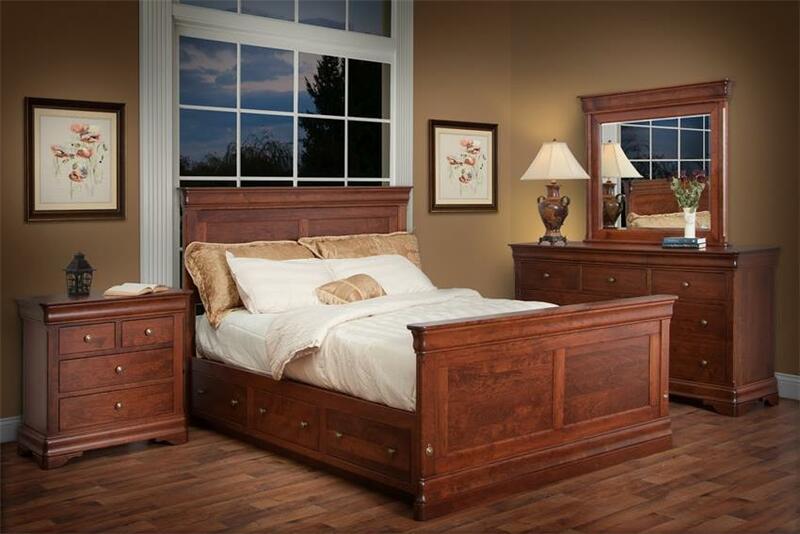 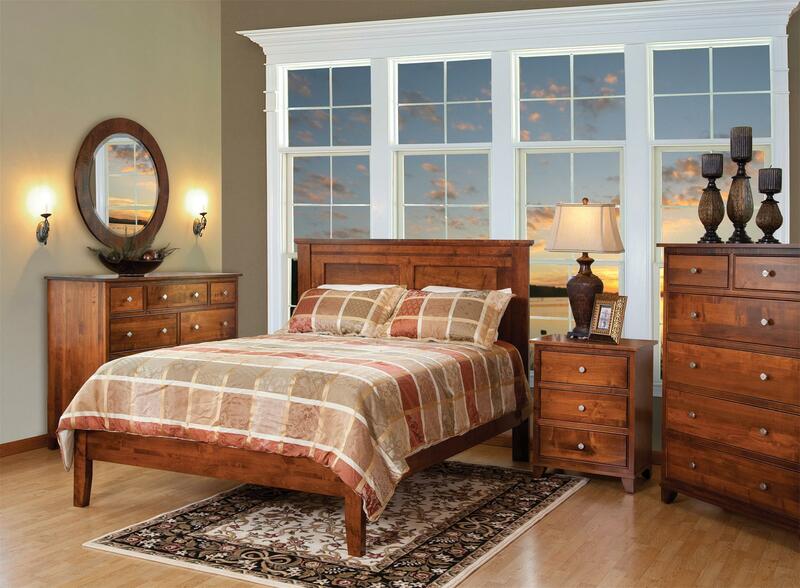 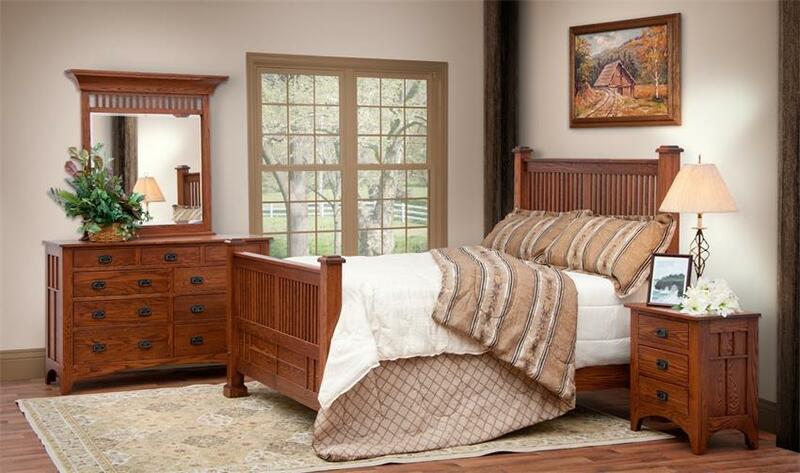 Crafted from solid hardwood, our elegant Two-Tone Hampton Suite will make a statement in any bedroom. 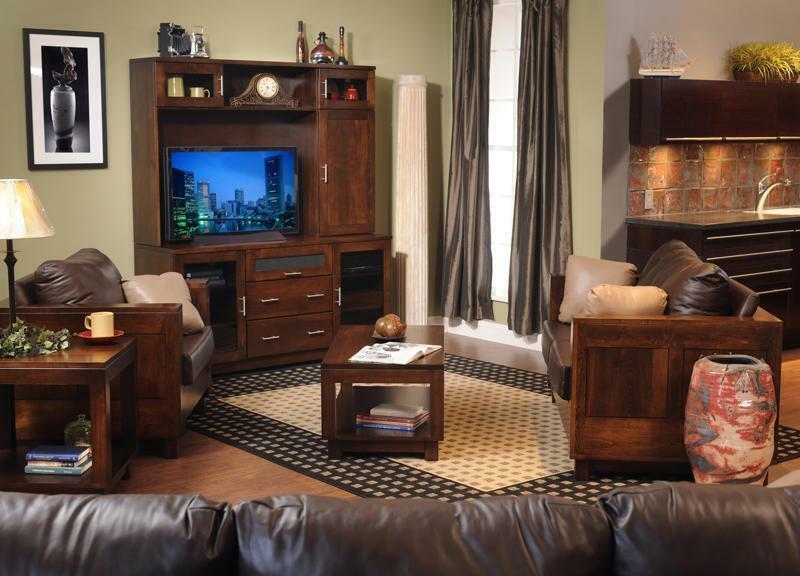 Choose from a variety of storage options to fit your unique needs. 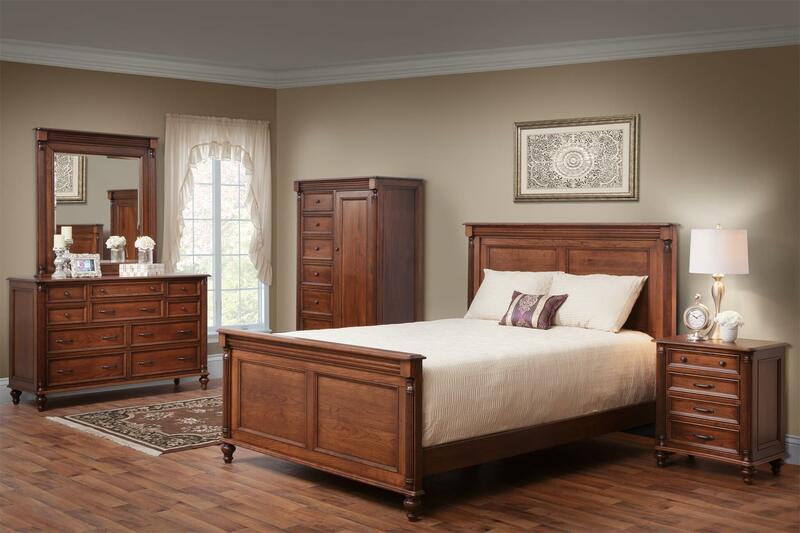 A cozy collection to make any suite special, our warm Brown Maple and Rich Tobacco stained bed, nightstand, mirror, and chest provide a simple combination that will work with any decor. 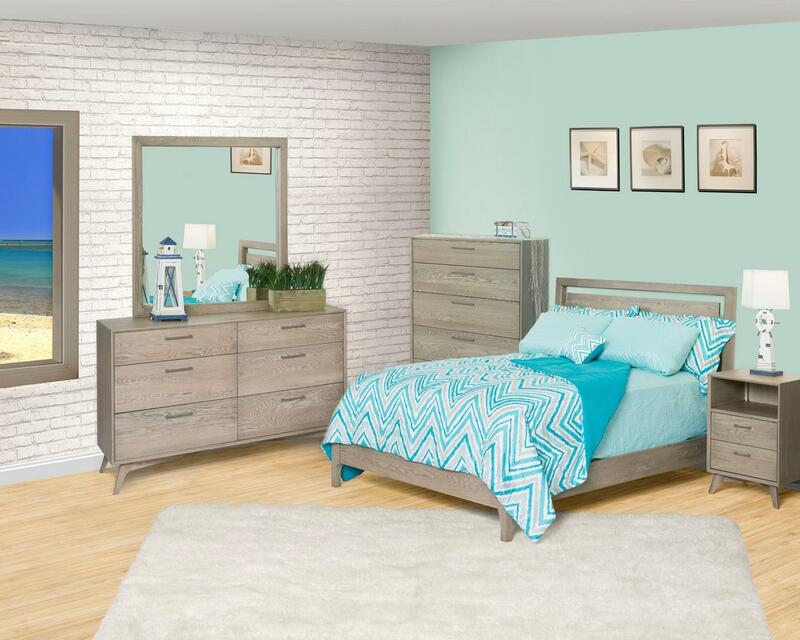 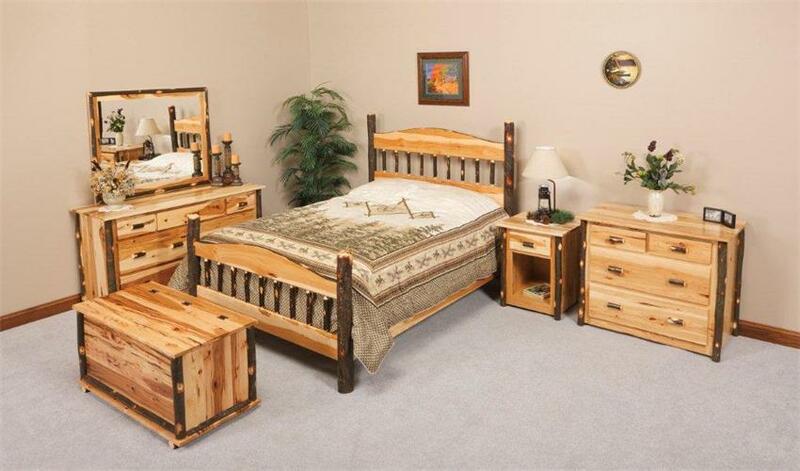 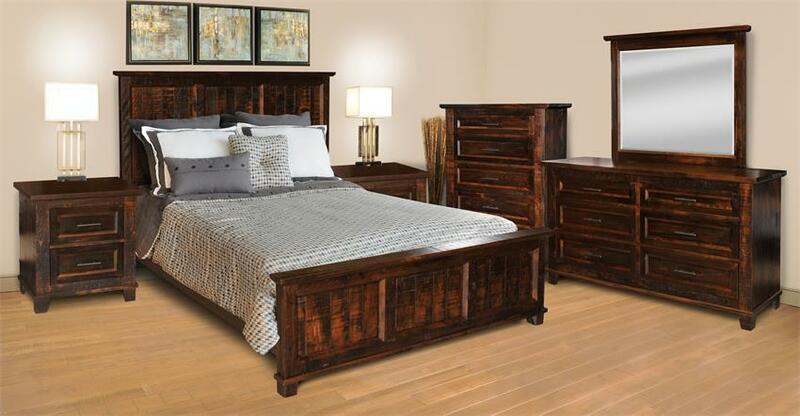 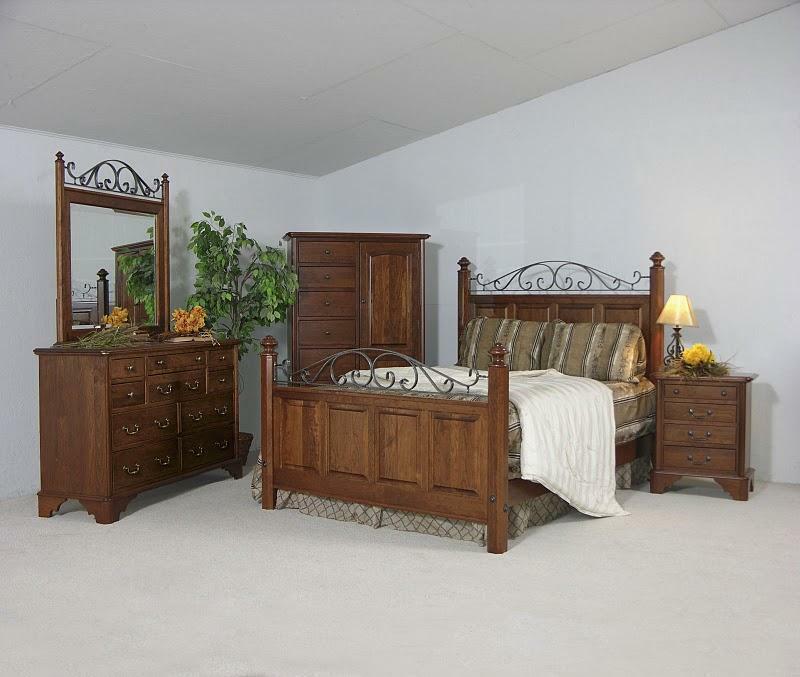 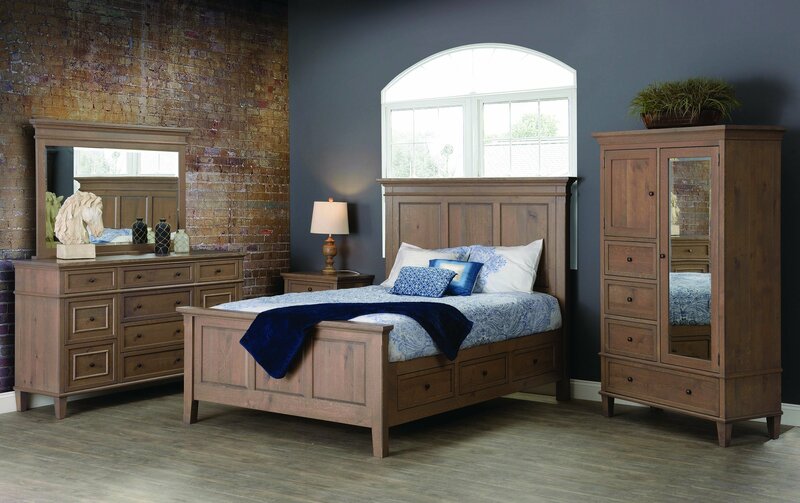 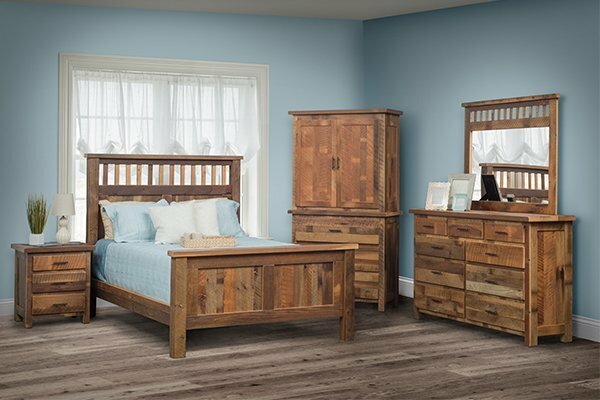 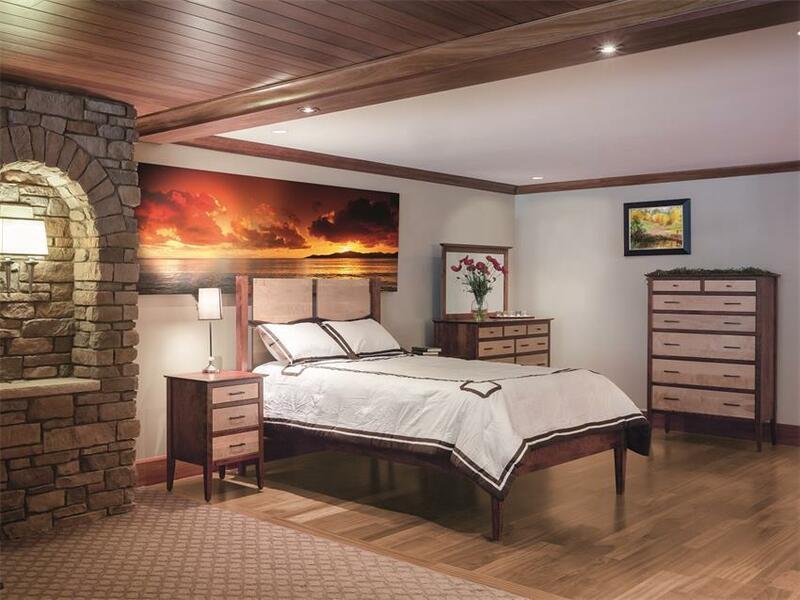 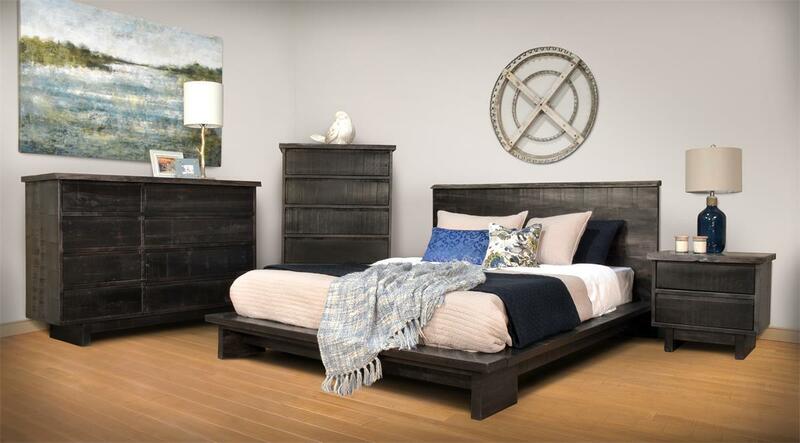 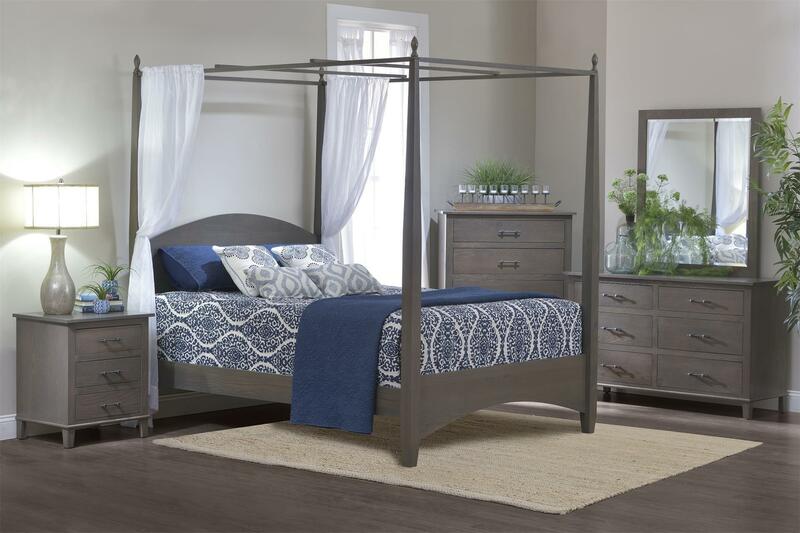 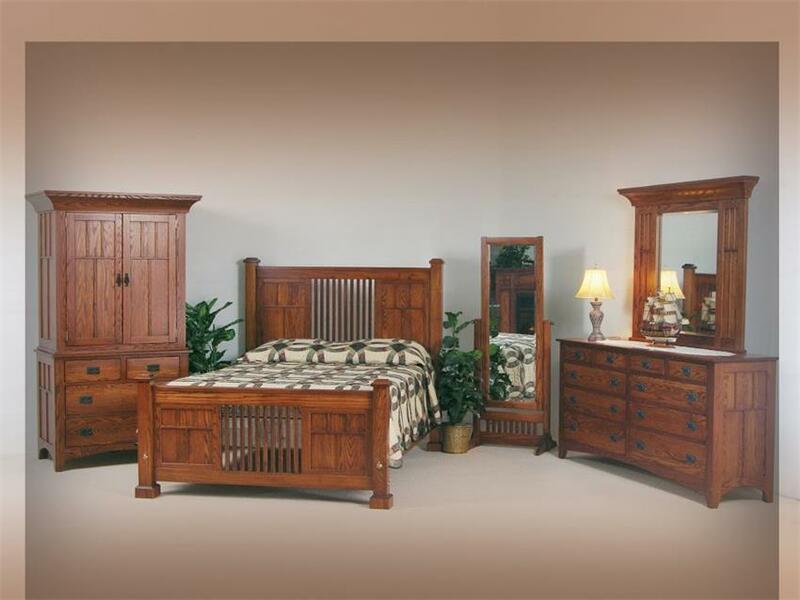 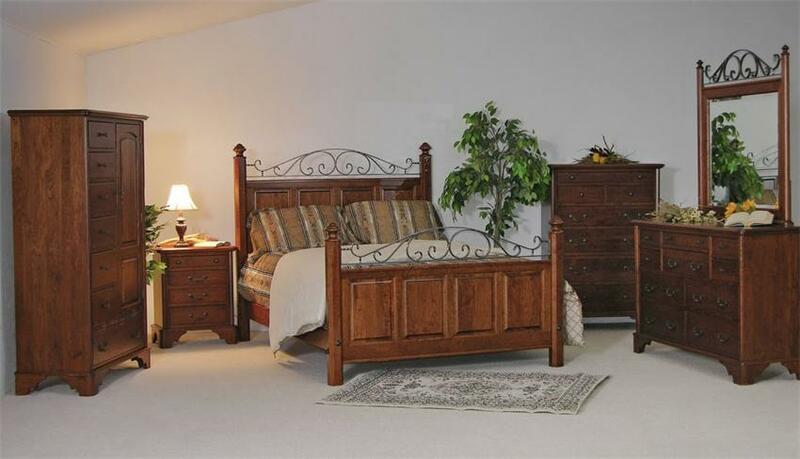 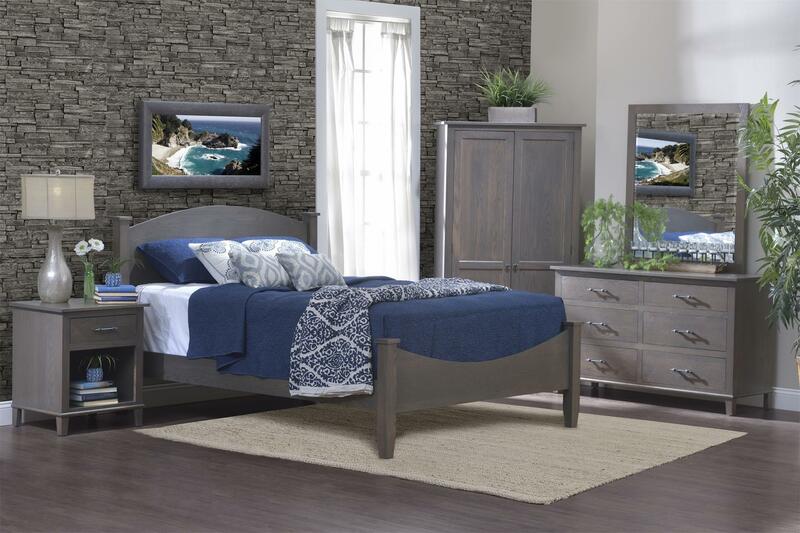 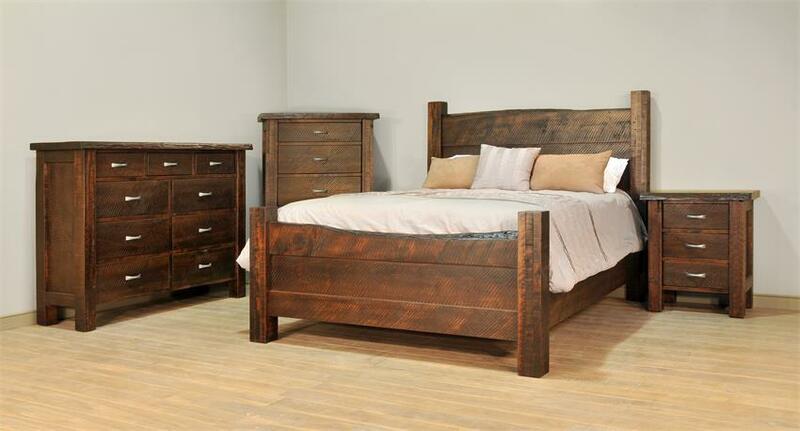 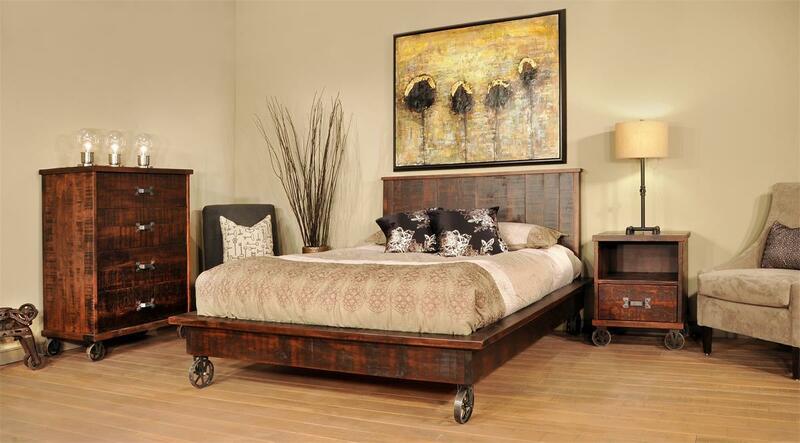 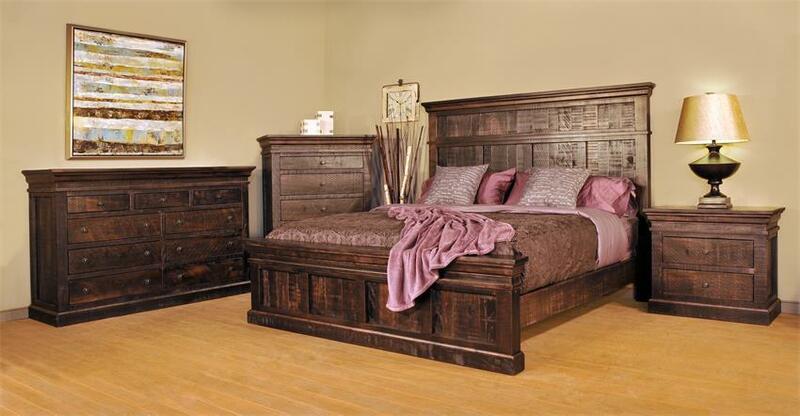 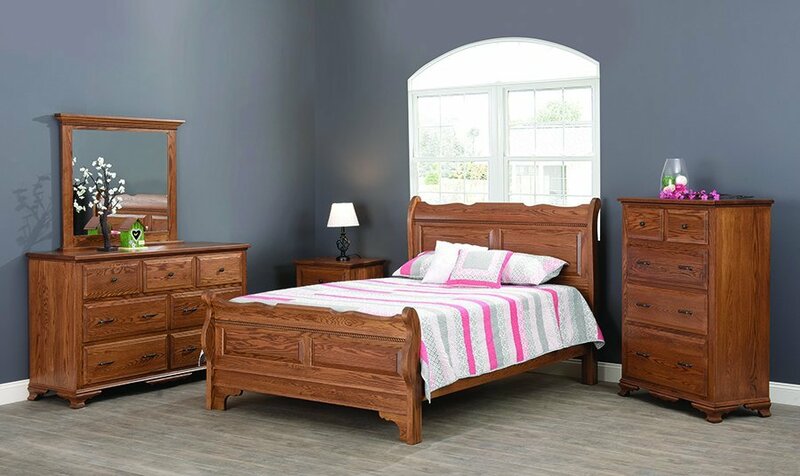 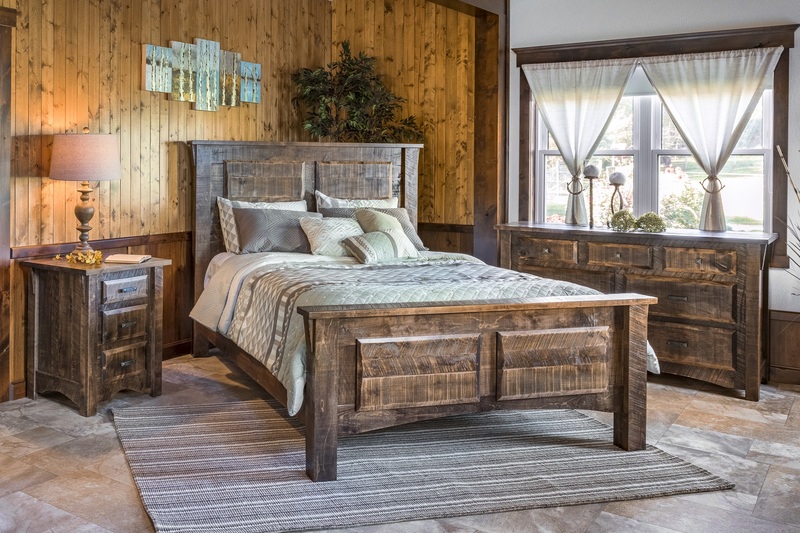 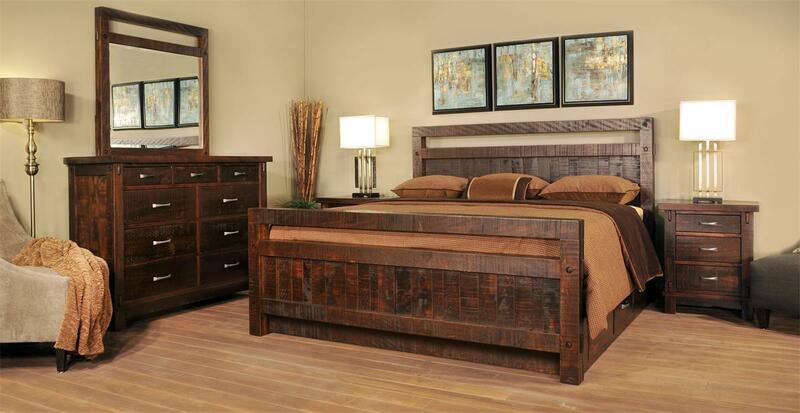 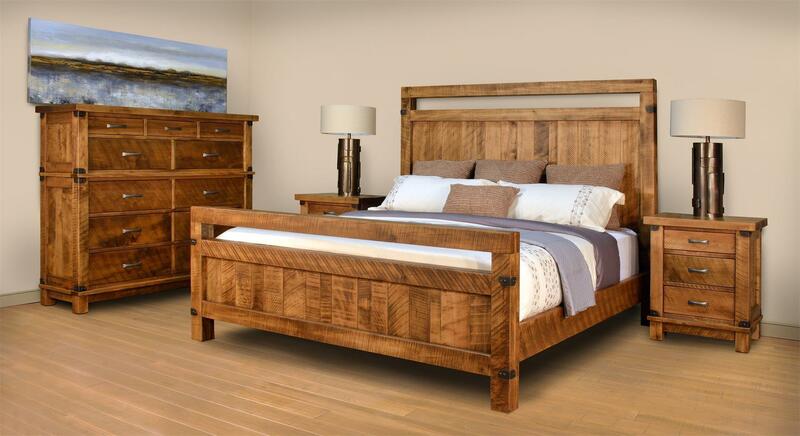 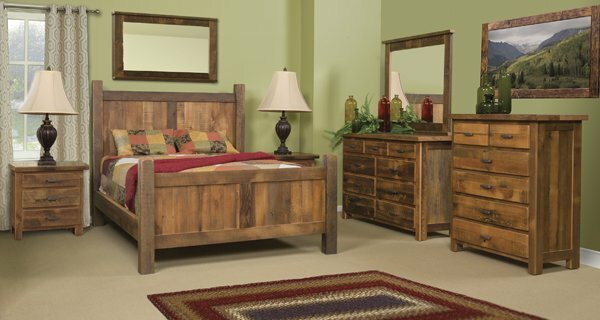 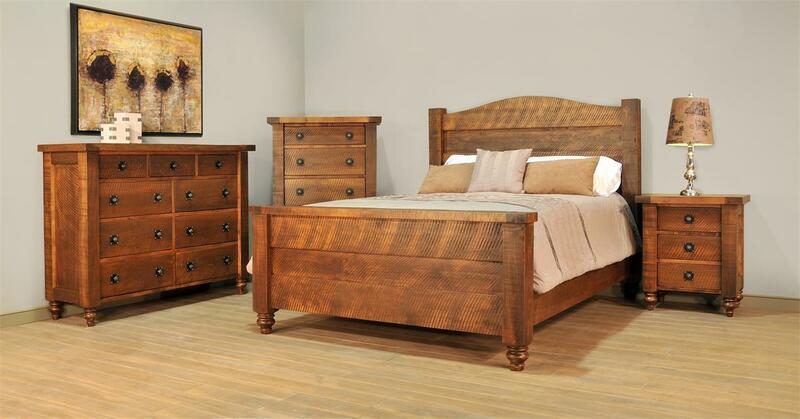 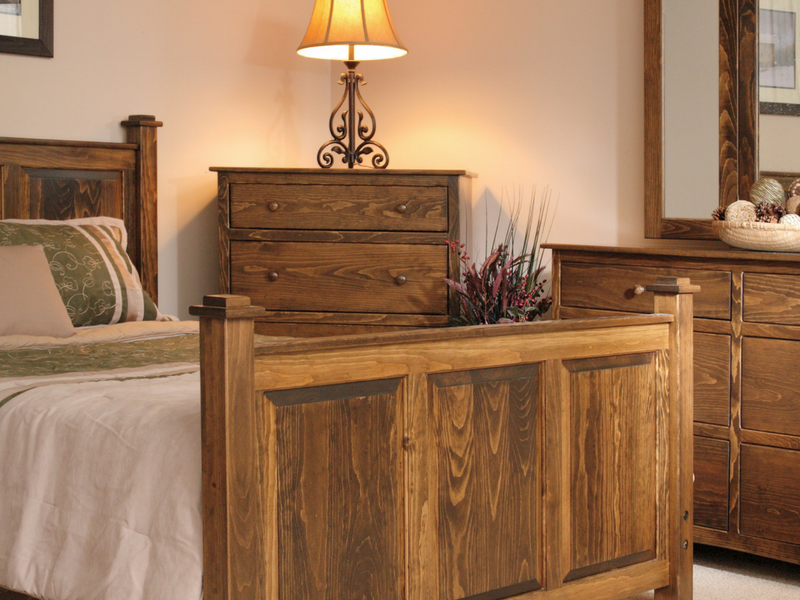 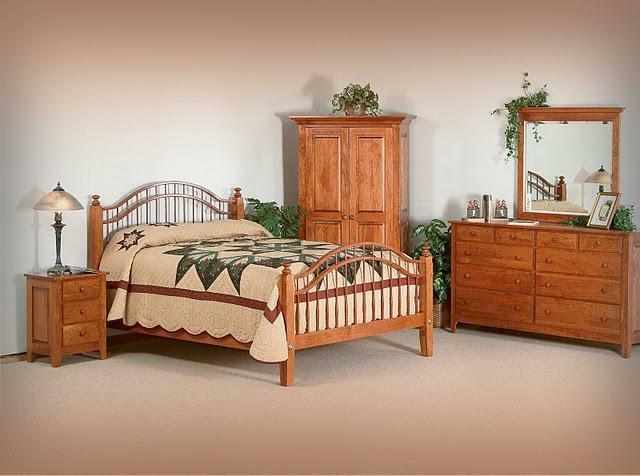 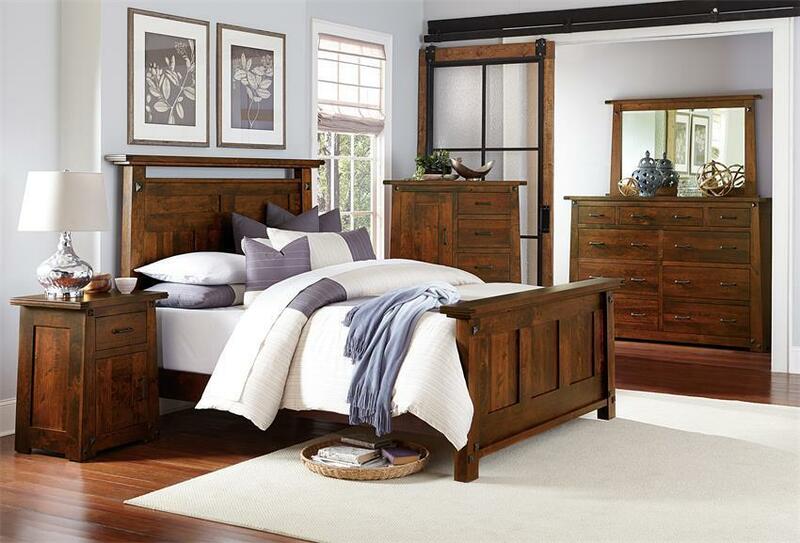 Handcrafted from beautiful Sap Cherry wood and finishing with a brilliant Seely stain, this one-of-a-kind bedroom set is sure to make your suite a cozy retreat to enjoy for a lifetime. 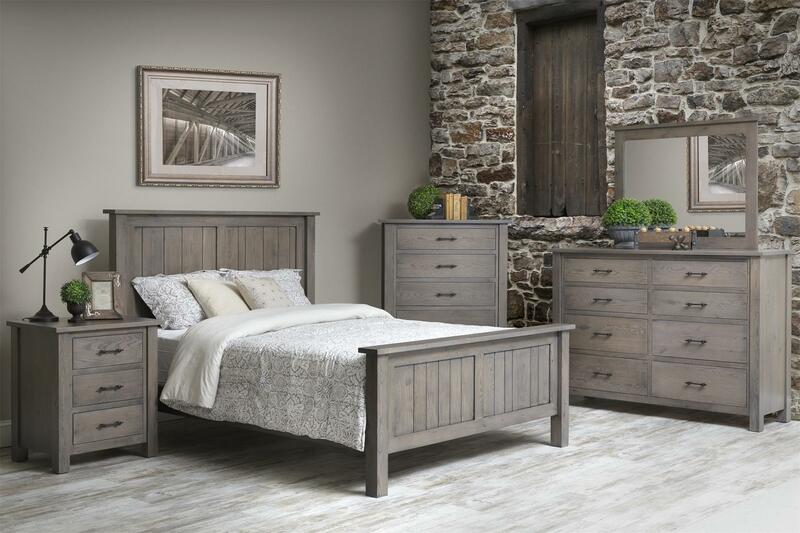 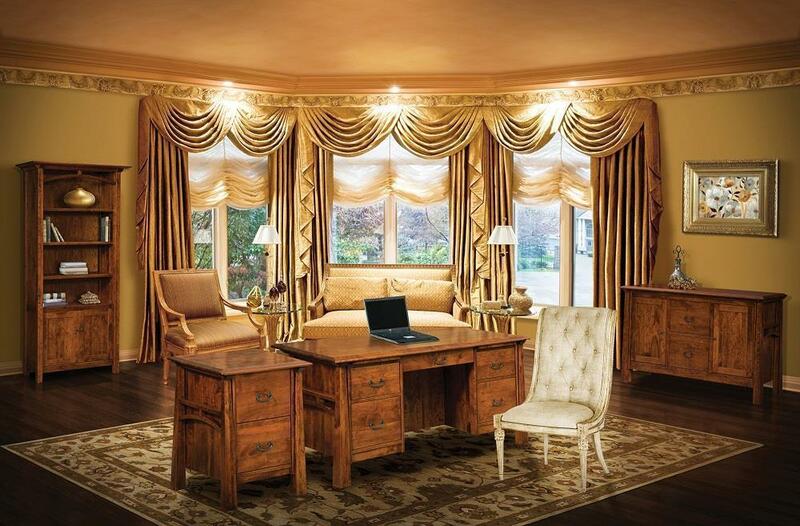 Handcrafted from solid Oak with classic early American style, our Berkshire Bedroom Set is sure to bring charm into any suite. 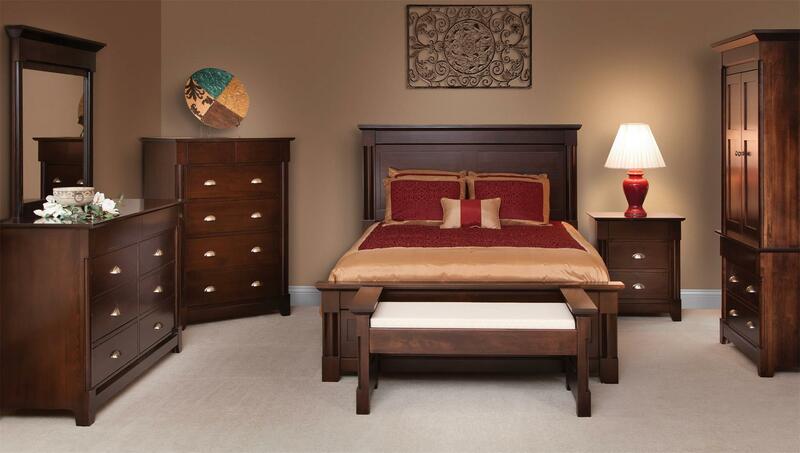 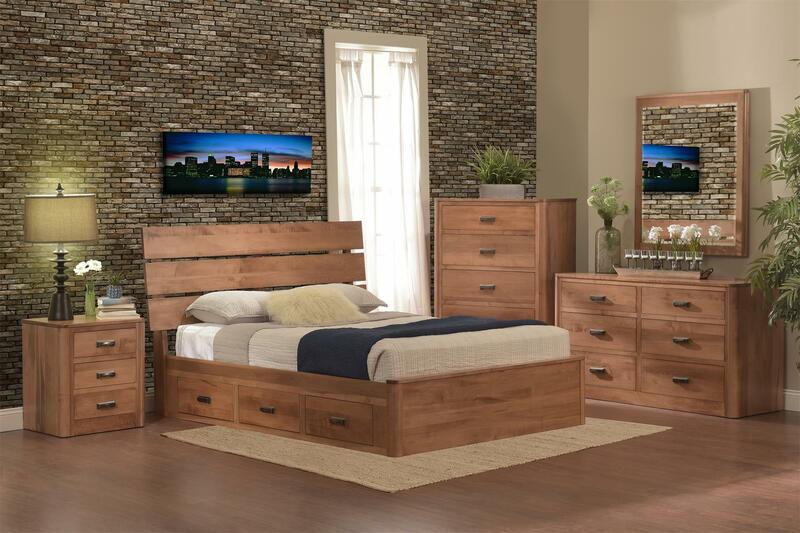 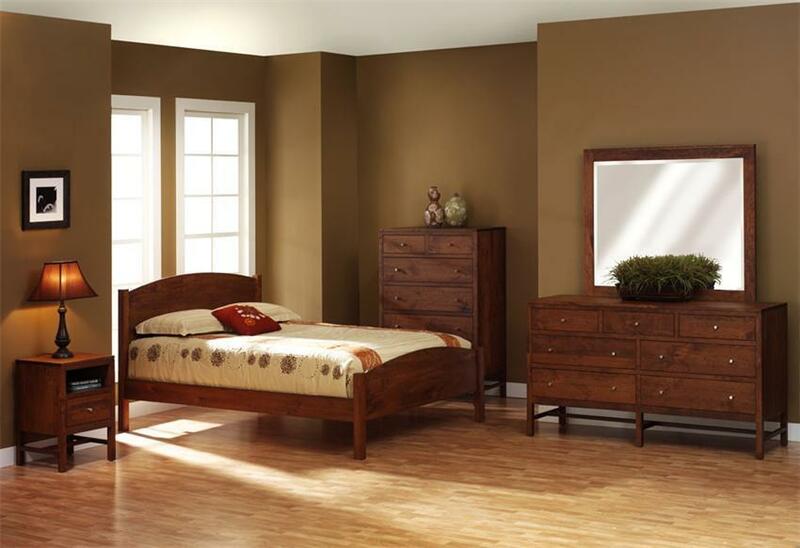 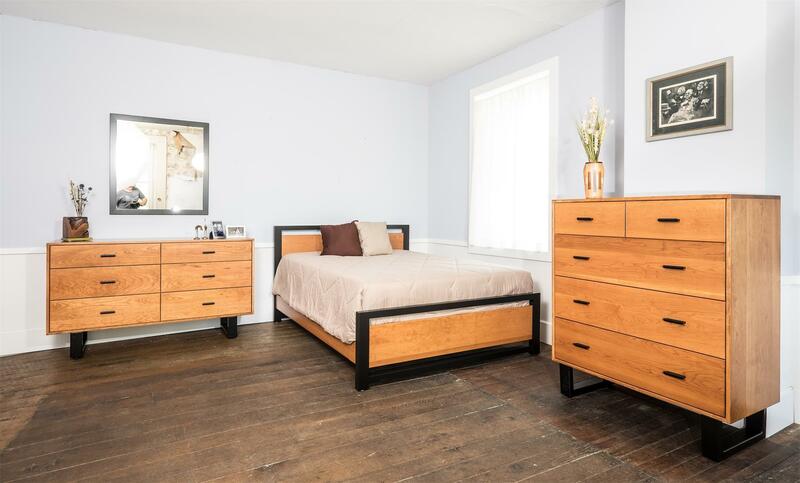 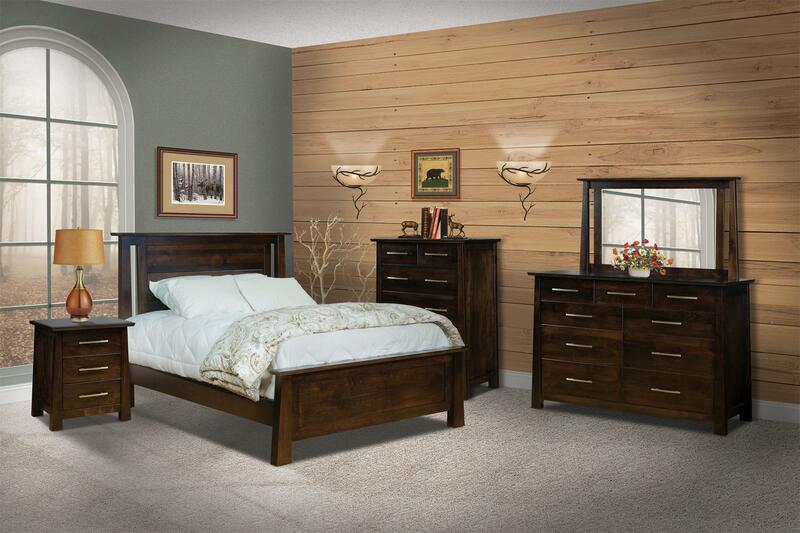 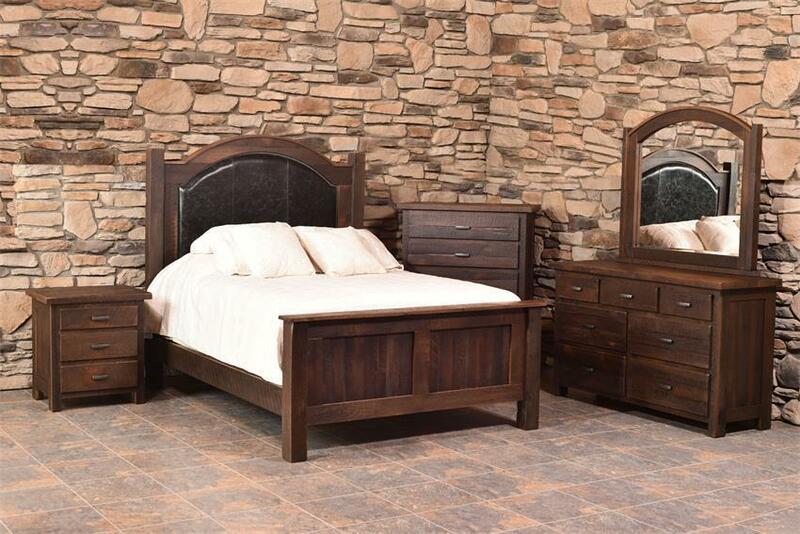 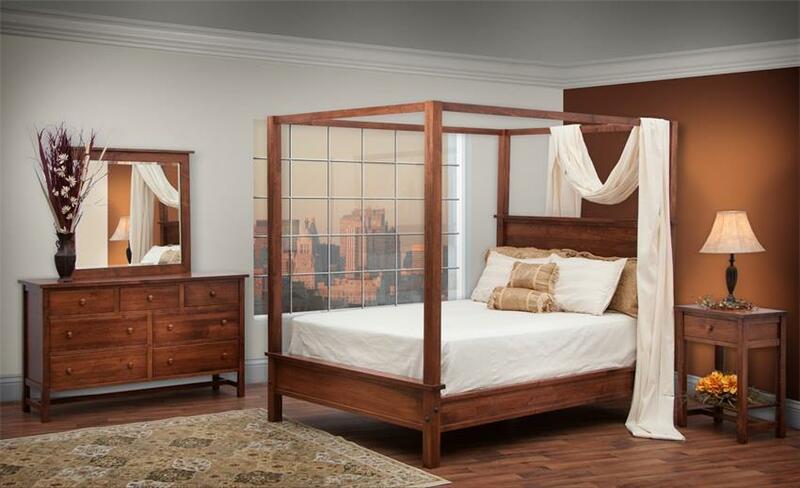 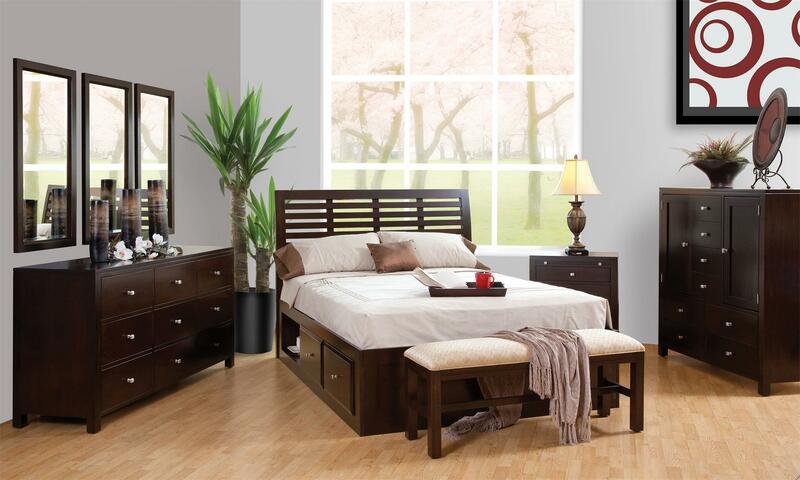 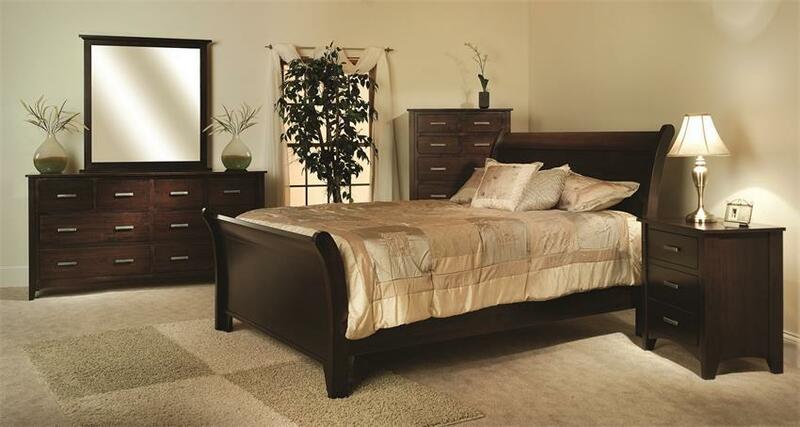 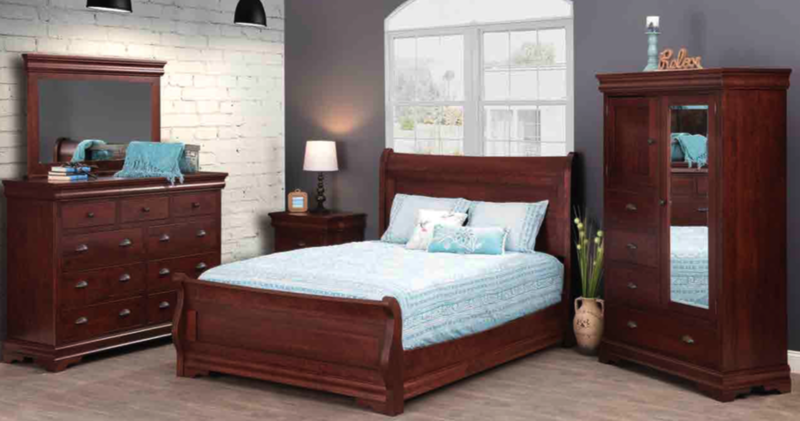 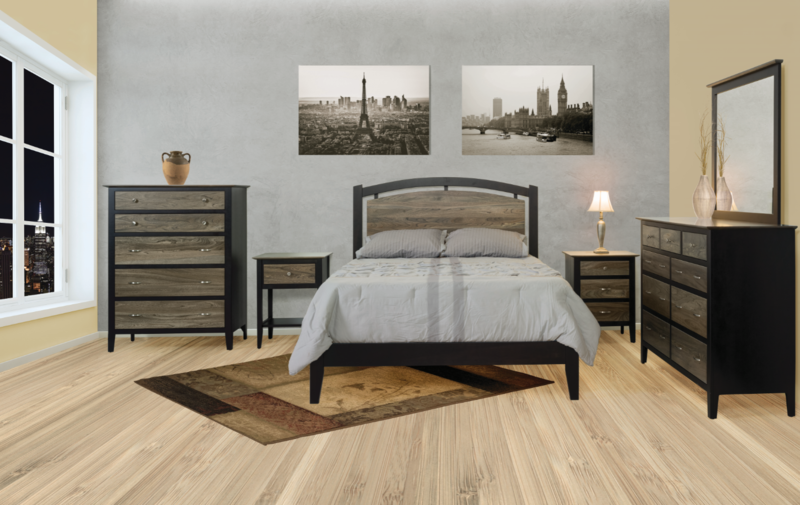 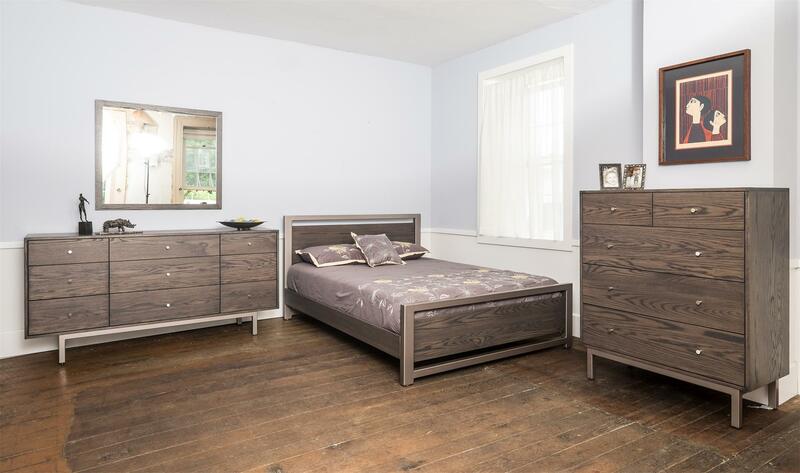 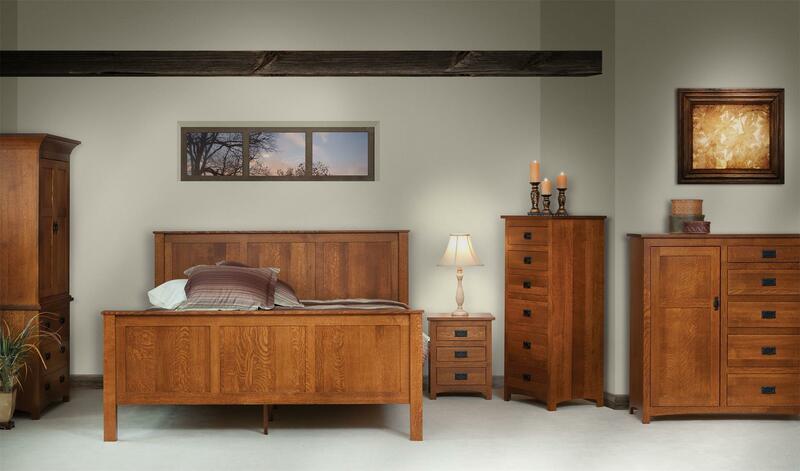 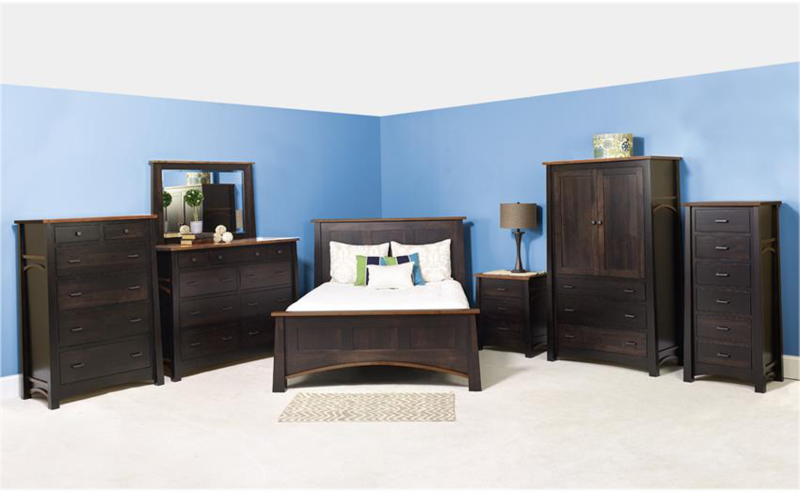 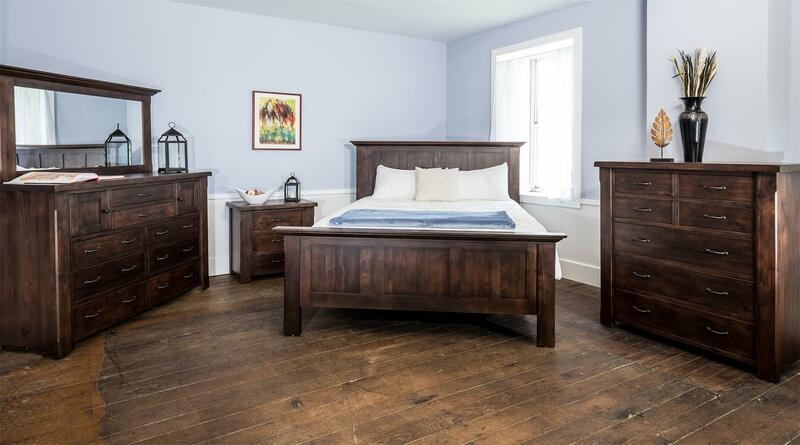 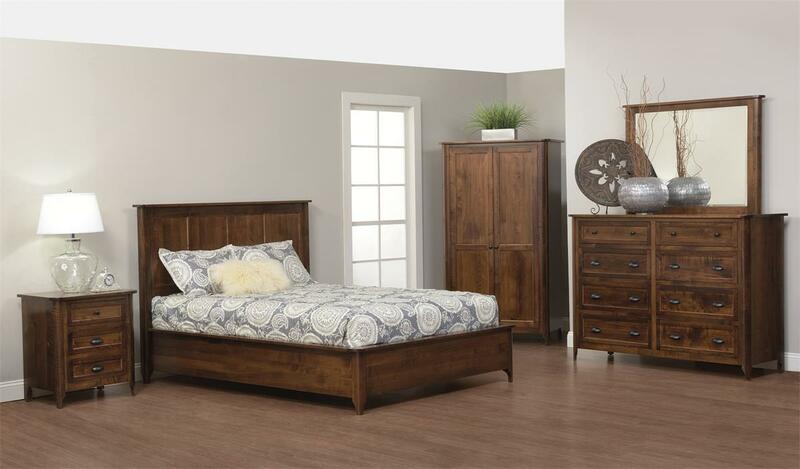 Beauty in its simplicity, our two-tone Avondale set features a Brown Maple and Sap Cherry combination that is sure to look great in any bedroom suite. 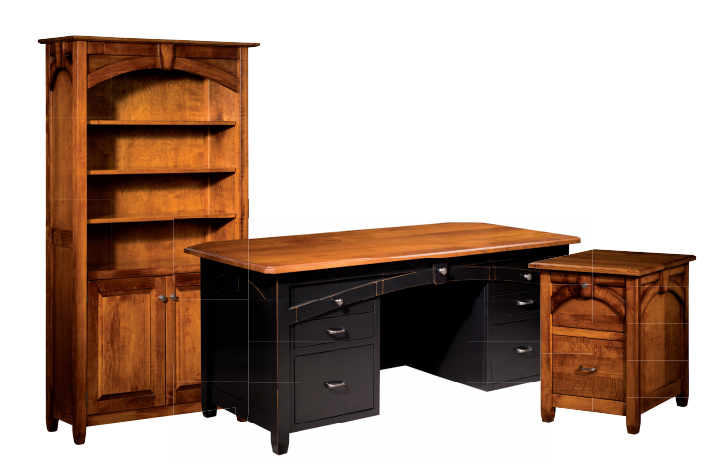 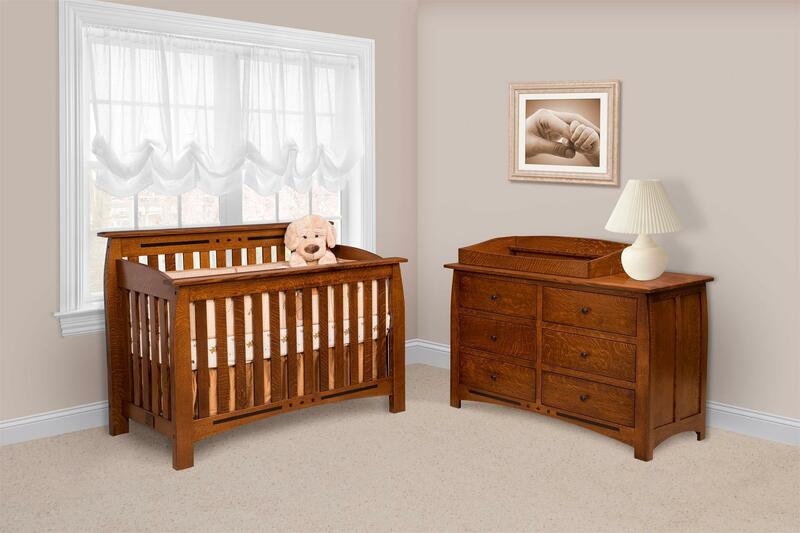 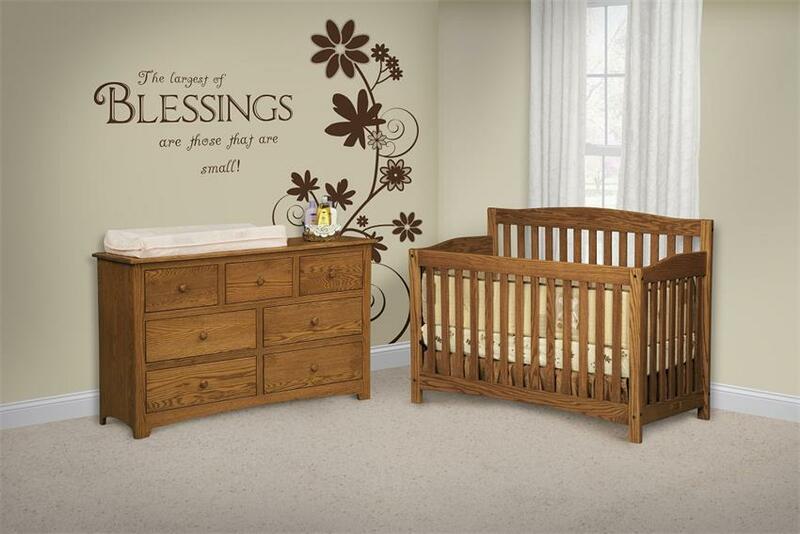 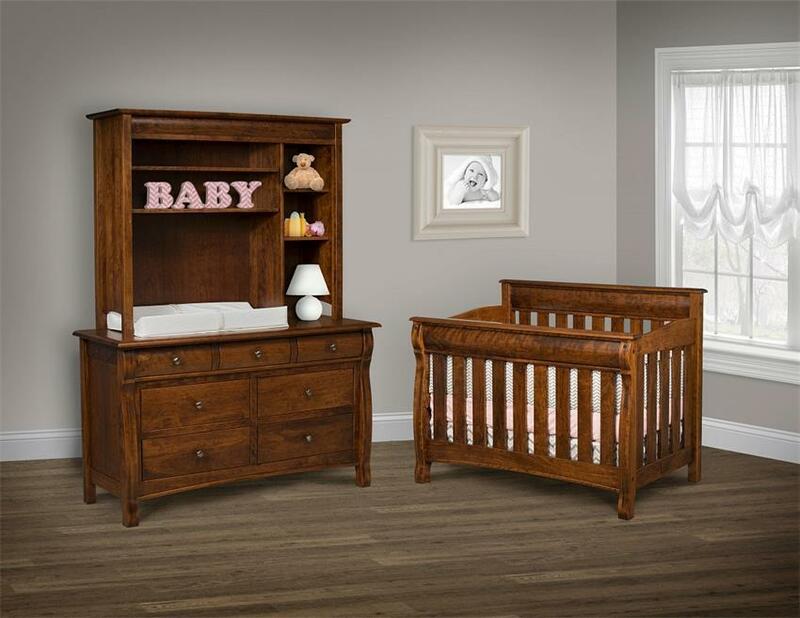 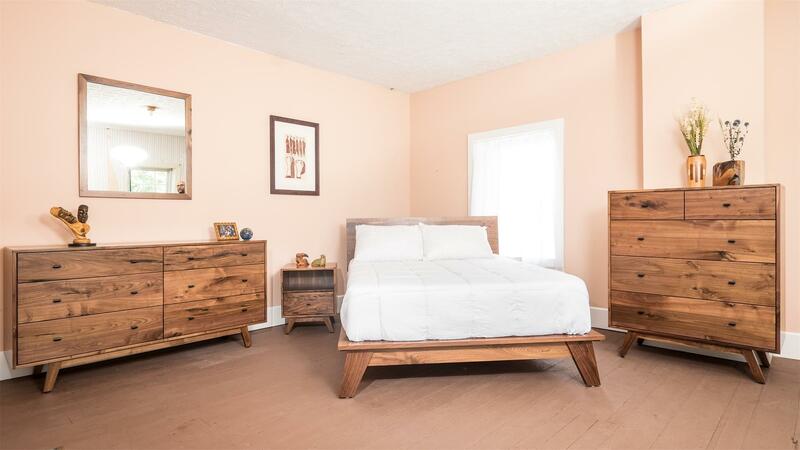 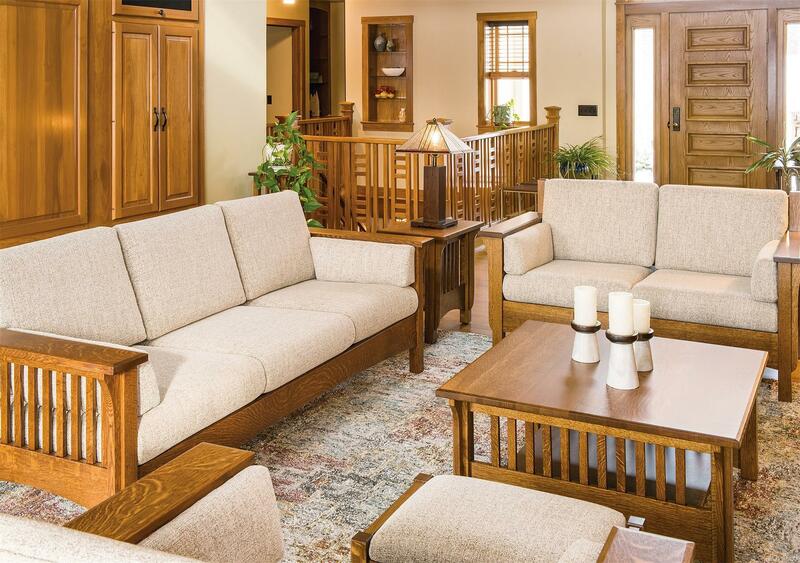 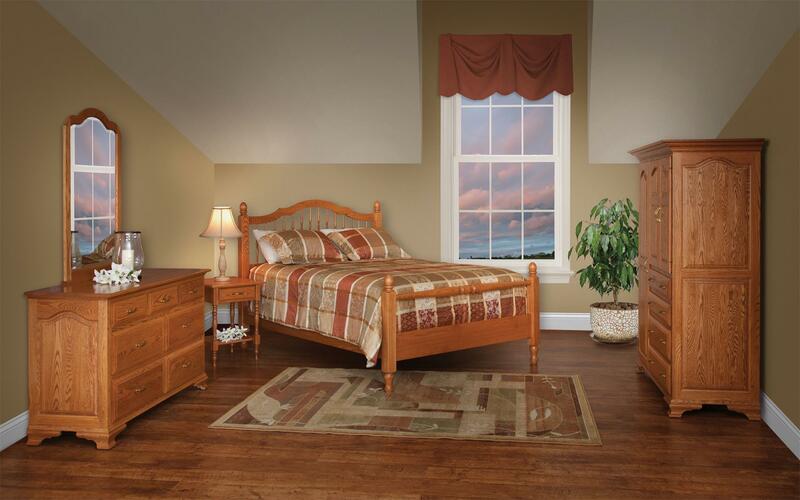 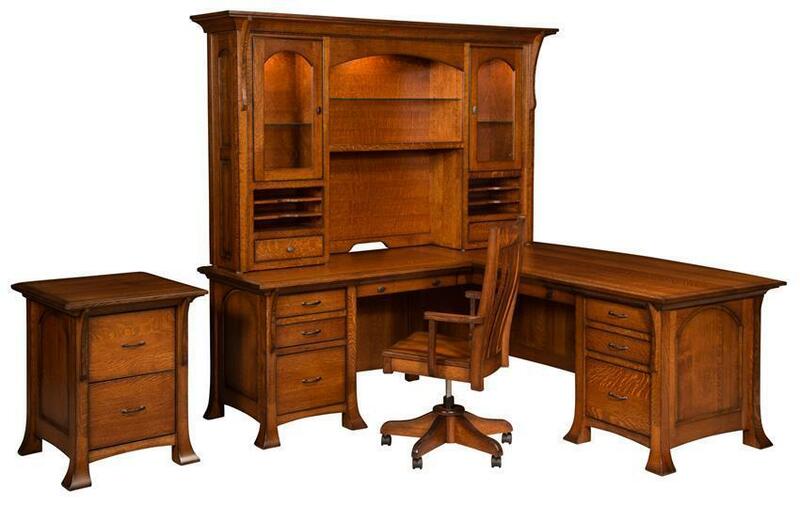 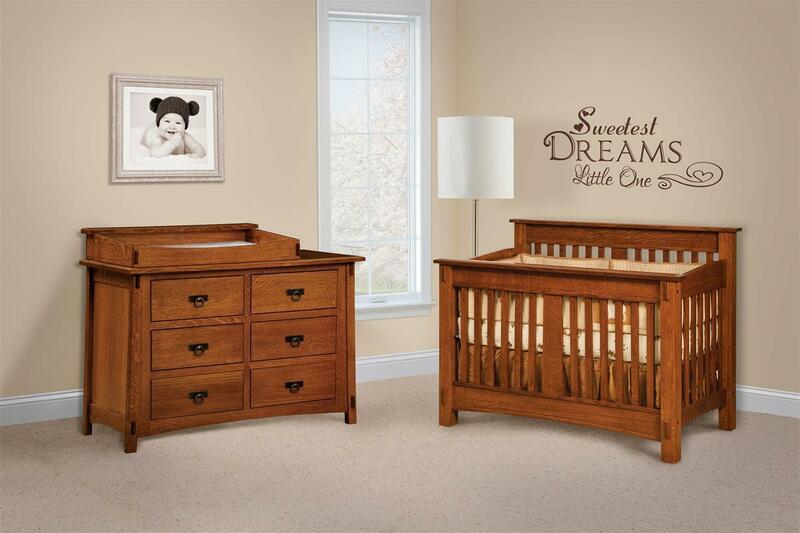 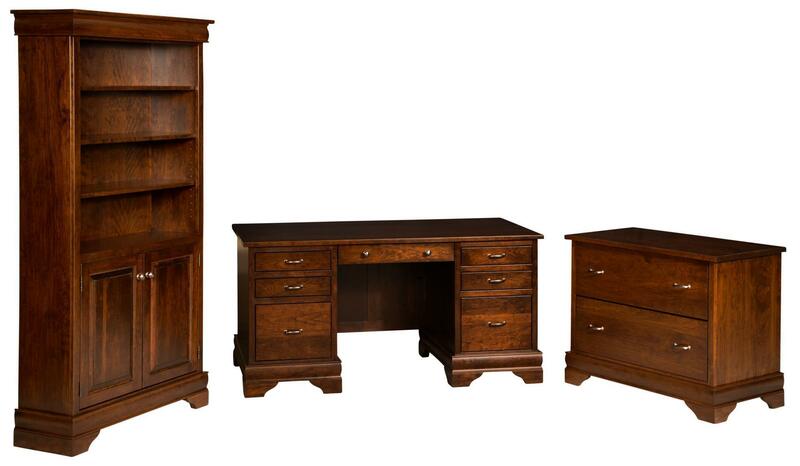 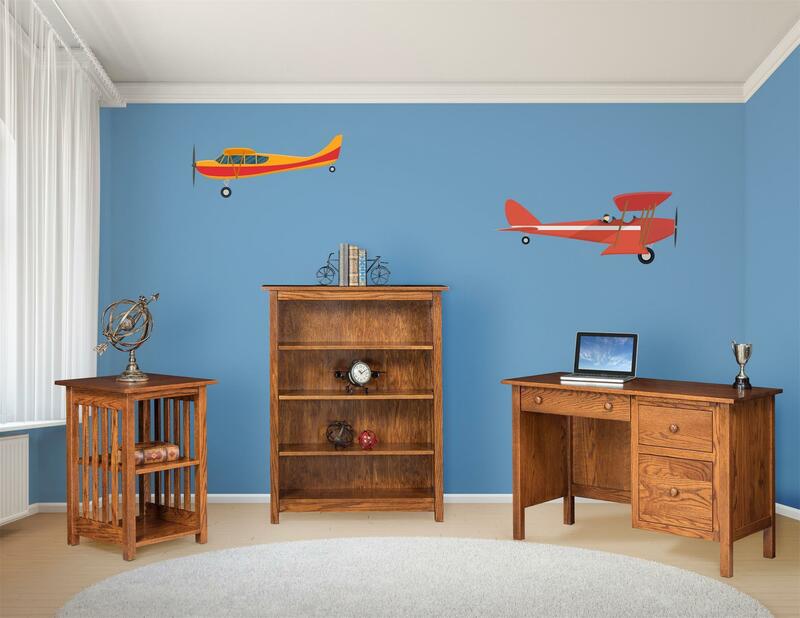 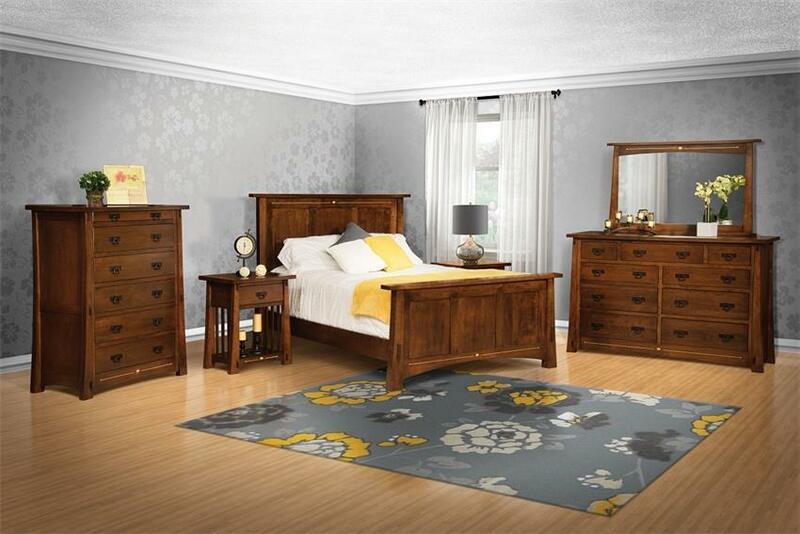 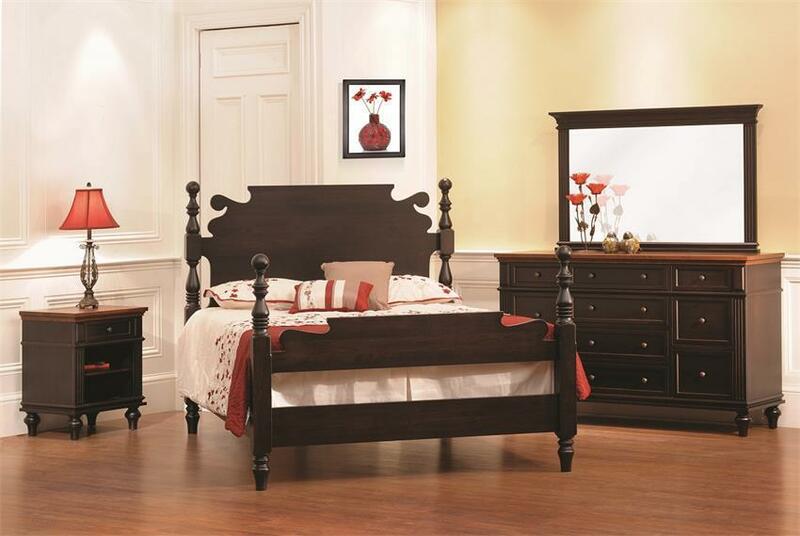 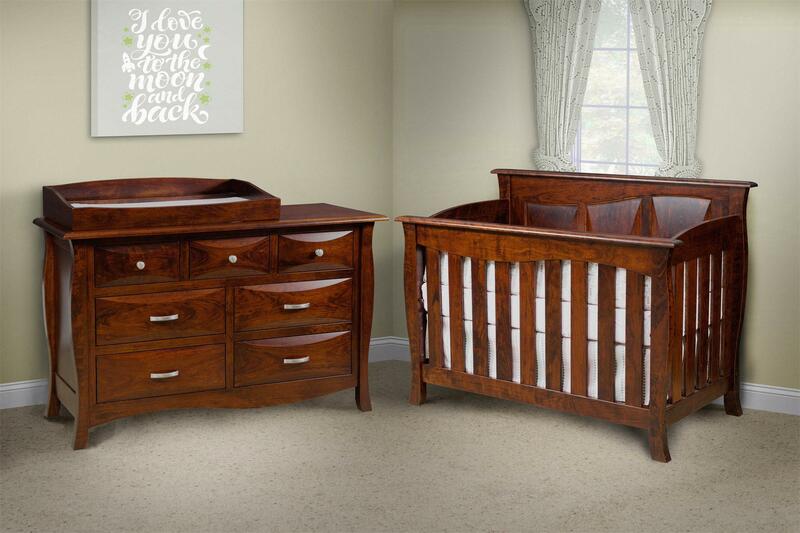 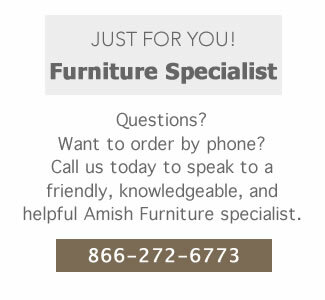 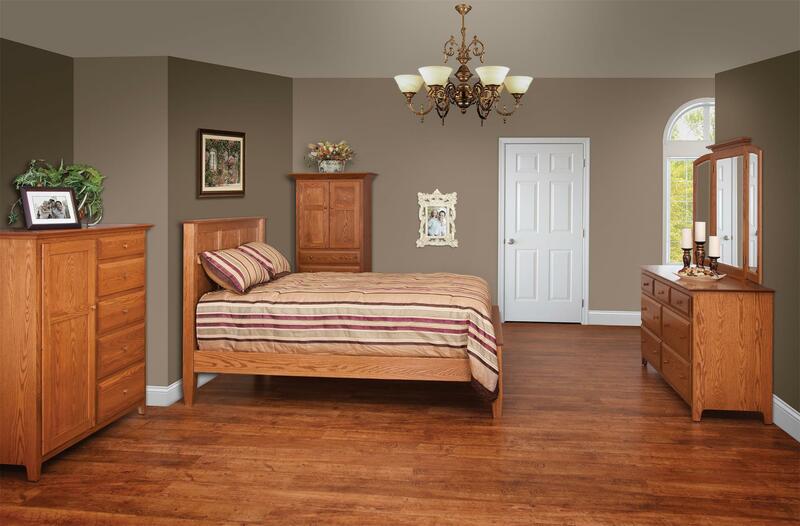 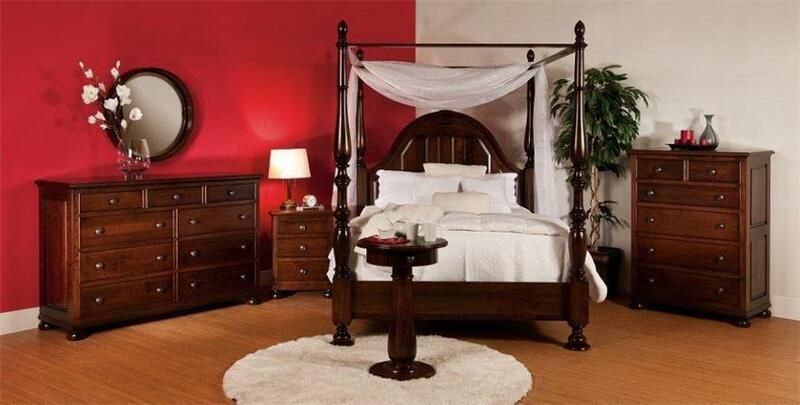 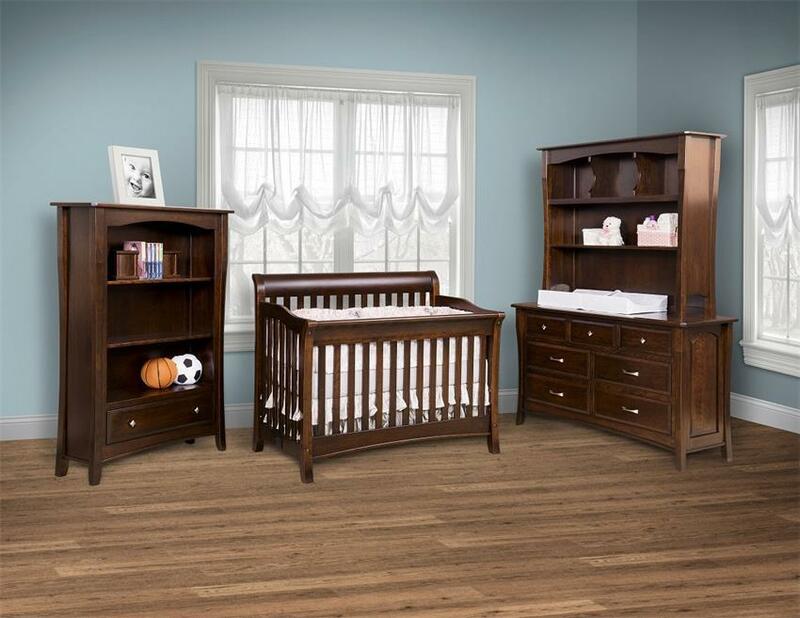 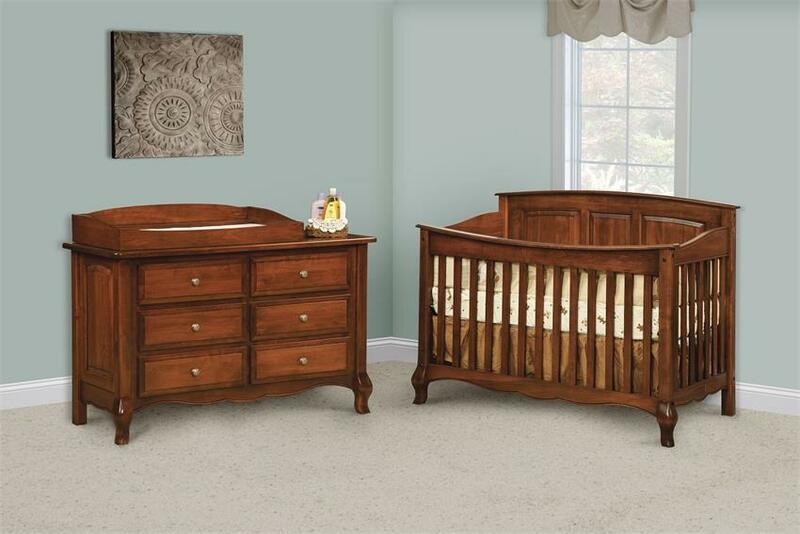 Amish Formal Nursery Set Featured in Sap Cherry and Burnt Umber Finish. 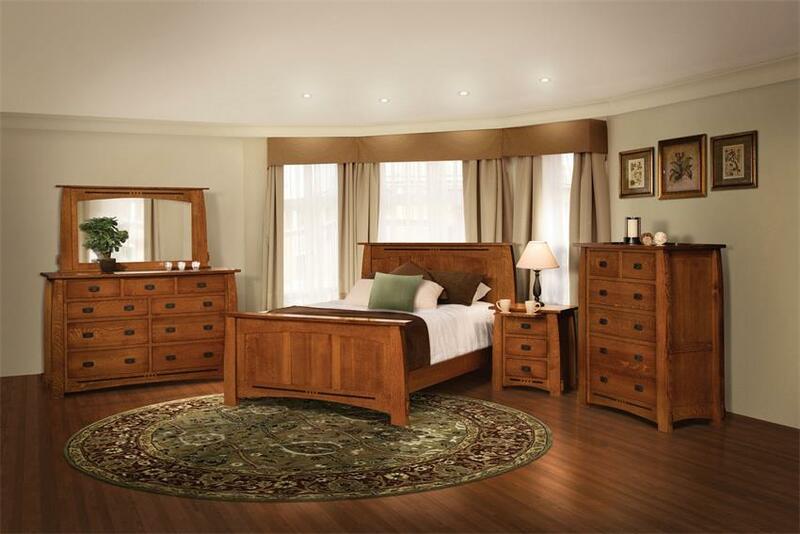 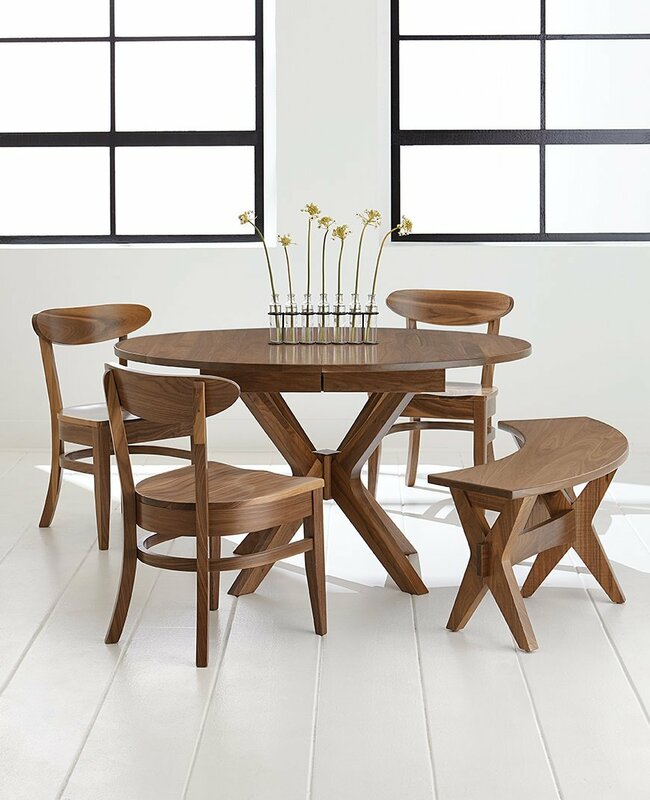 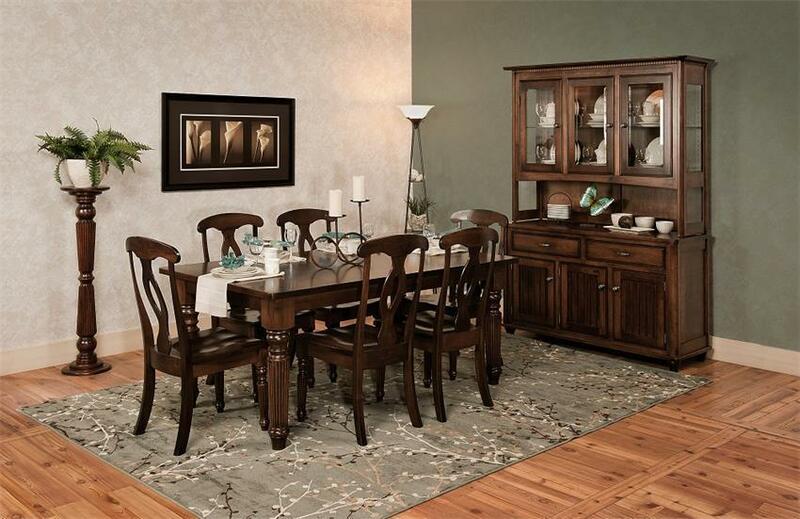 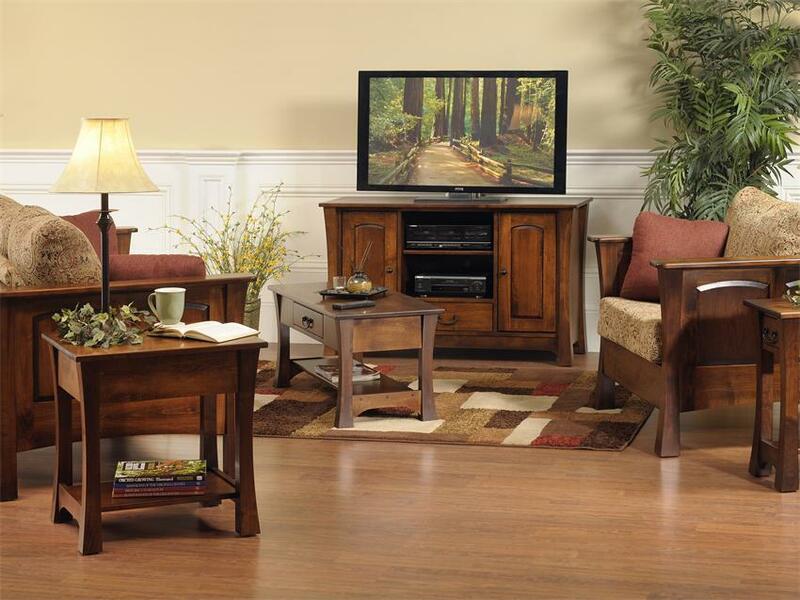 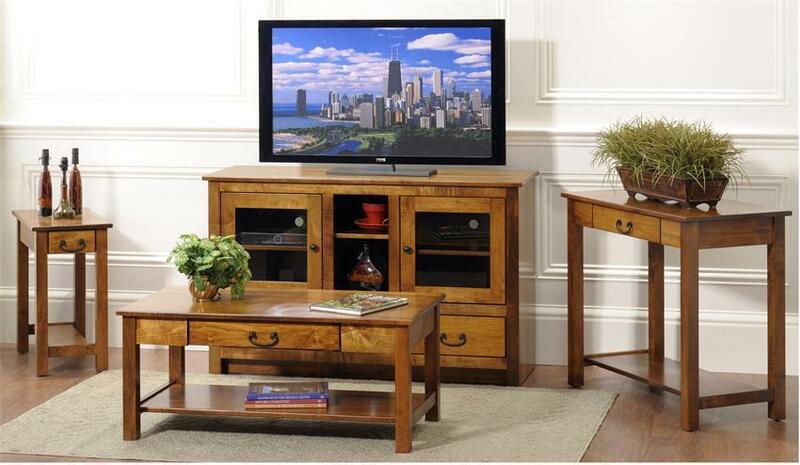 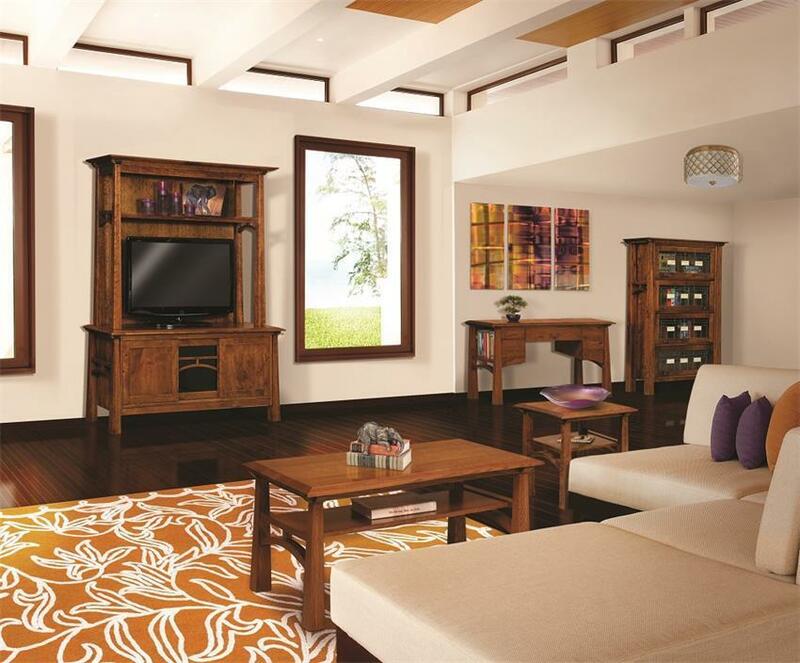 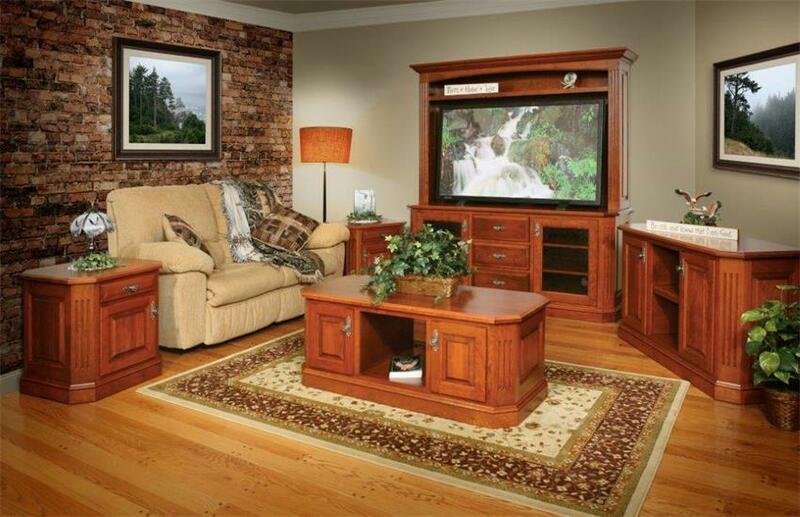 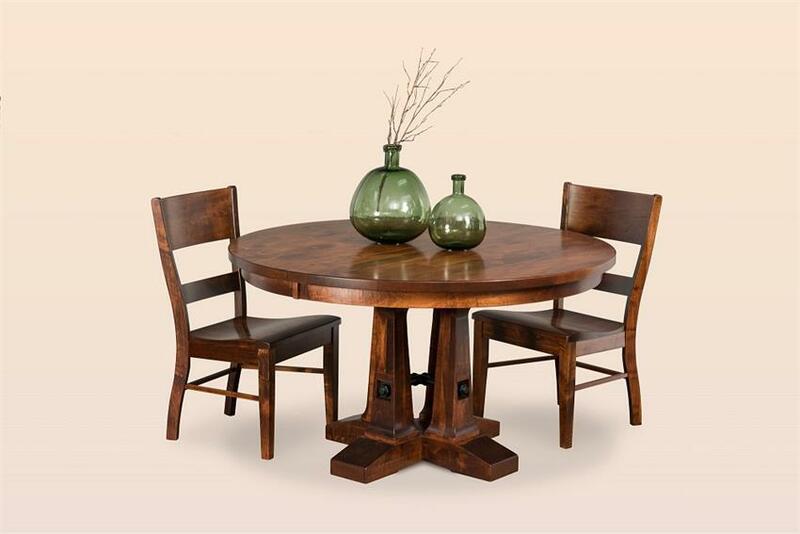 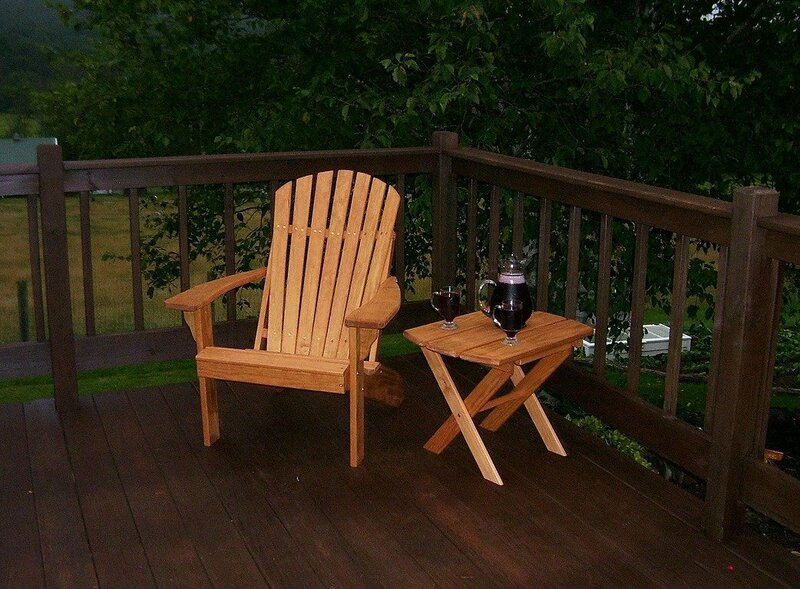 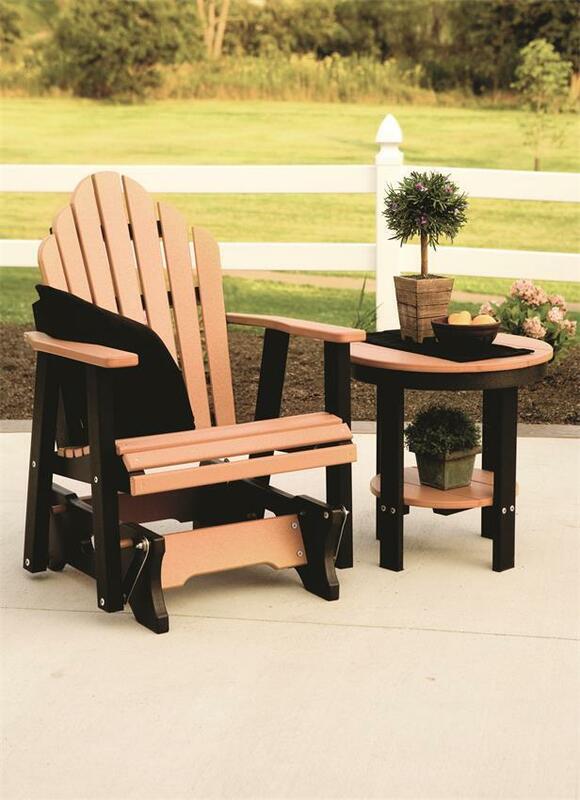 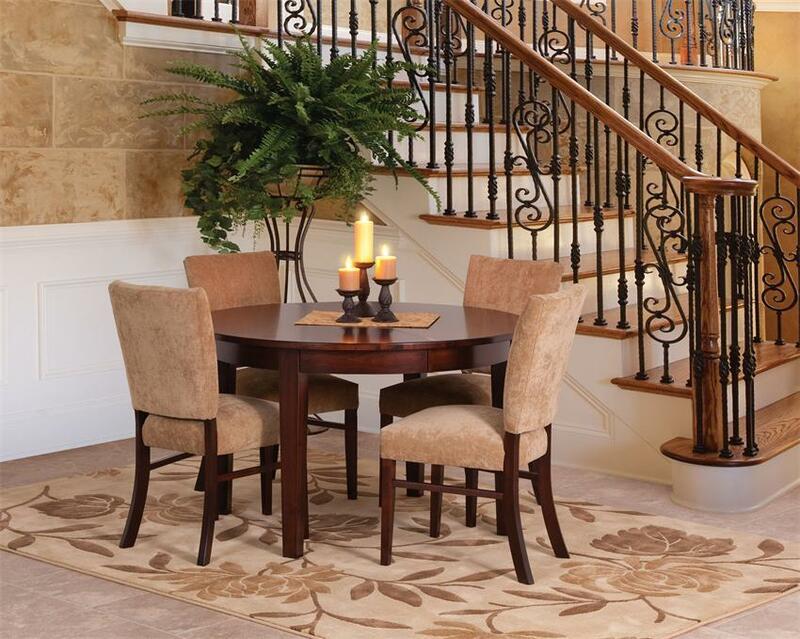 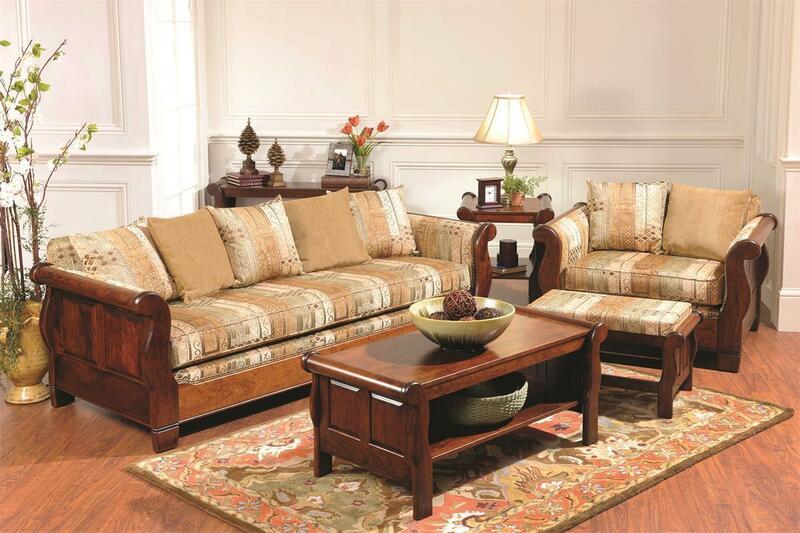 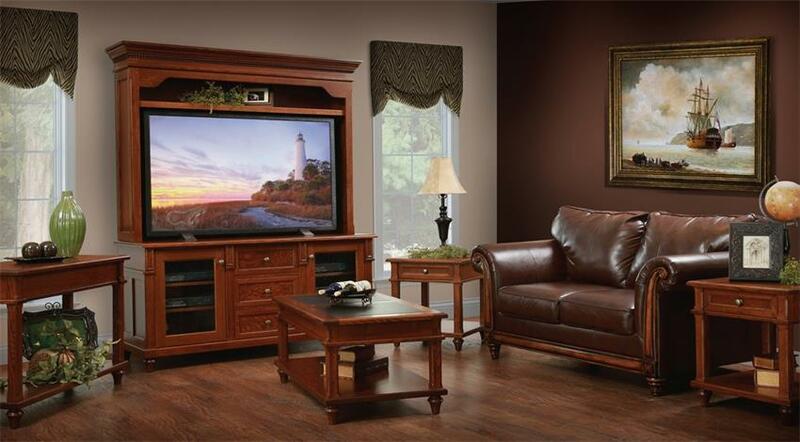 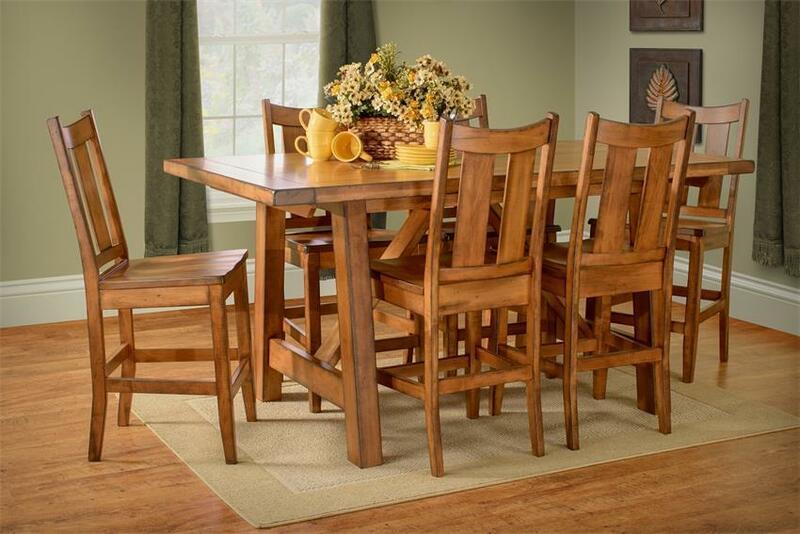 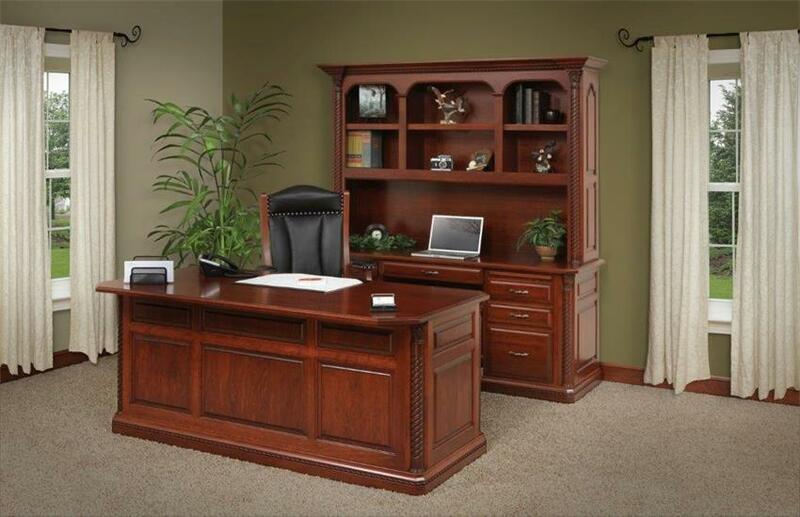 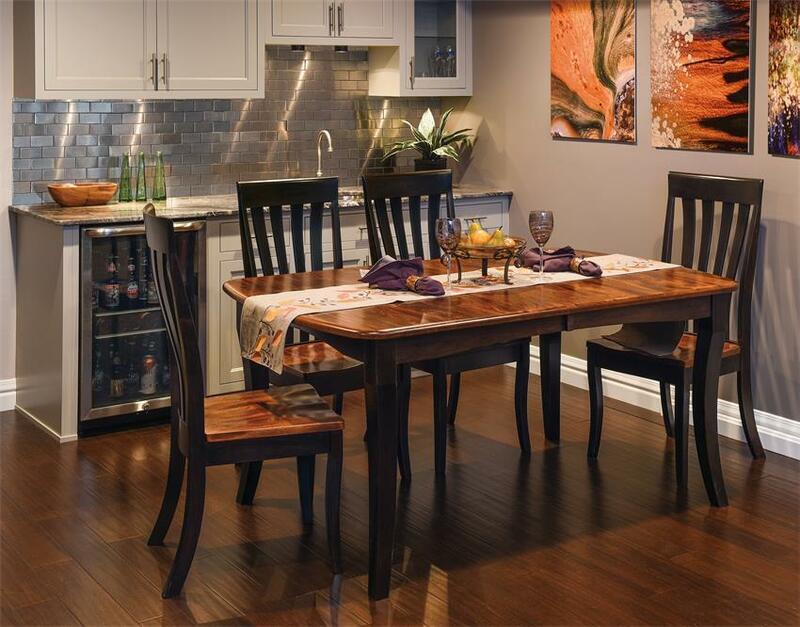 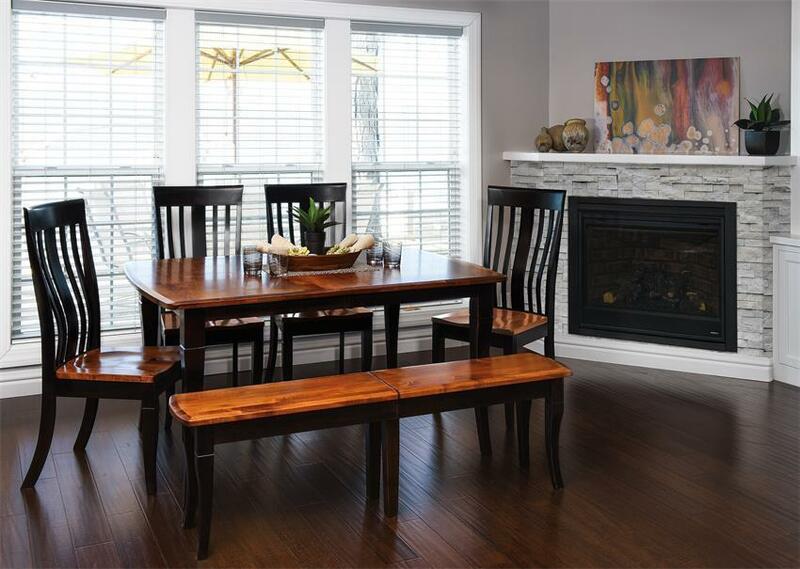 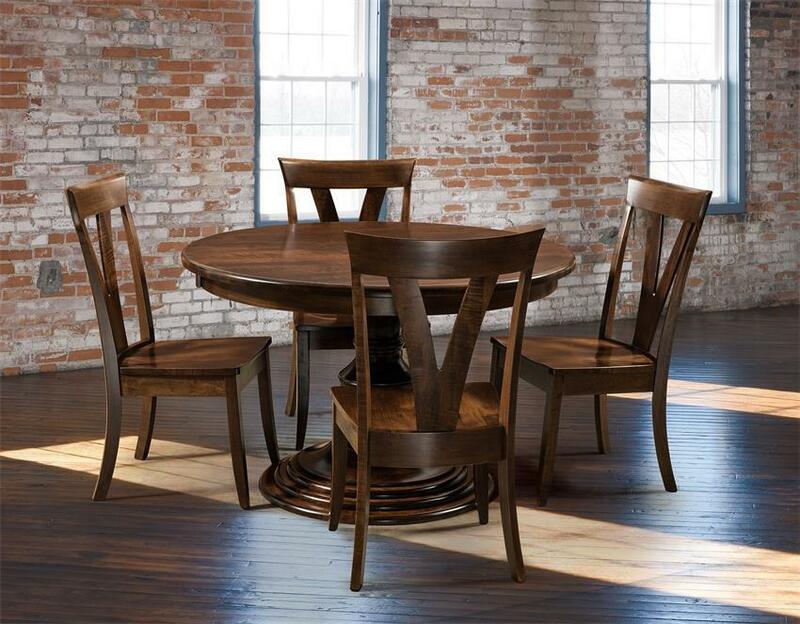 Crafted with a combination of Elm and Brown Maple for a stunning look.